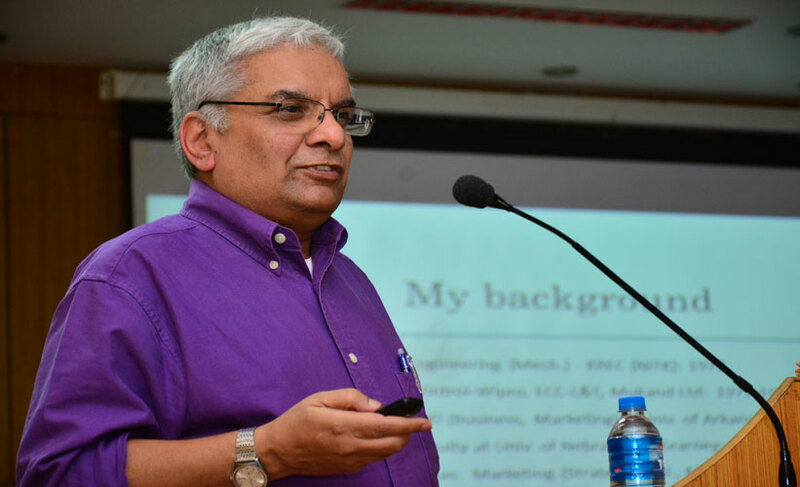 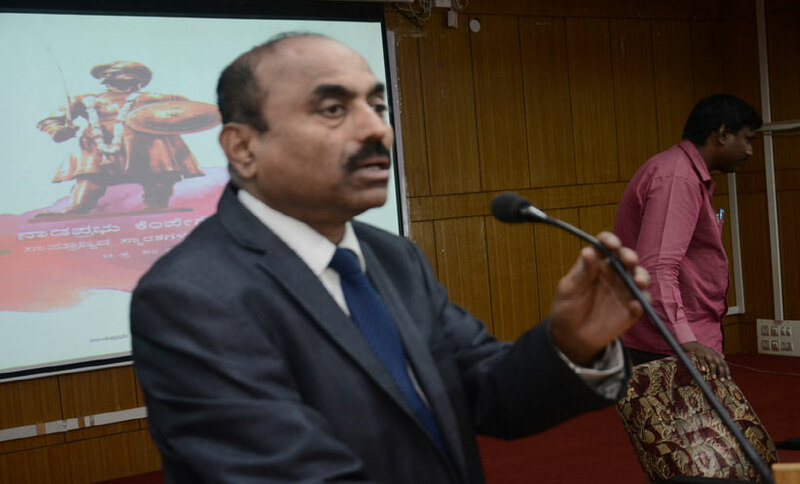 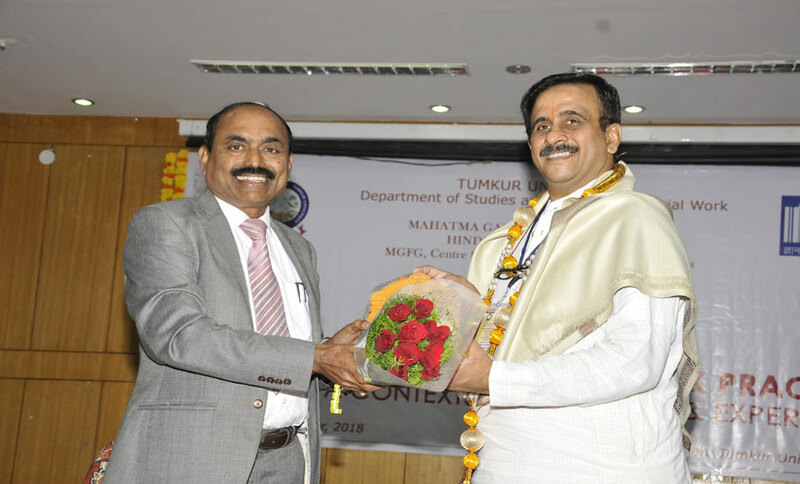 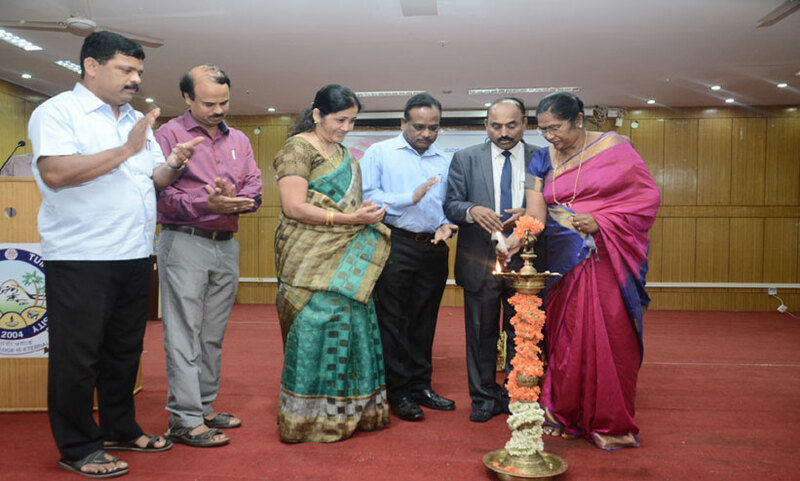 Inauguration of Special Lecture on Development and Communication by Prof. Usharani Narayana, UOM, held on 05-02-2019. 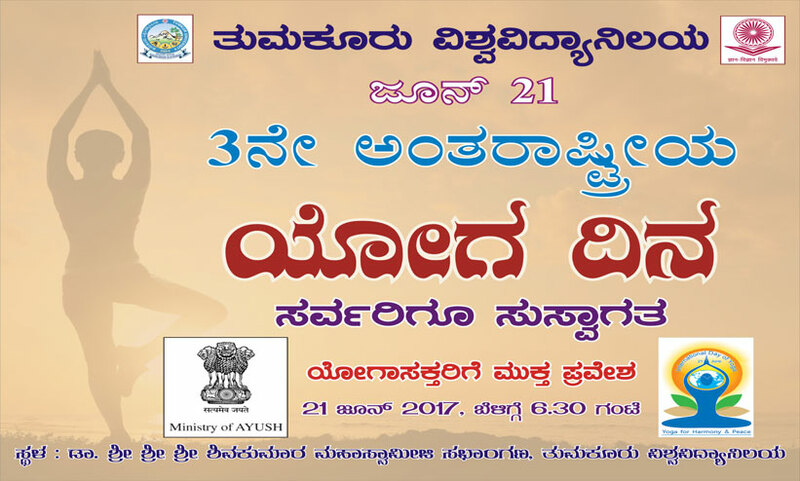 ದಿನಾಂಕ 21-01-2019 ರಂದು ಸಿದ್ದಗಂಗಾ ಮಠದ, ಶ್ರೀ ಶ್ರೀ ಶಿವಕುಮಾರ ಮಹಾಸ್ವಾಮೀಜಿ ಅವರ ಶಿವೈಕ್ಯ ಸಂದರ್ಭದಲ್ಲಿ ತುಮಕೂರು ವಿ.ವಿ ಯಲ್ಲಿ ಶೋಕಾಚರಣೆ. 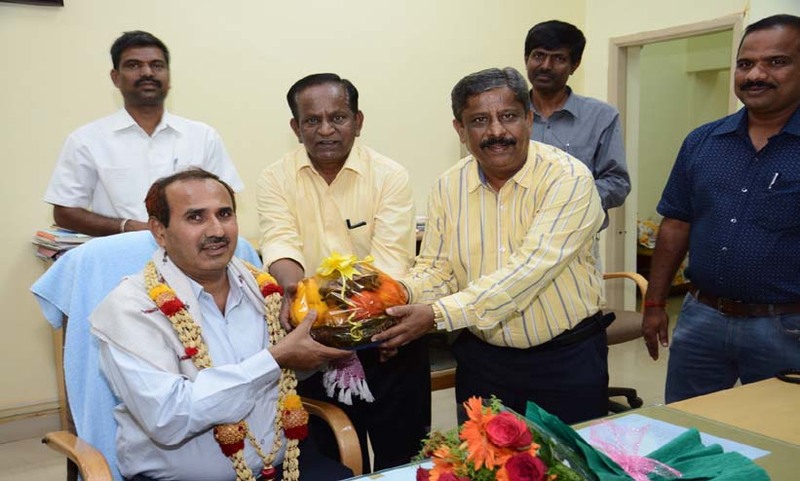 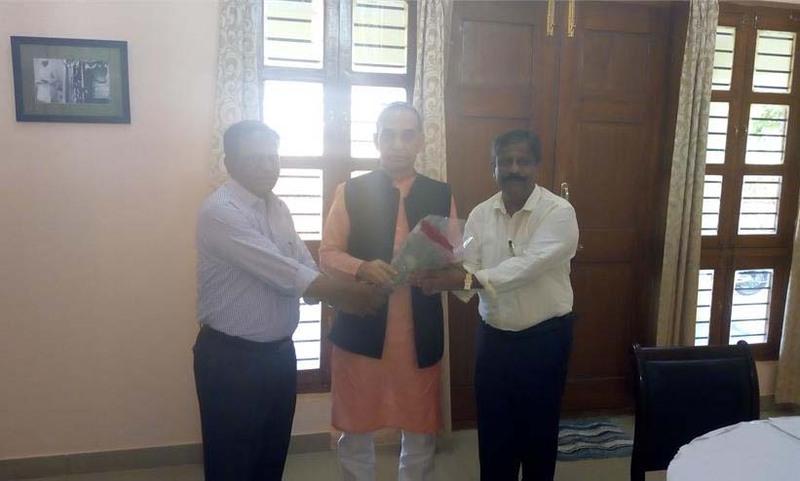 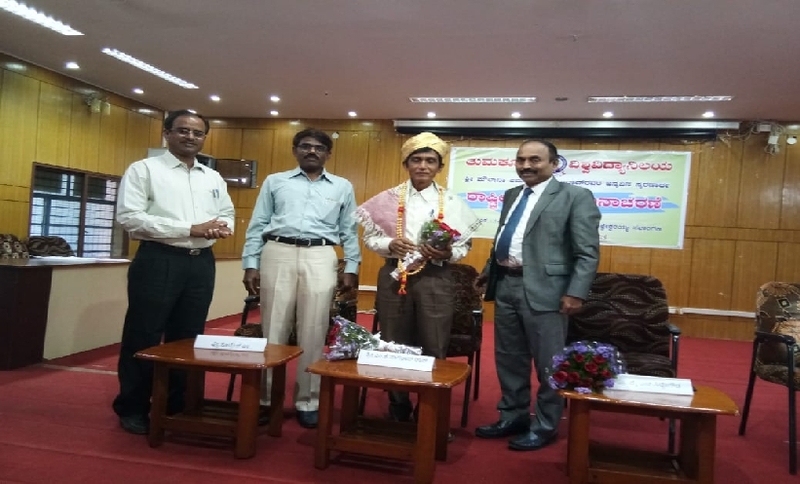 Sandeep.K.R, Manikanta.B.N and Spoorthi.P, NSS volunteers of Tumkur University selected for State RD, 2019 - greeted by Vice Chancellor Prof.Y.S.Siddegowda. 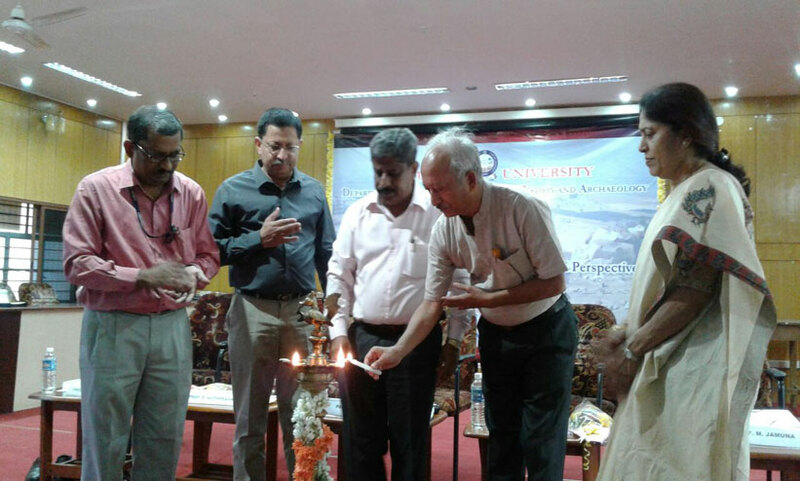 Program Coordinator Dr. Lokesh.M.U is also seen. 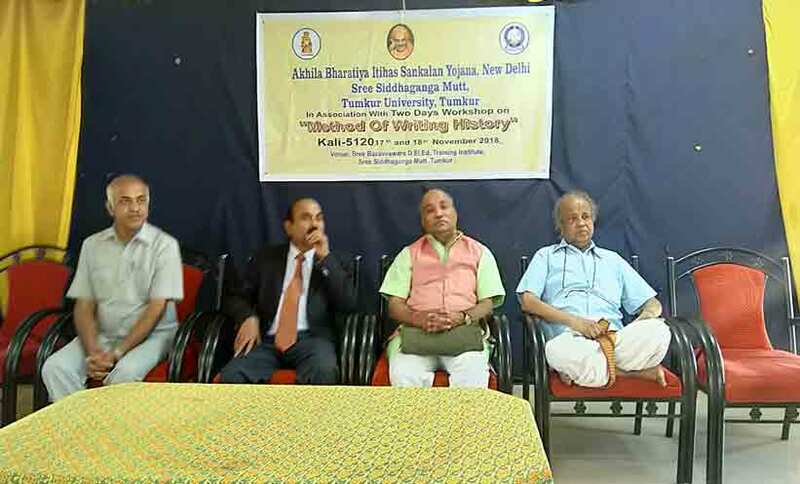 Certificates and Cash Prizes to Winners of Written Test on Indian Constitution and Legal Acts related to Women - supported by the National Commission of Women, New Delhi organized by Women Studies Center, TUT on 17.12.2018. 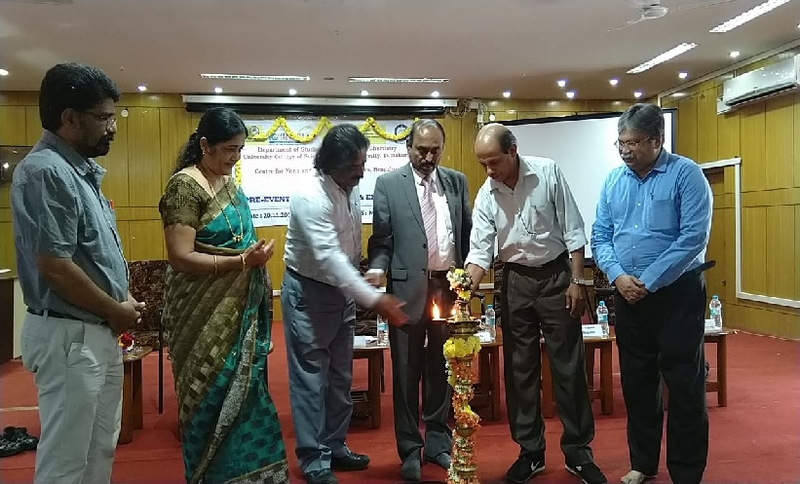 One Day Workshop "Achieving Excellence Performance through Business Excellence Models" held on 22-09-2018. 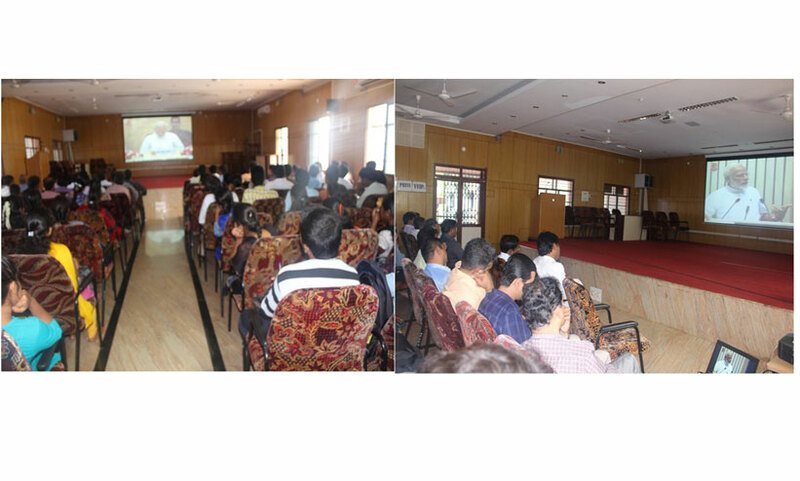 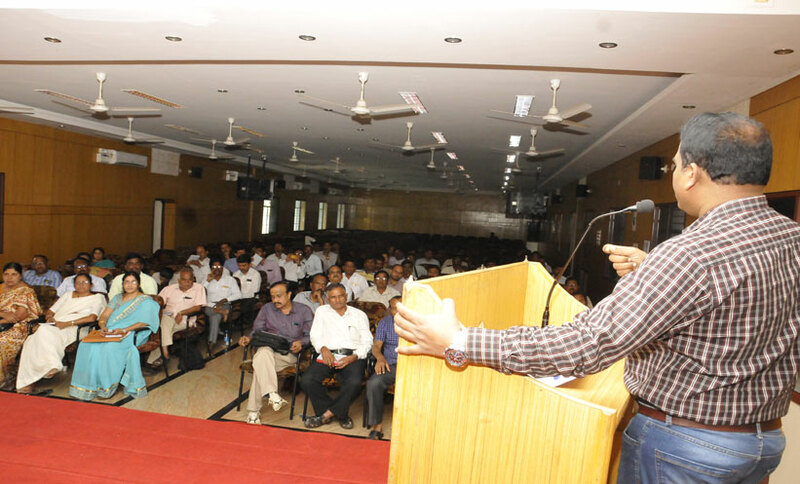 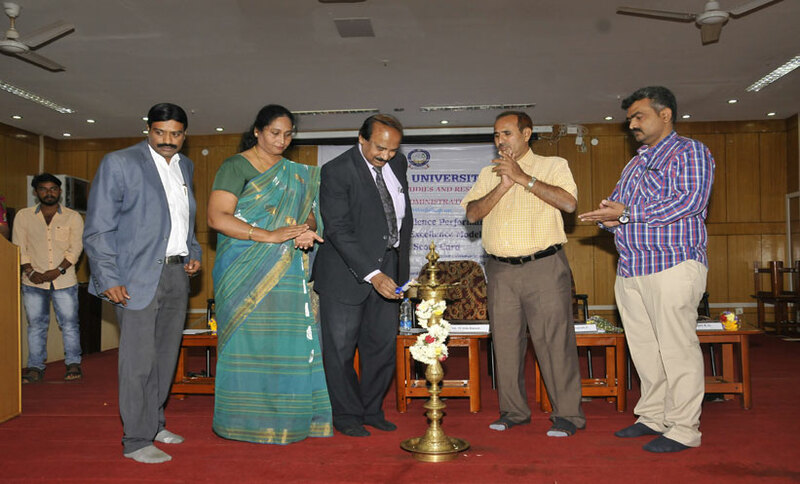 Inauguration of Workshop "Design and Development of Low Cost Equipment using ExpEYES and ARDUINO" organized by PG Dept. 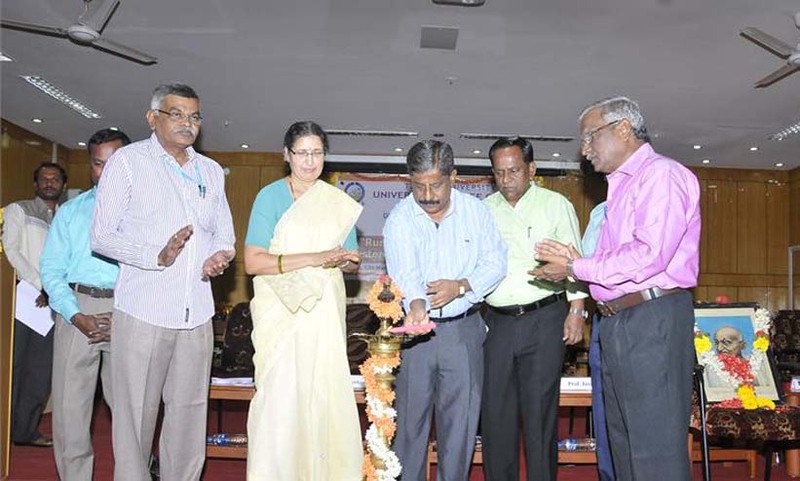 of Physics, University Science College held on 06-09-2018. 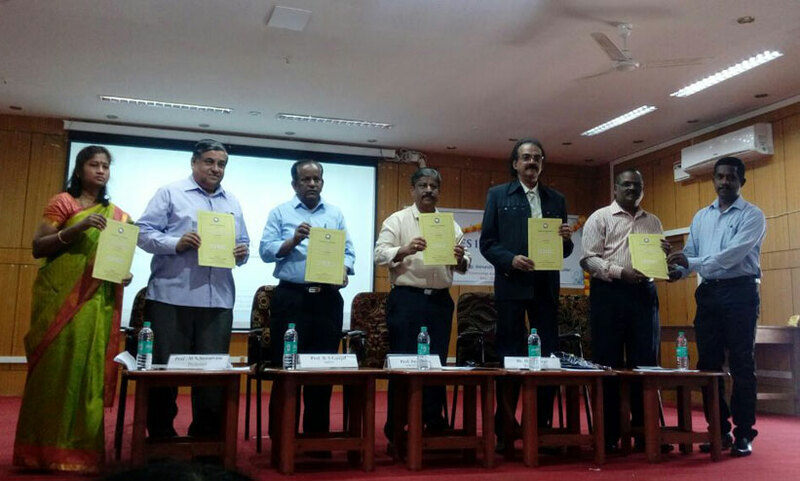 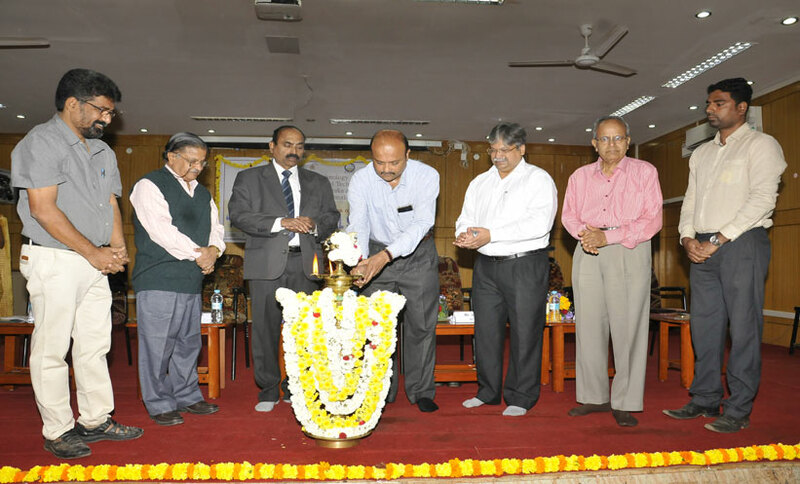 Fundamental of Physics - Book for BSc CBCS Syllabus released by Prof. Y S Siddegowda, Vice Chancellor. 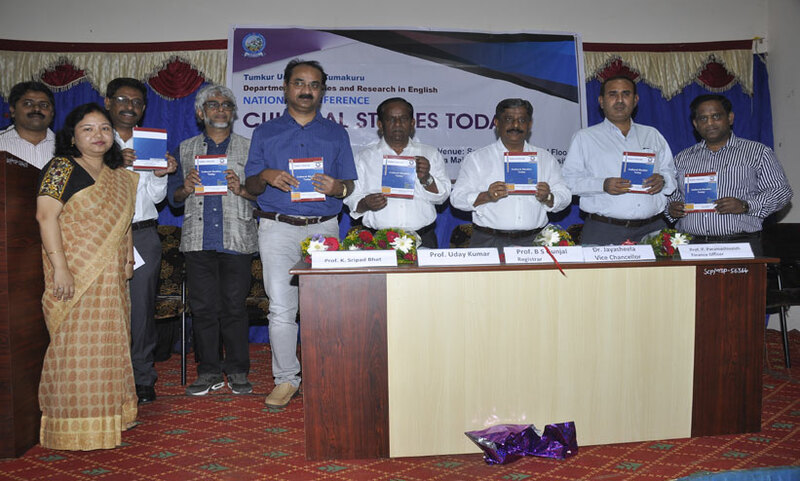 Book Authored by Prof. H Nagabhusan, Dr. G Ramakrishna, Dr. J Malleshappa, Dr. Harish Kumar, Dr. J B Prasanna Kumar, Prof. Somashekar. 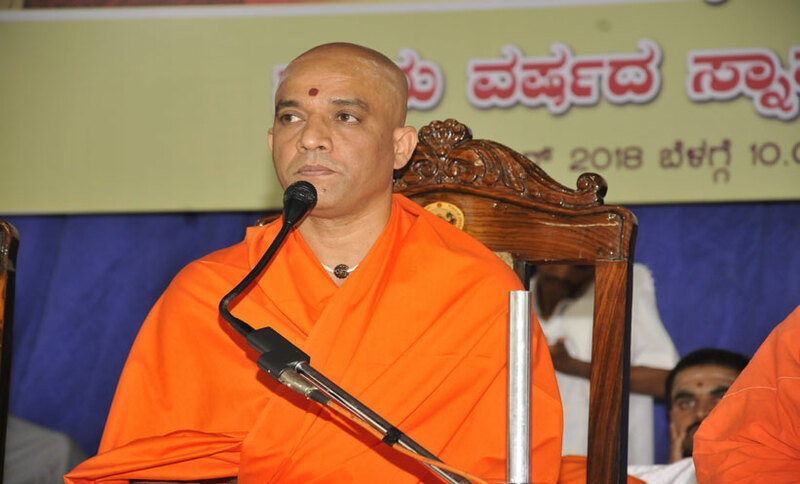 ದಿನಾಂಕ 18-08-2018 ರಂದು ನಡೆದ ಎಲ್ಲ ಕಾಲೇಜುಗಳ ಪ್ರಾಂಶುಪಾಲರನ್ನು ಉದ್ದೇಶಿಸಿ ಪ್ರತಾಕ್ಷೆ ನೀಡಿದ ಪ್ರೊ. 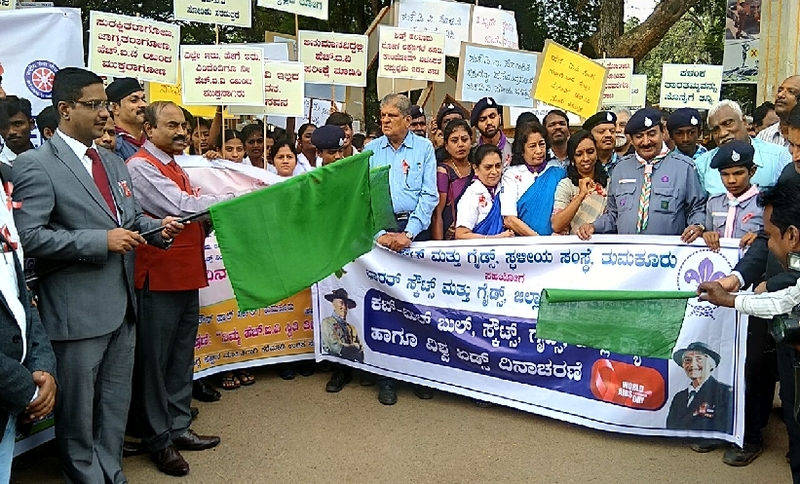 ರಮೇಶ್ ಬಿ. 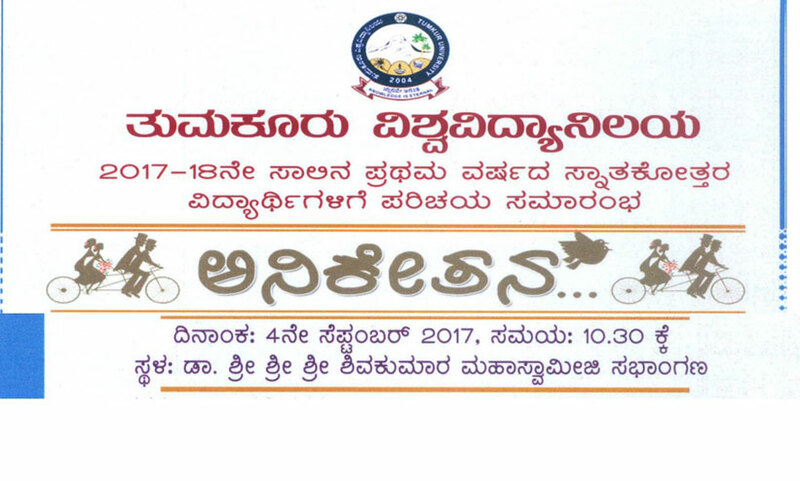 ದಿನಾಂಕ 08-08-2018 ರಂದು ನಡೆದ ರಾಷ್ಟ್ರೀಯ ಶೈಕ್ಷಣಿಕ ಕೋಶ NAD ಕಾರ್ಯಾಗಾರ - Dr. G Srinivas, Joint Secretary, UGC, SWRO, Bangalore, delivering the inaugural address. 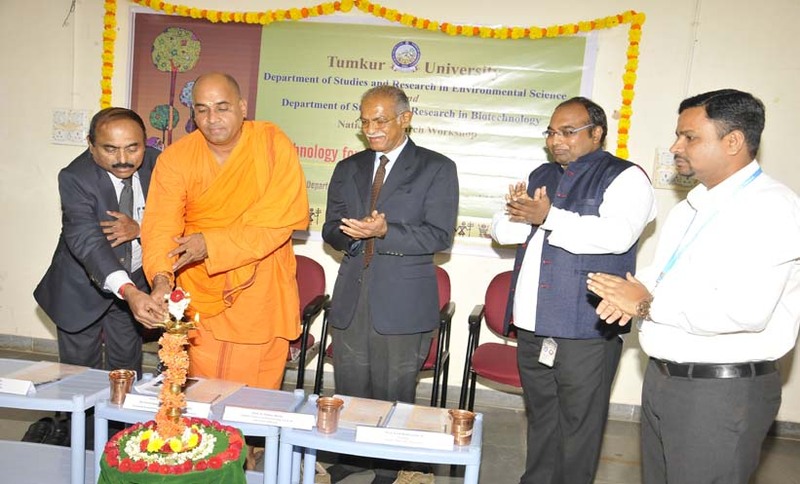 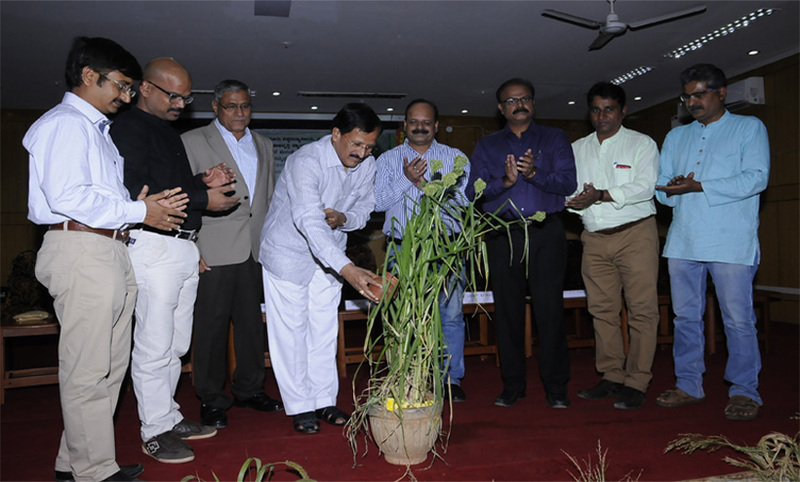 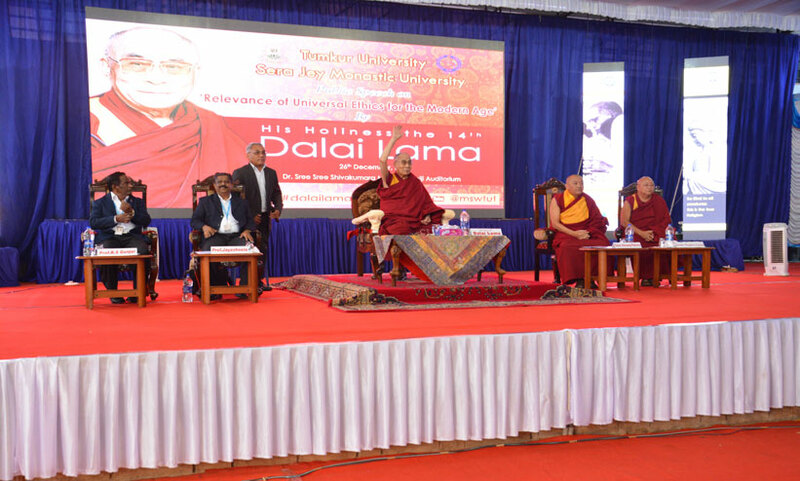 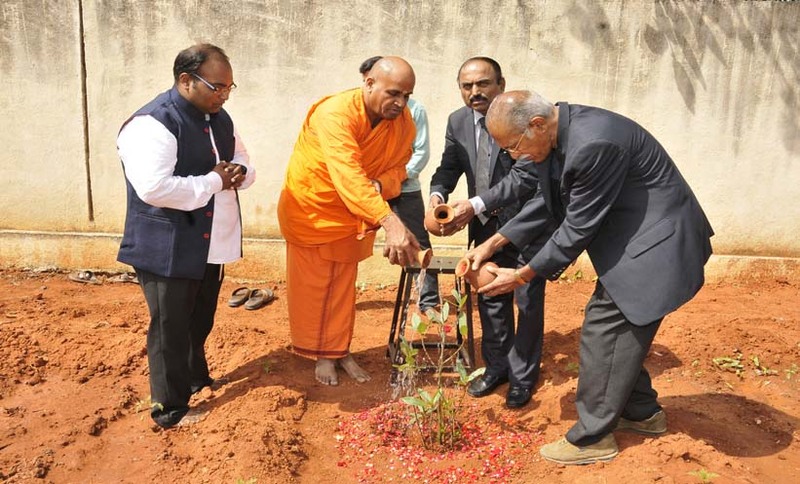 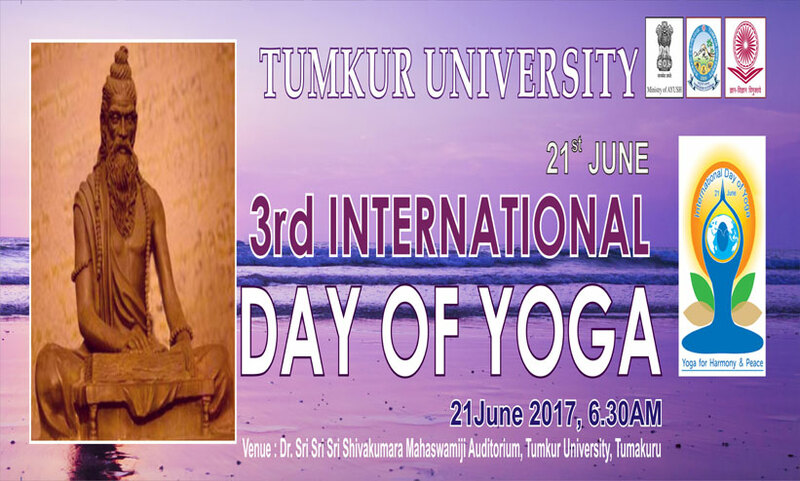 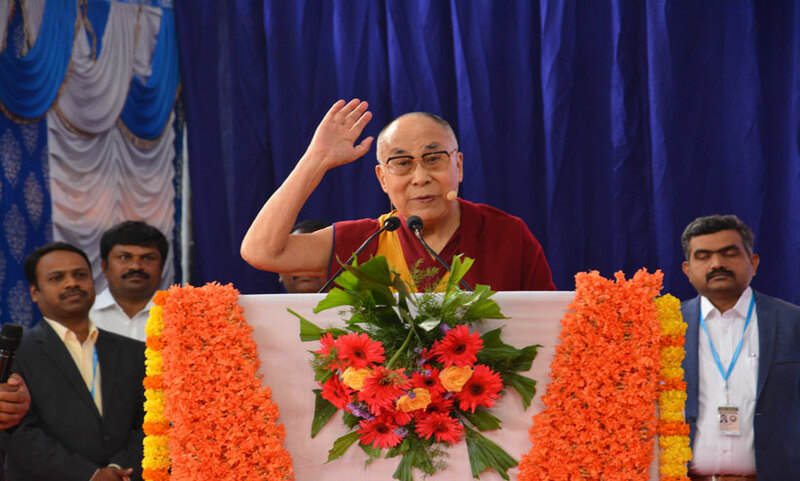 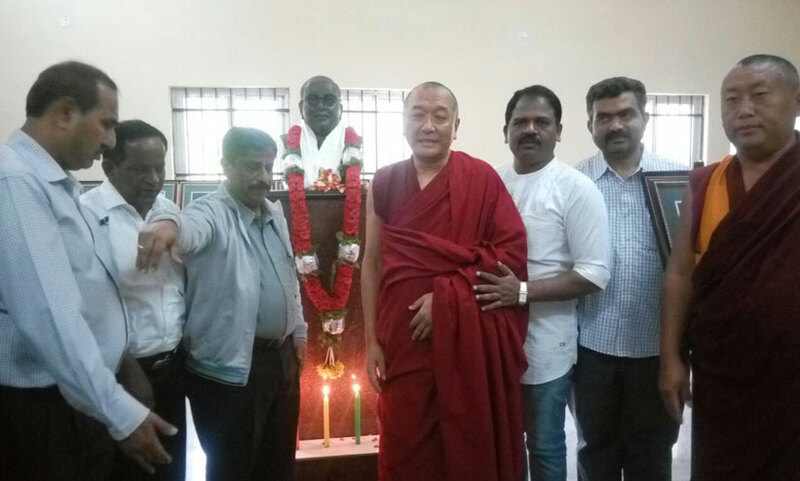 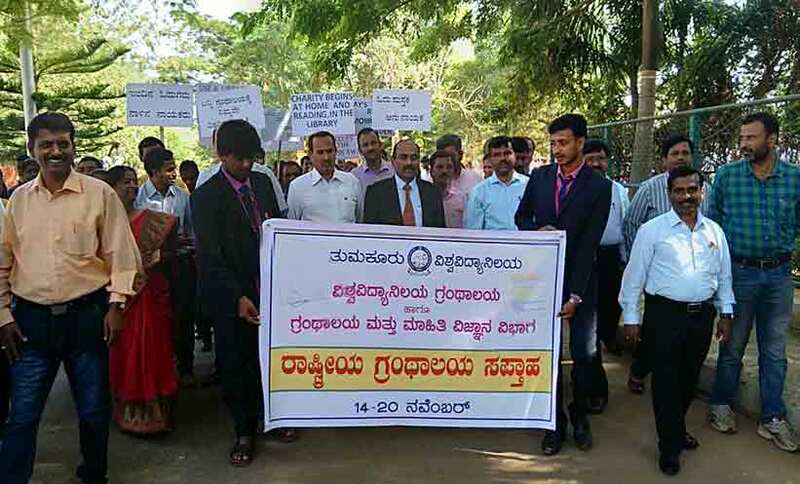 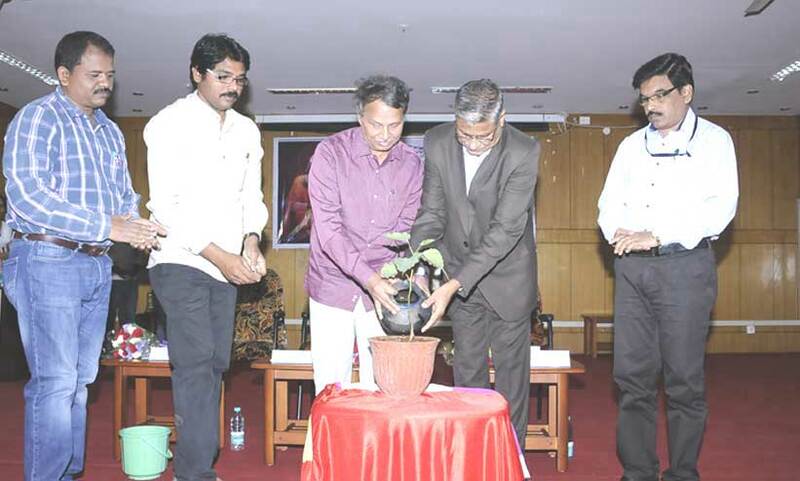 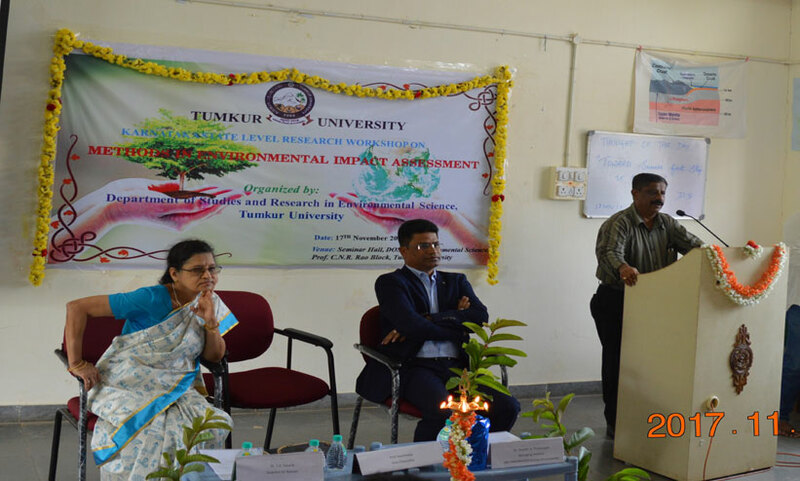 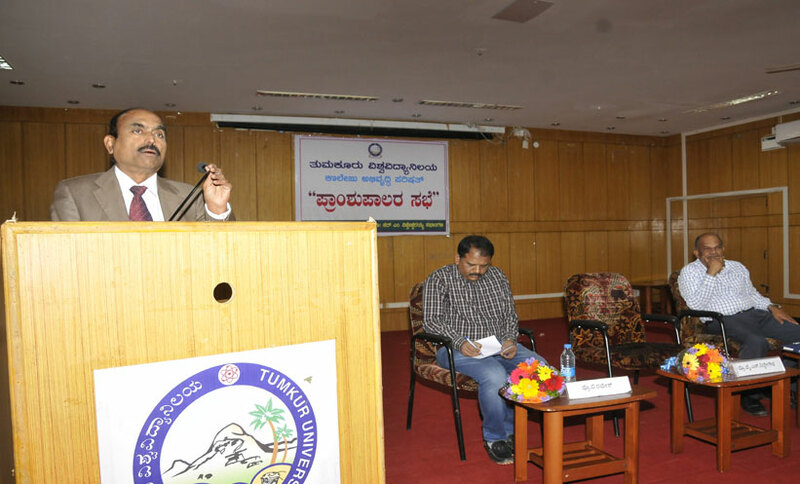 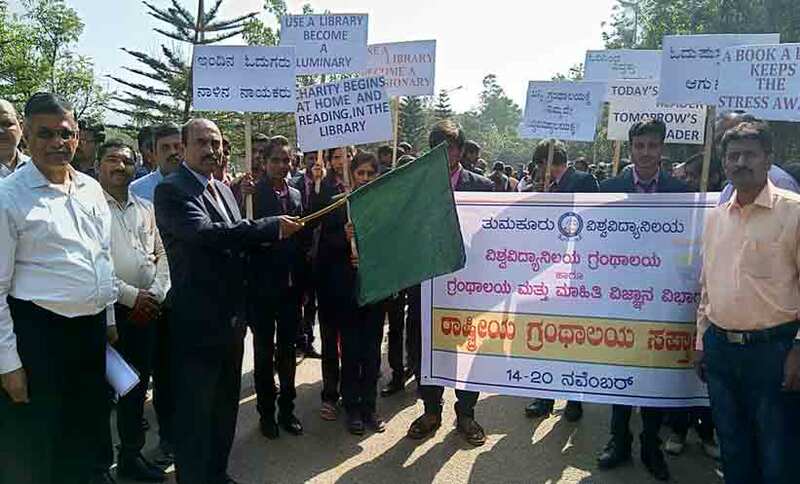 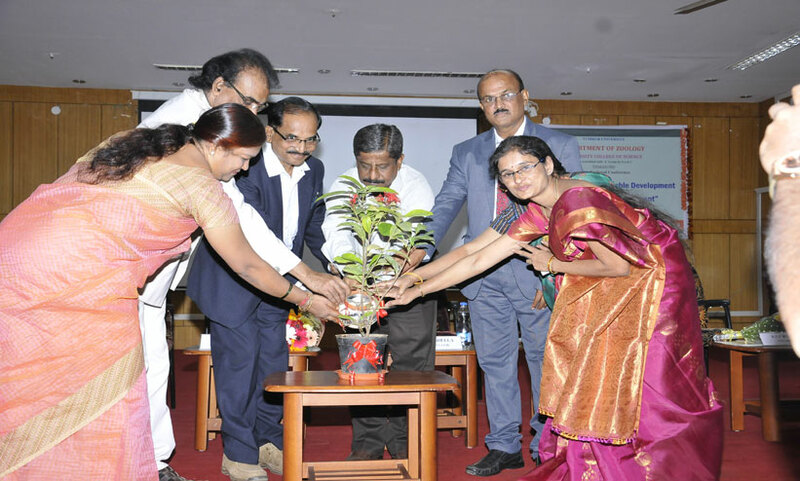 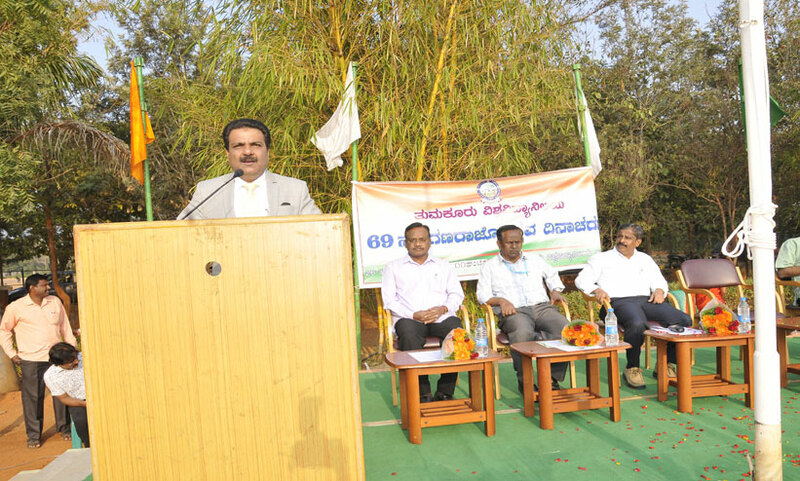 International Earth Day organized at Tumkur University. 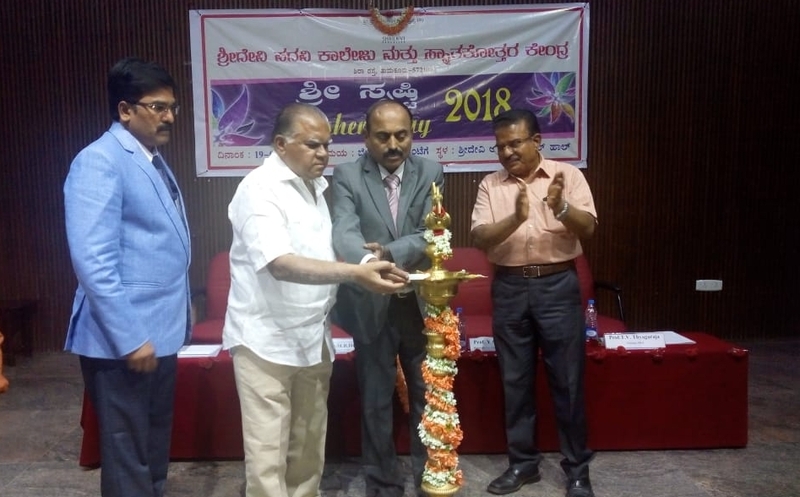 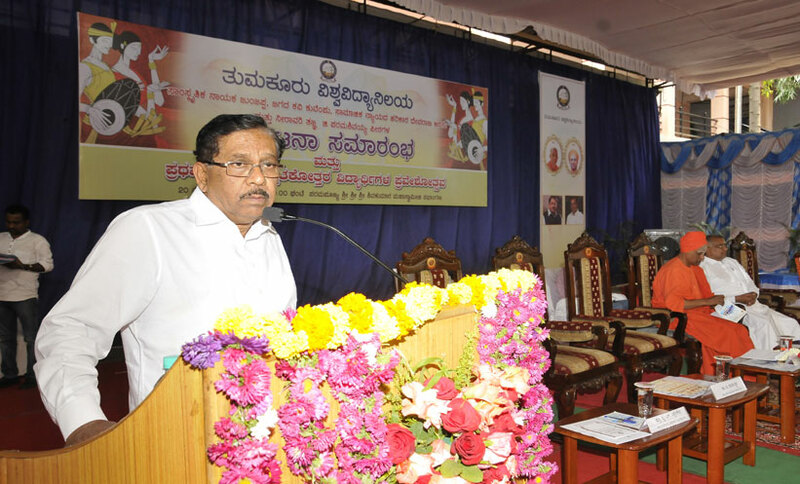 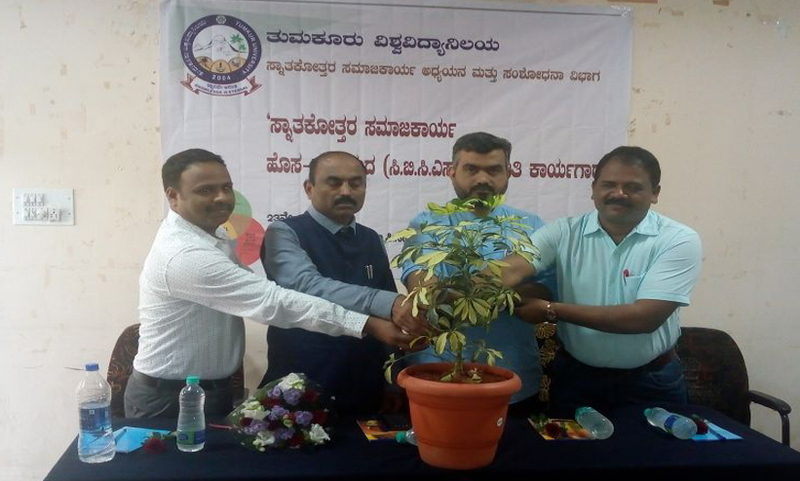 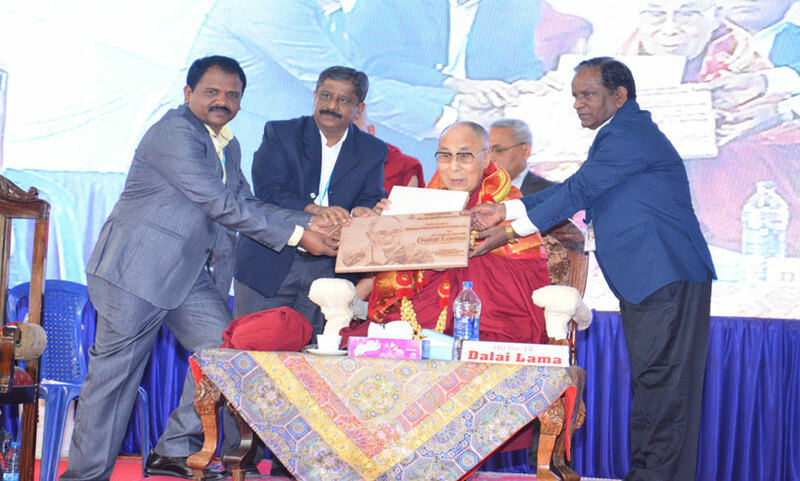 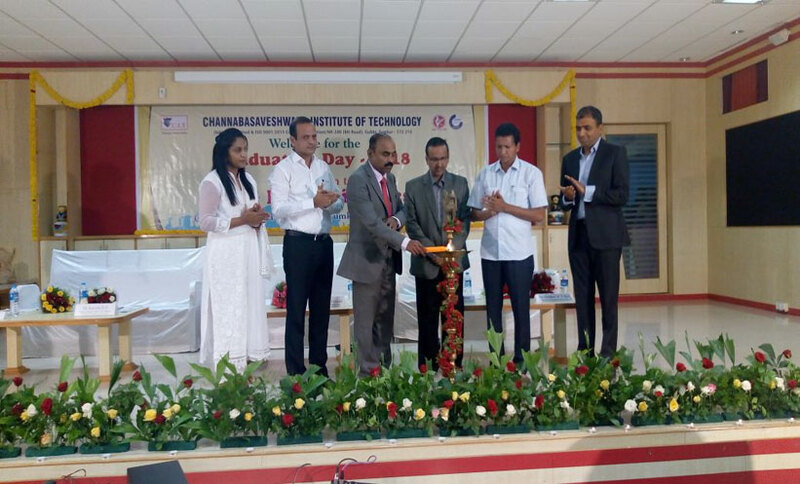 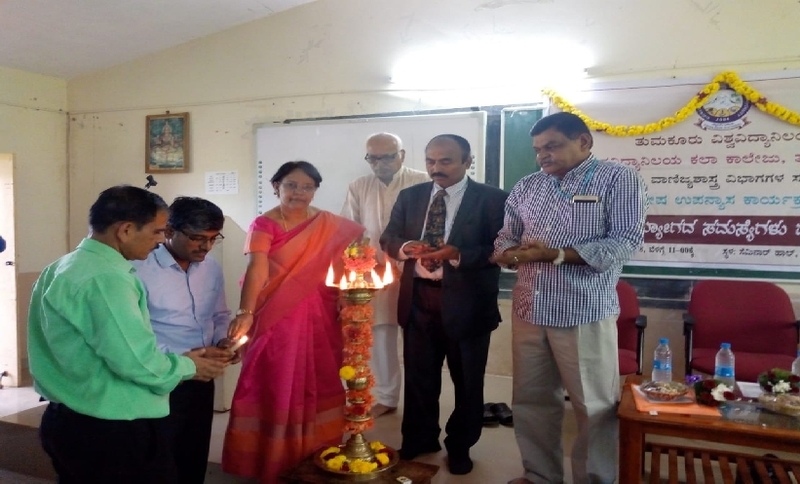 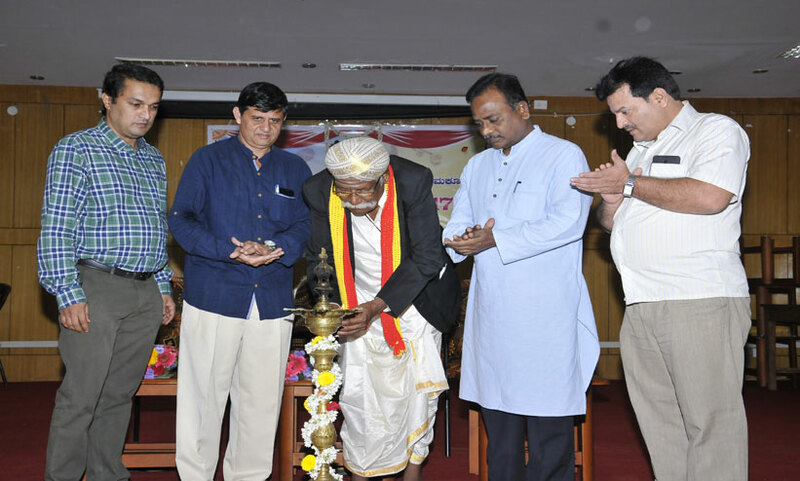 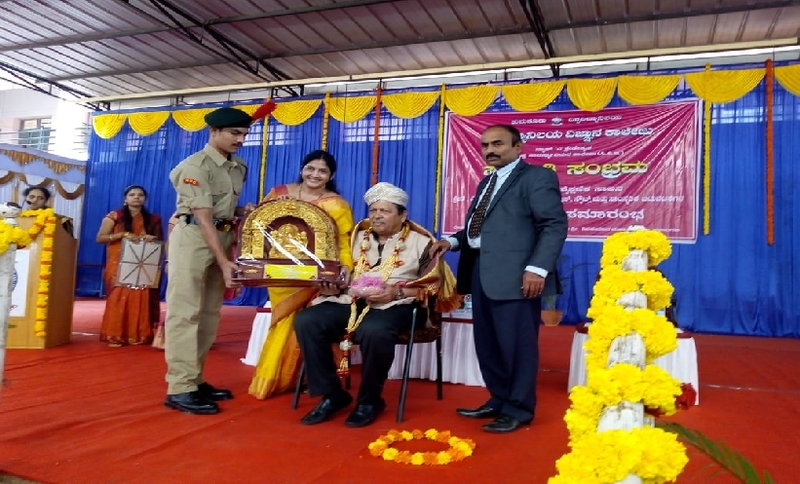 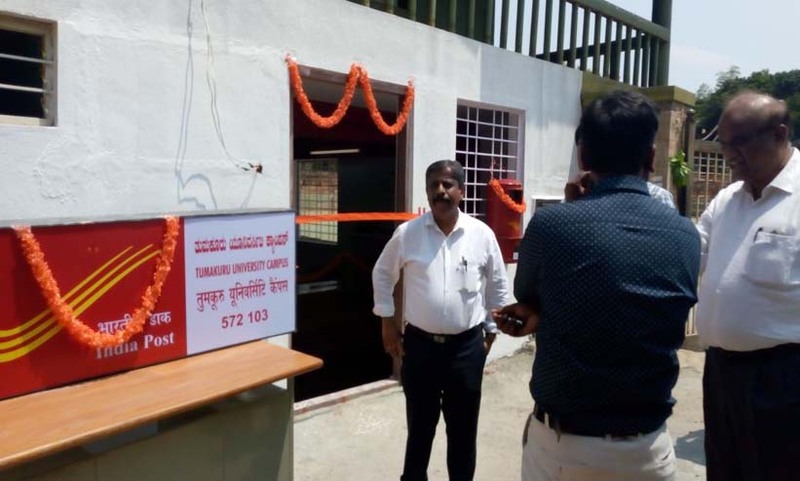 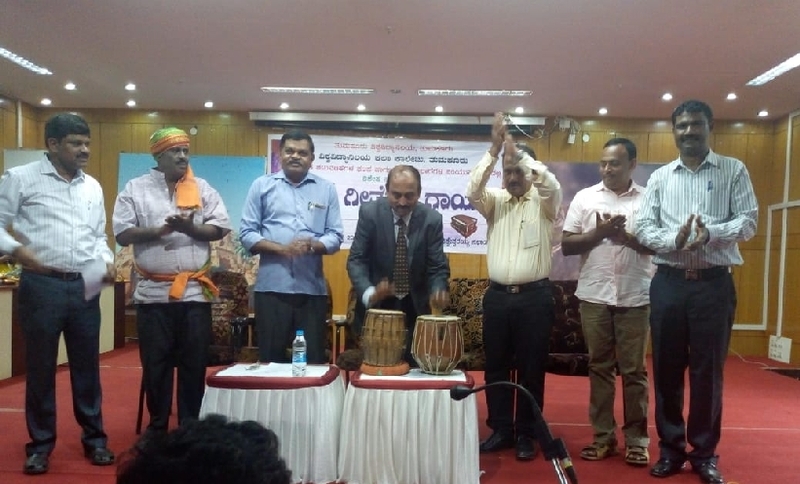 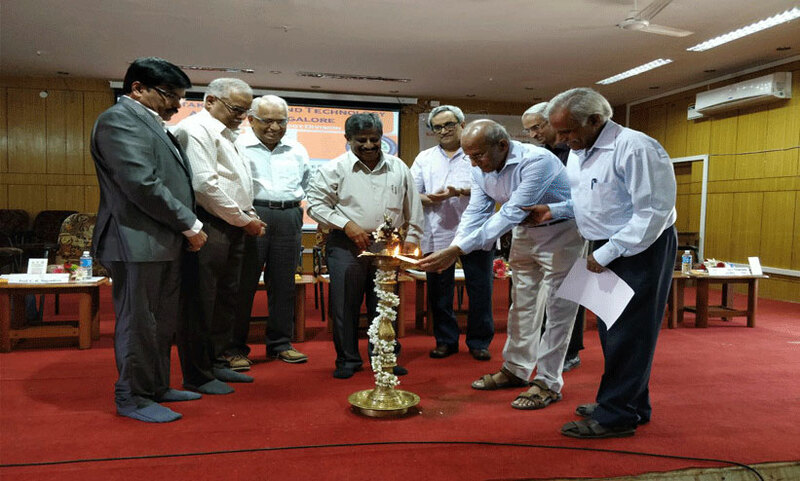 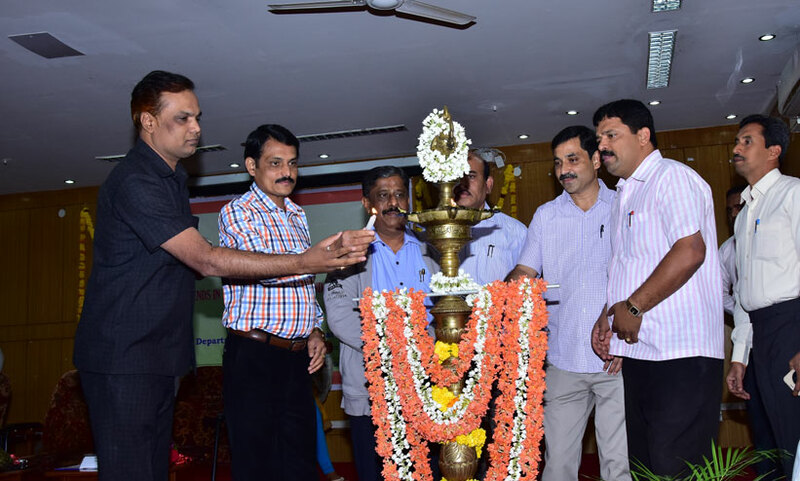 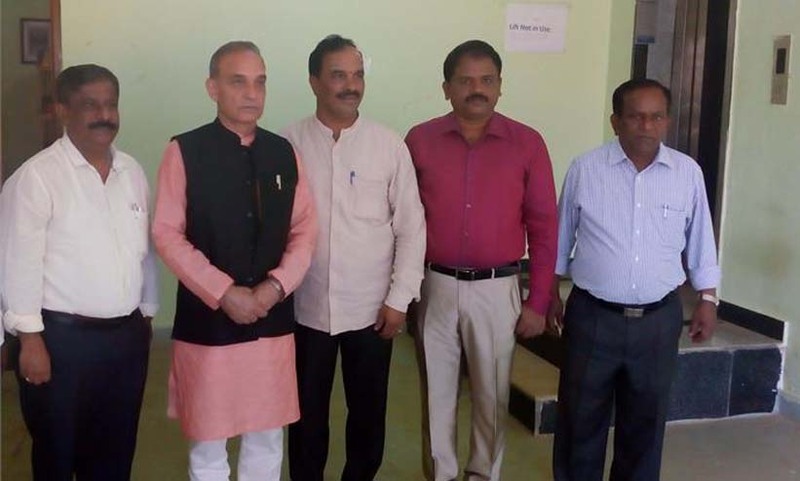 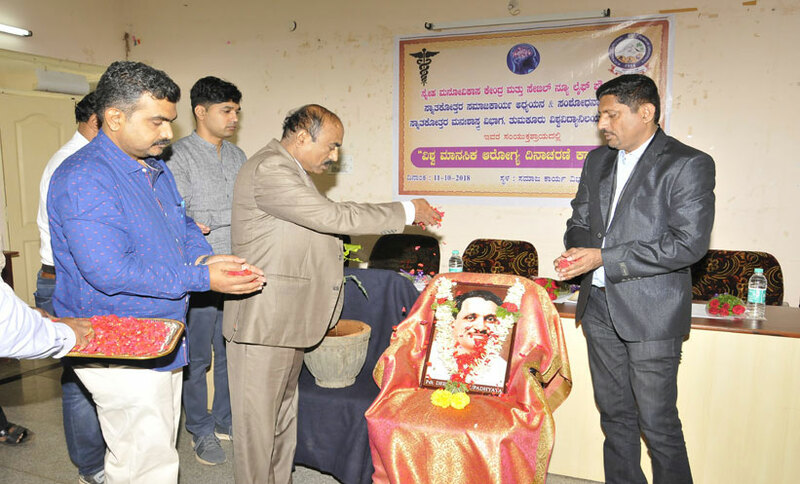 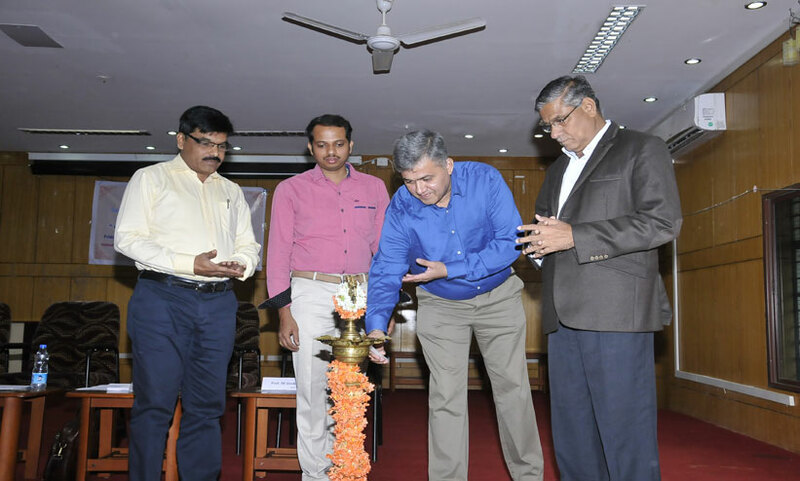 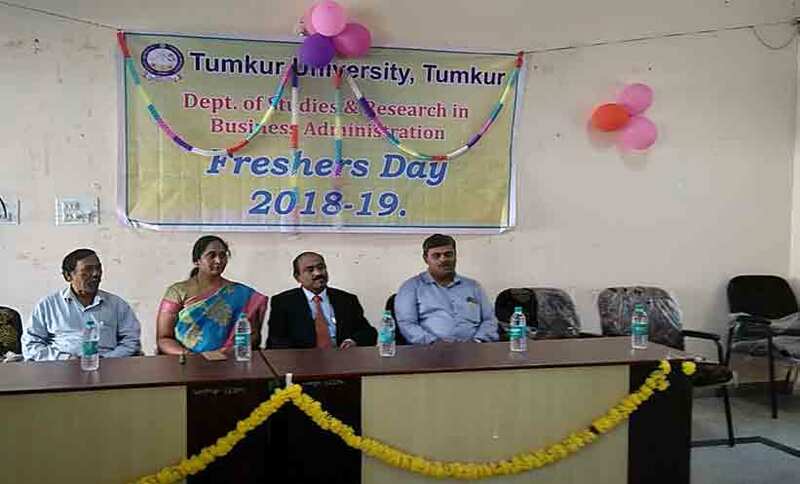 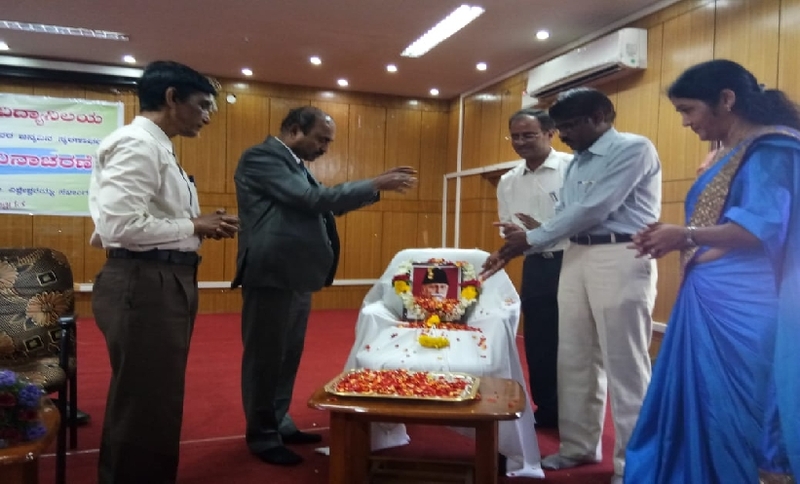 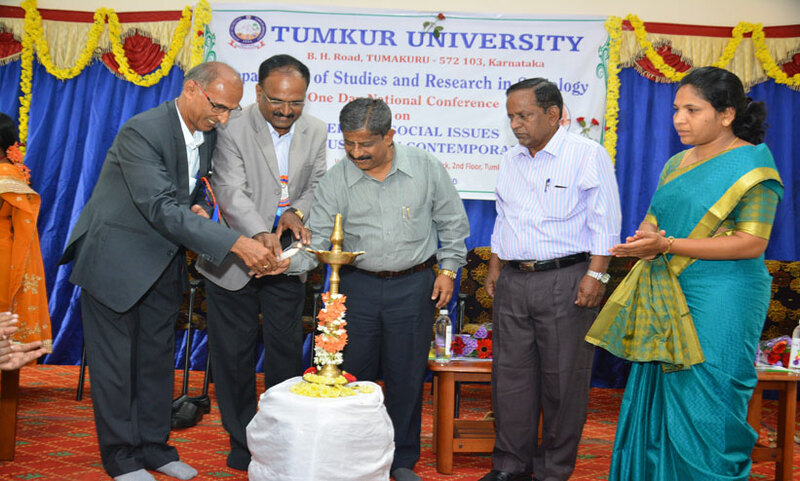 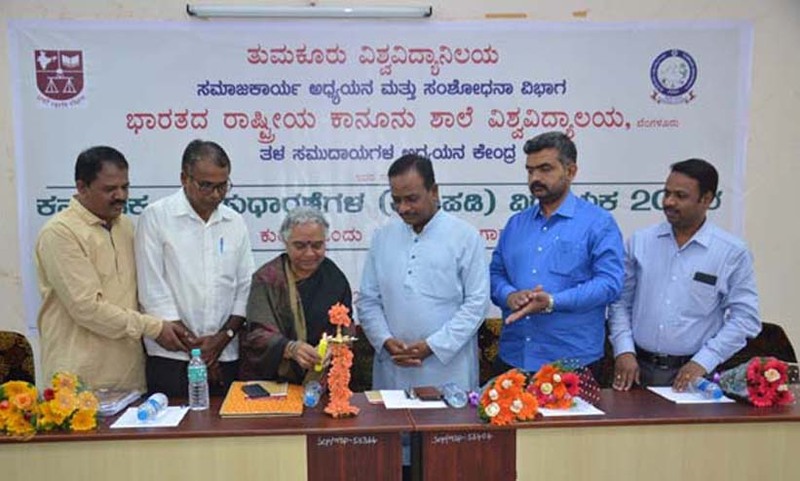 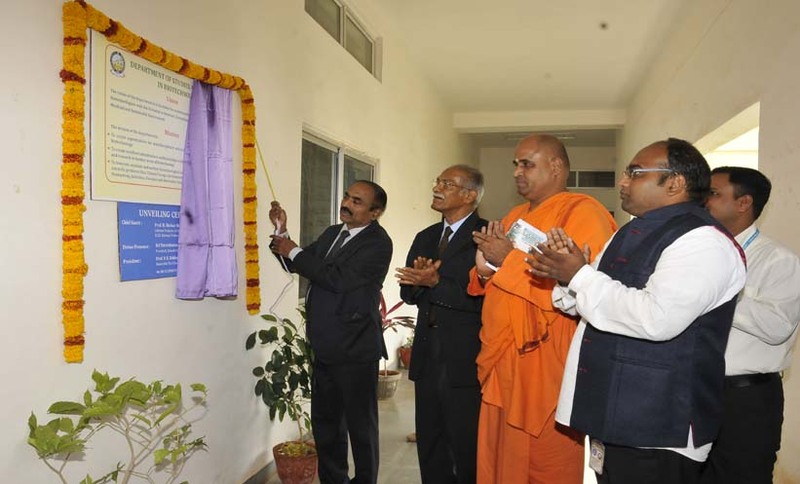 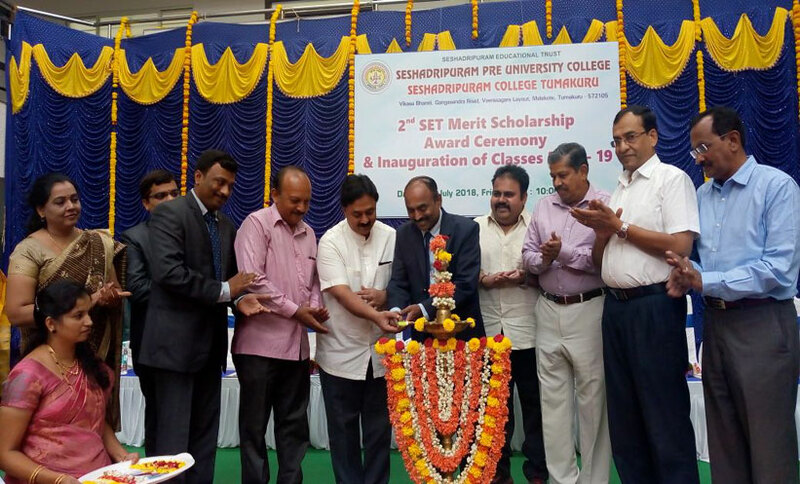 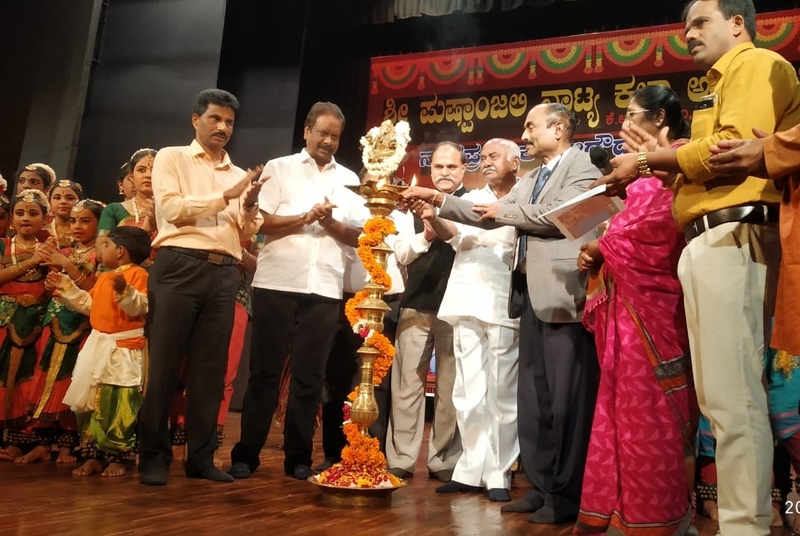 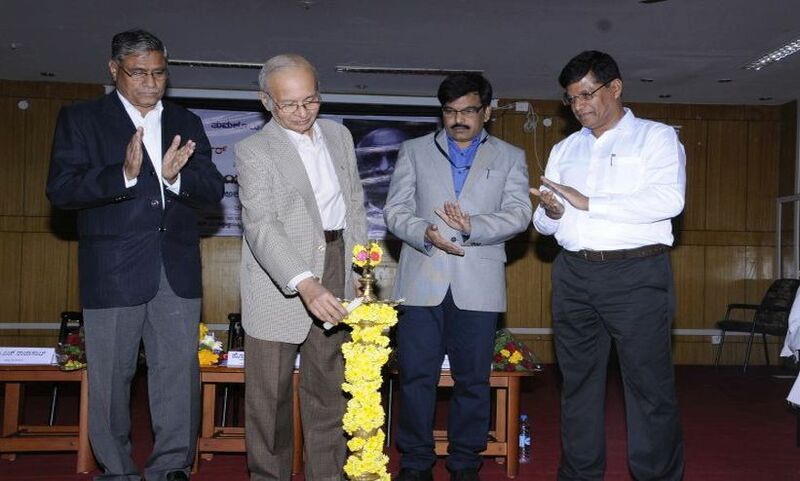 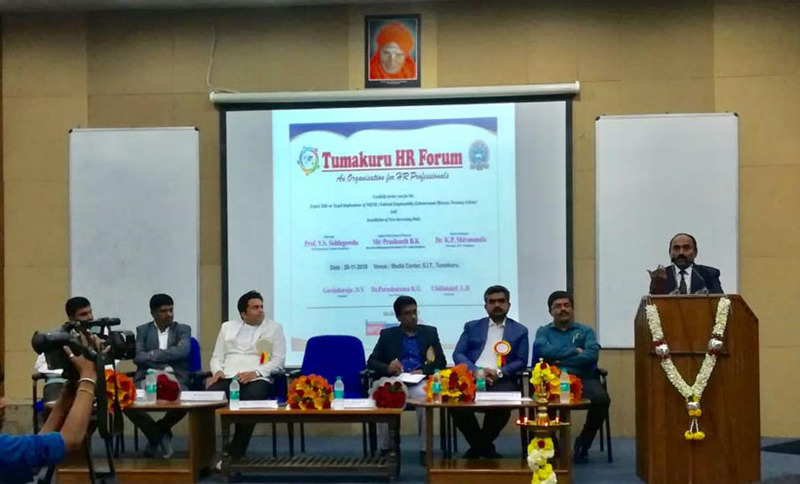 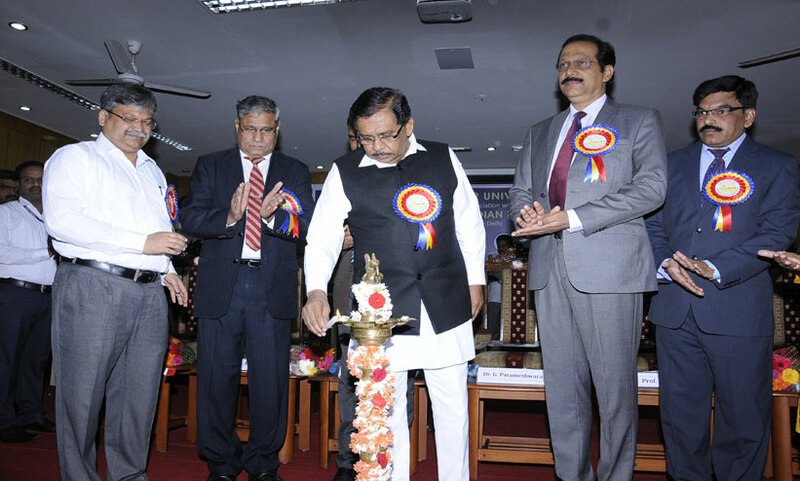 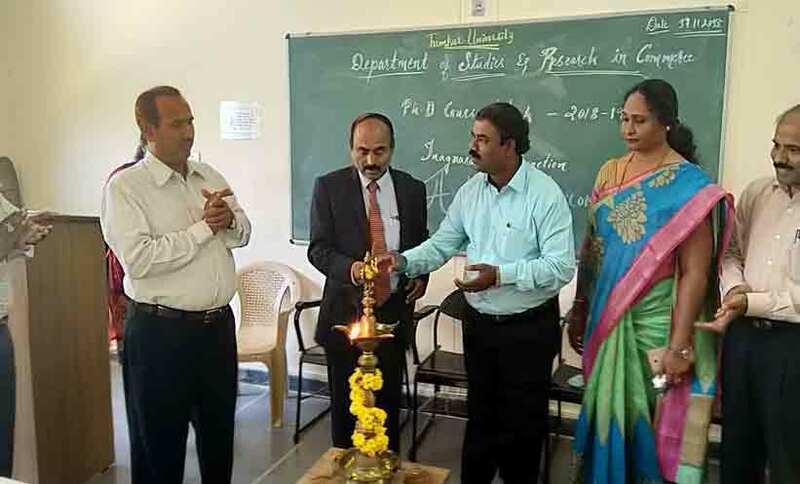 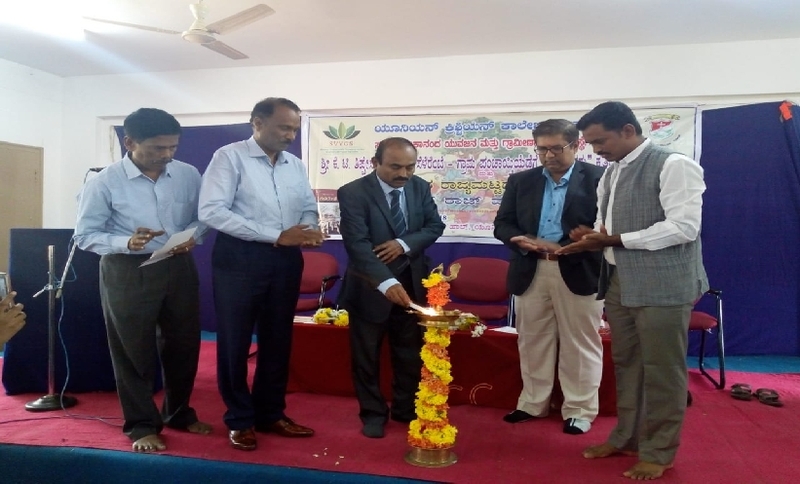 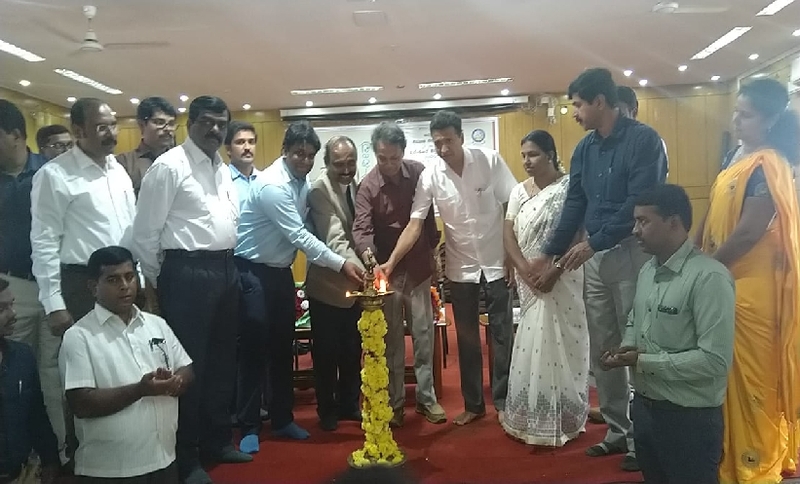 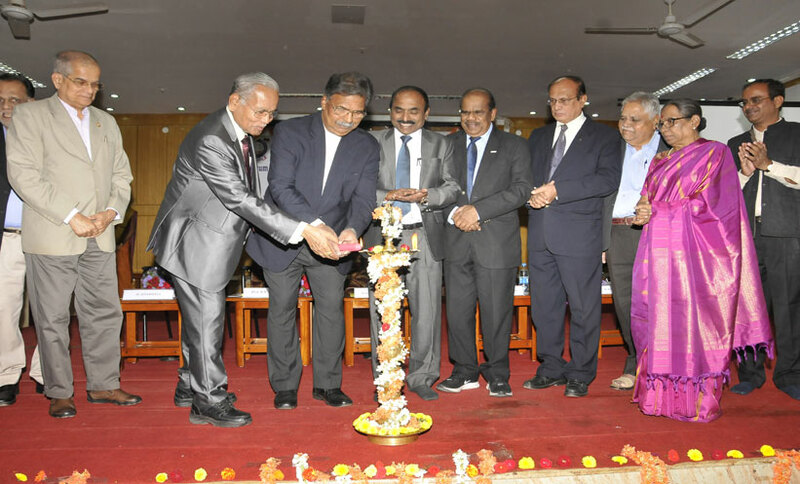 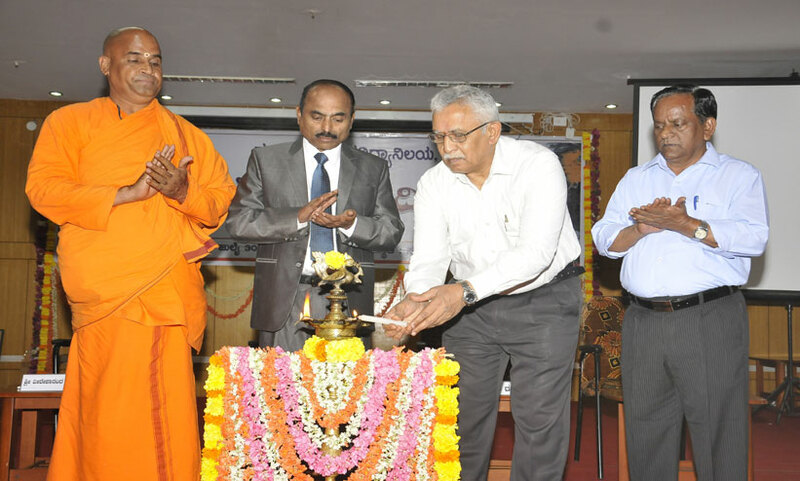 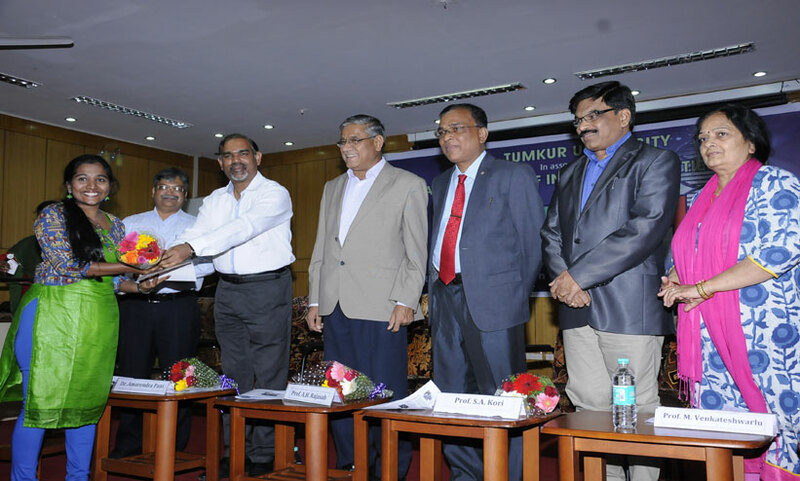 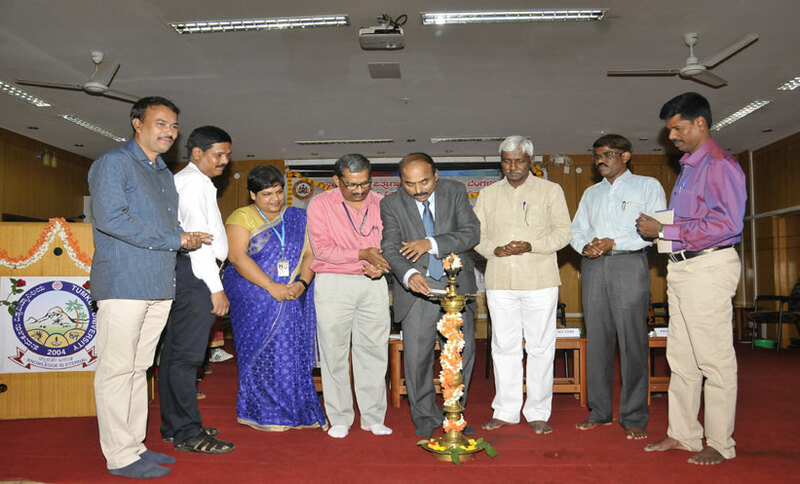 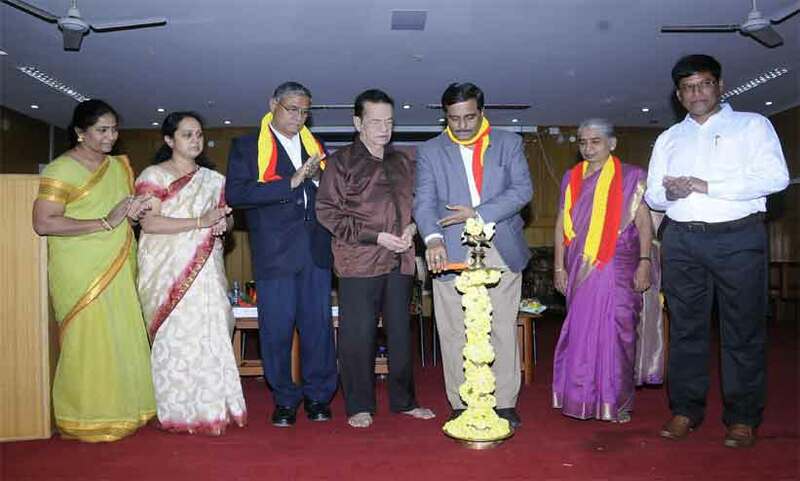 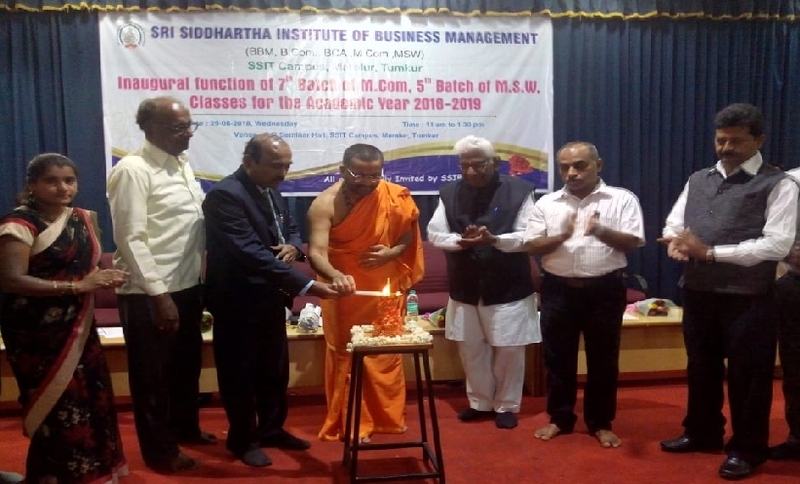 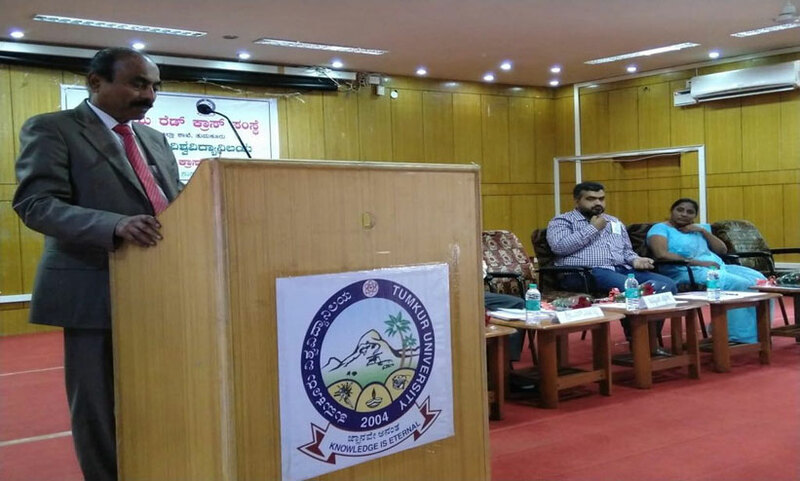 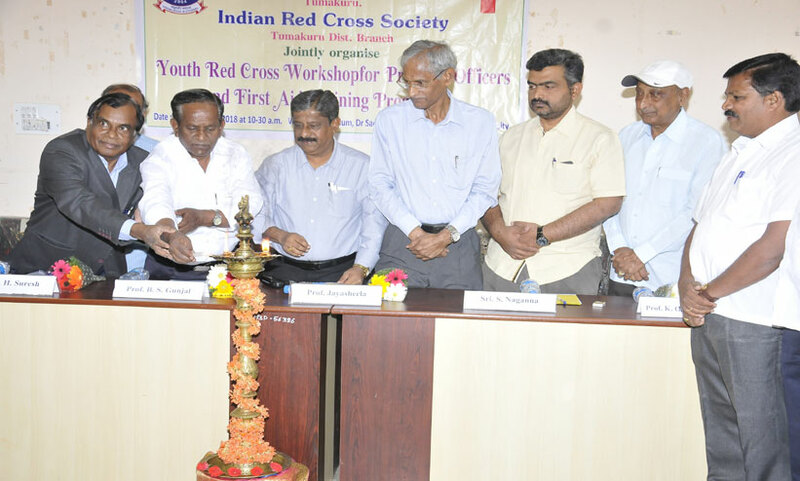 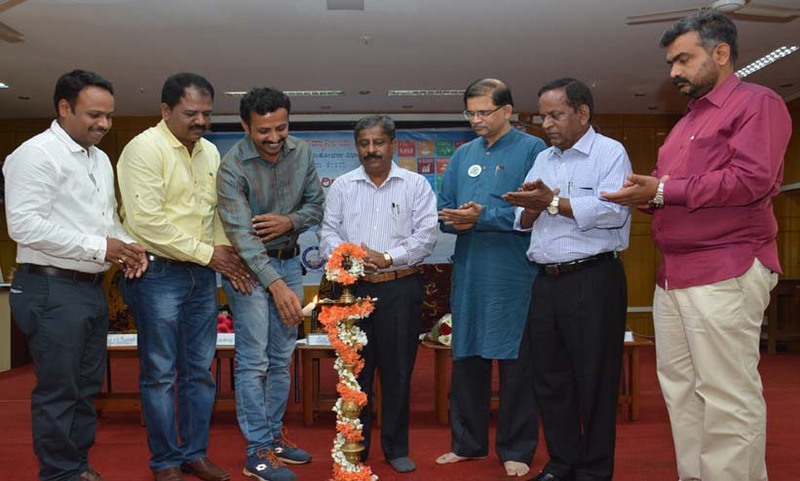 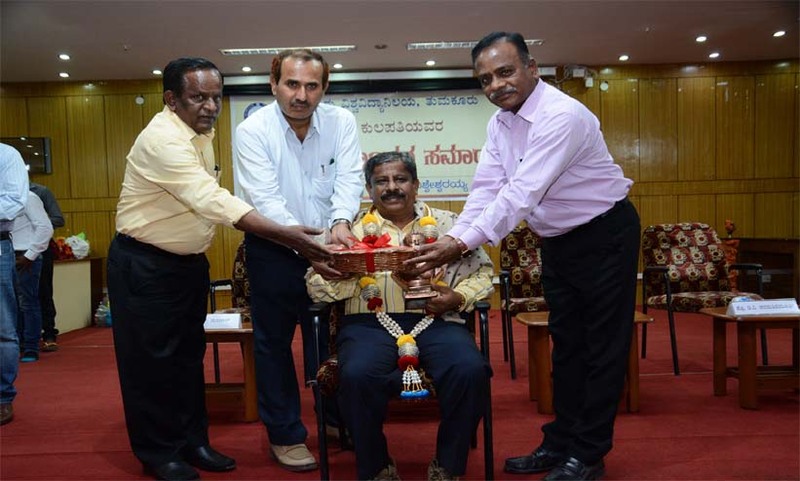 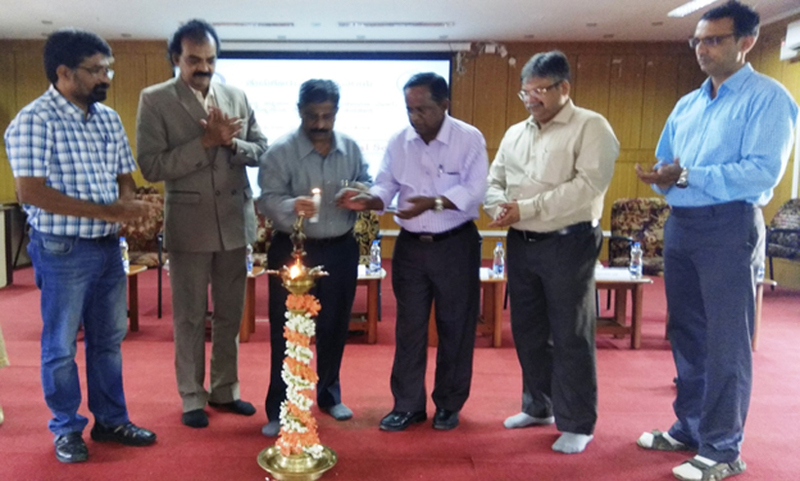 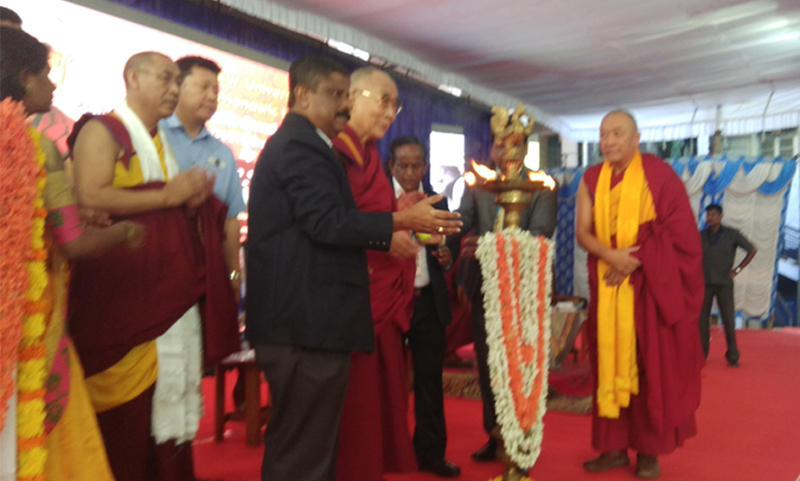 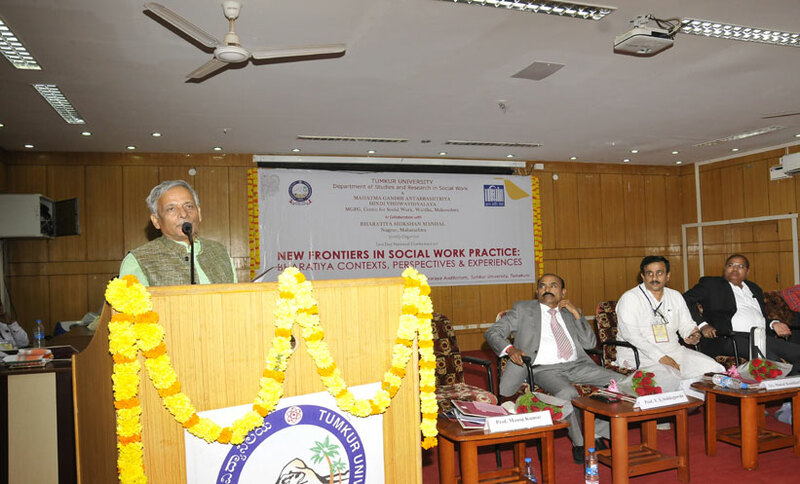 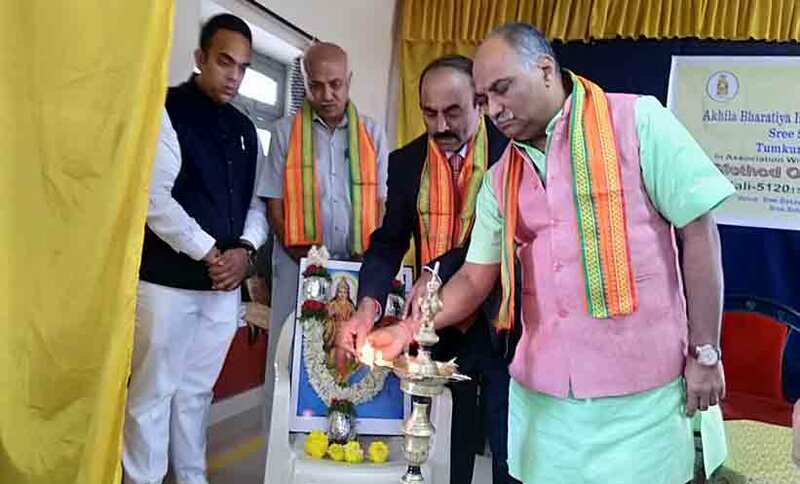 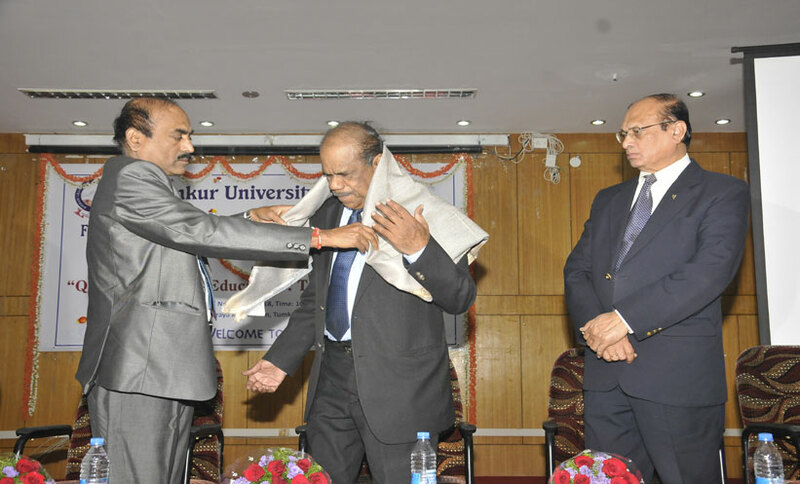 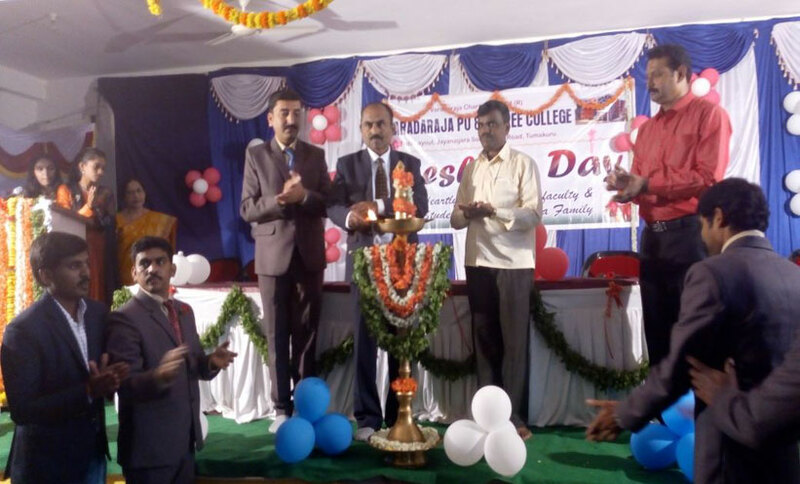 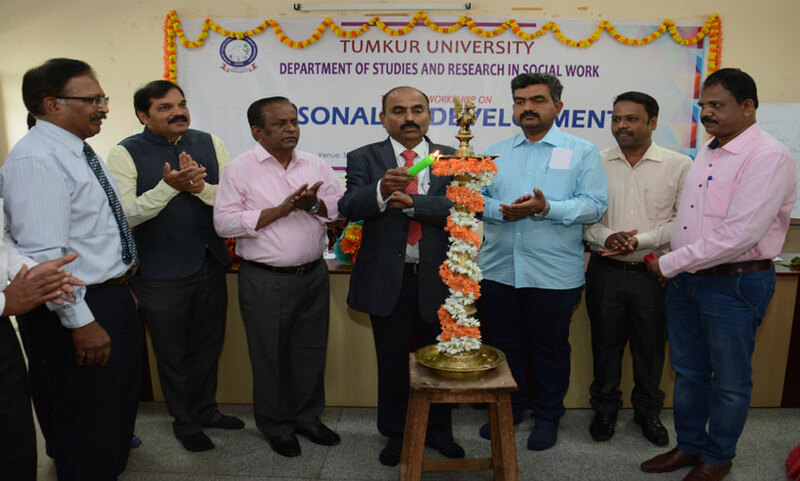 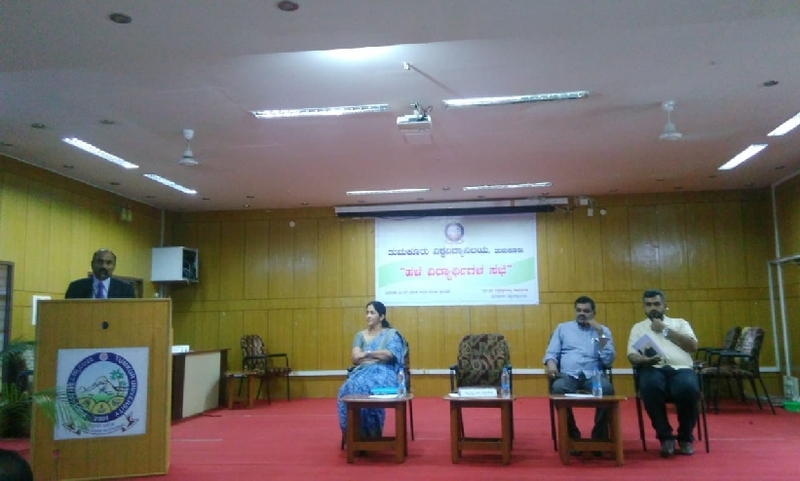 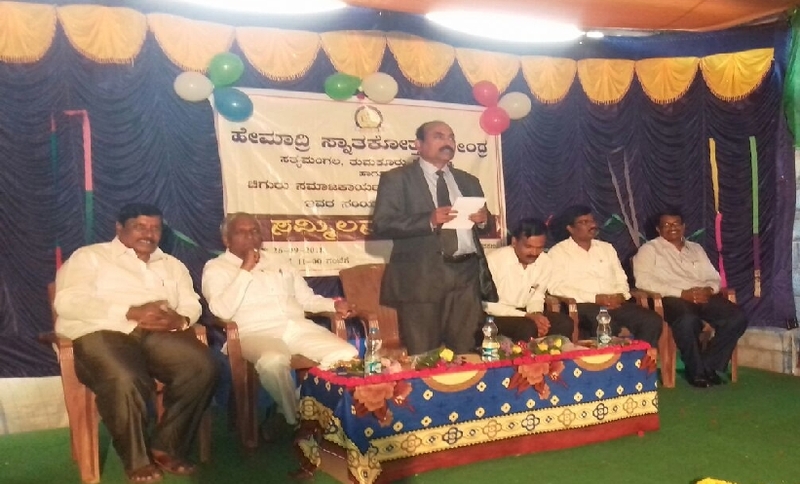 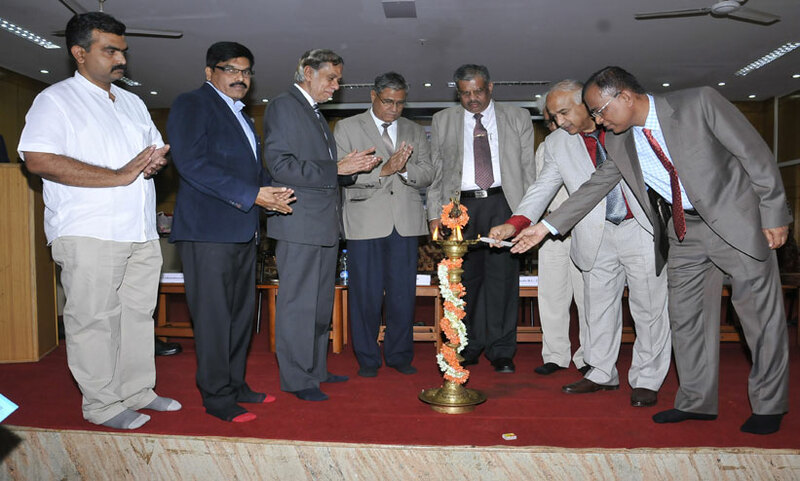 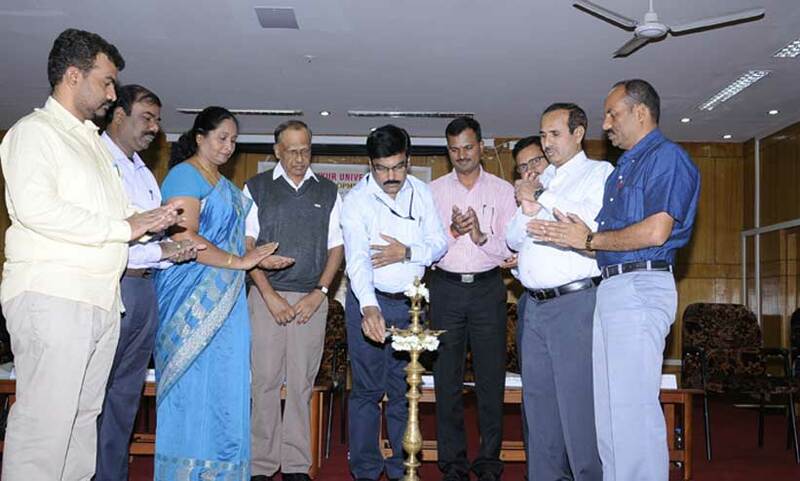 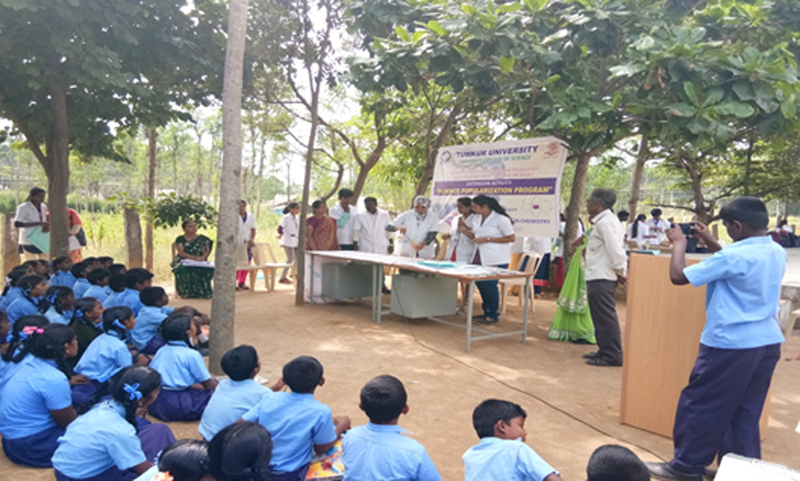 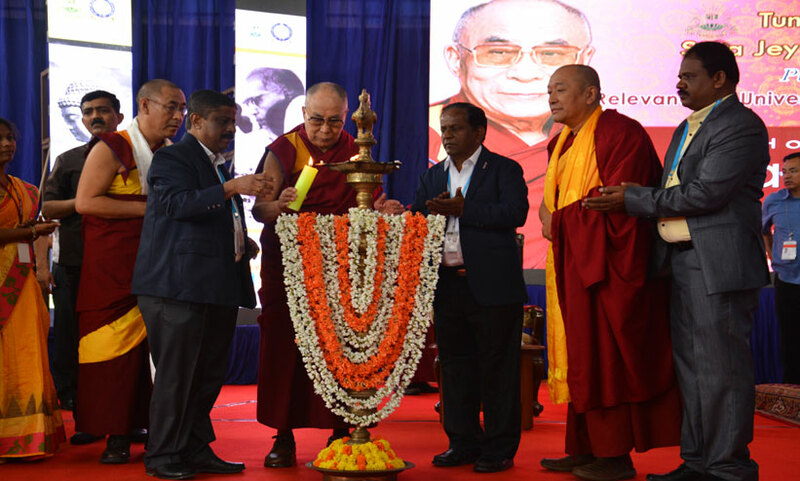 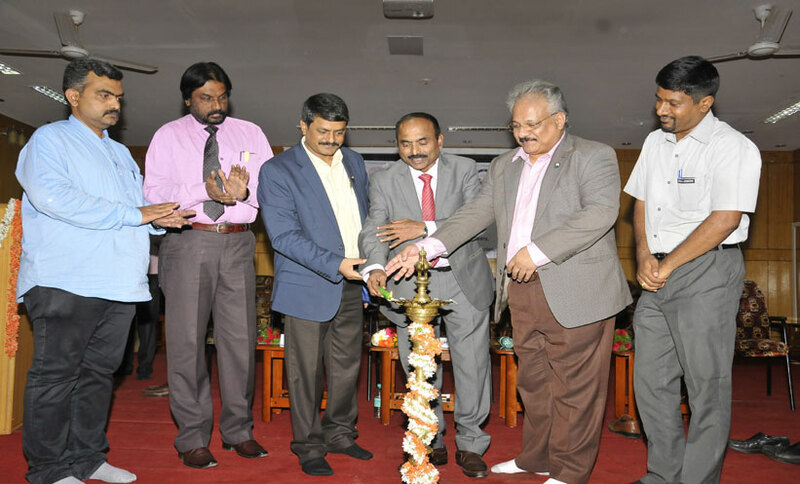 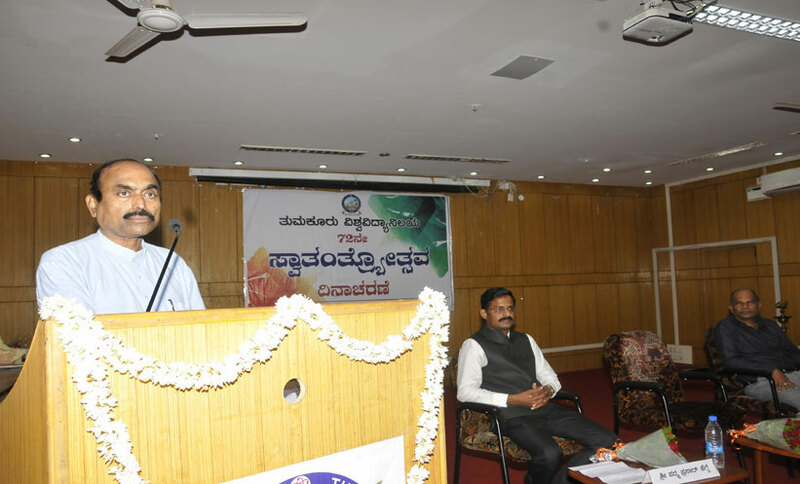 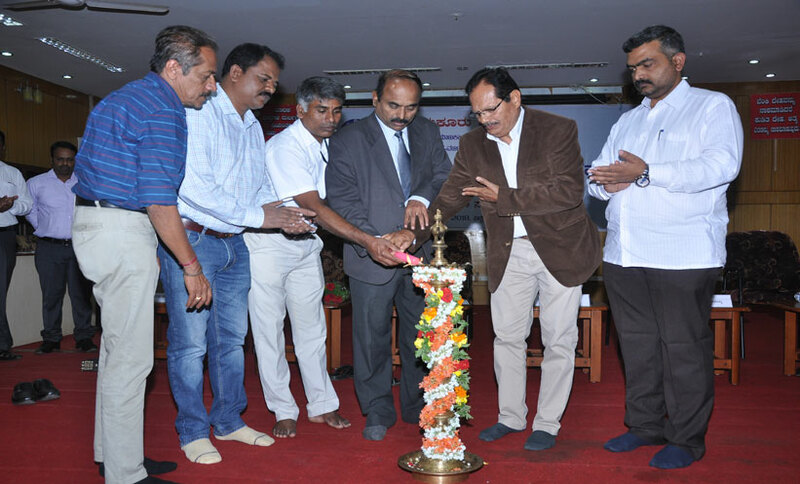 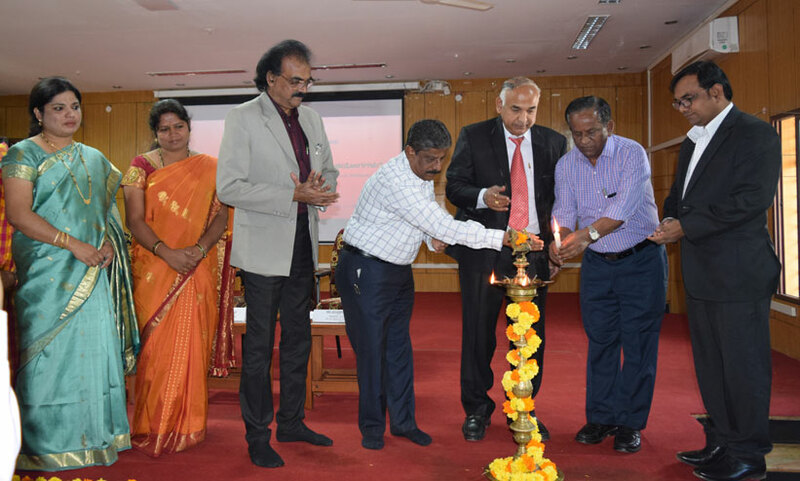 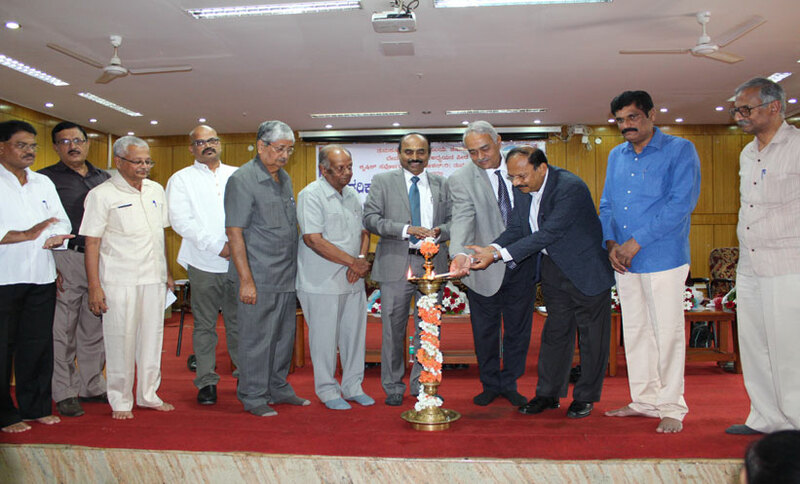 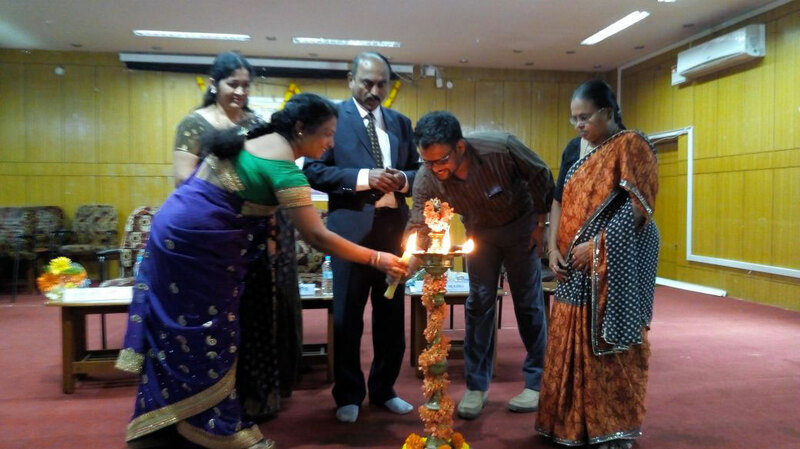 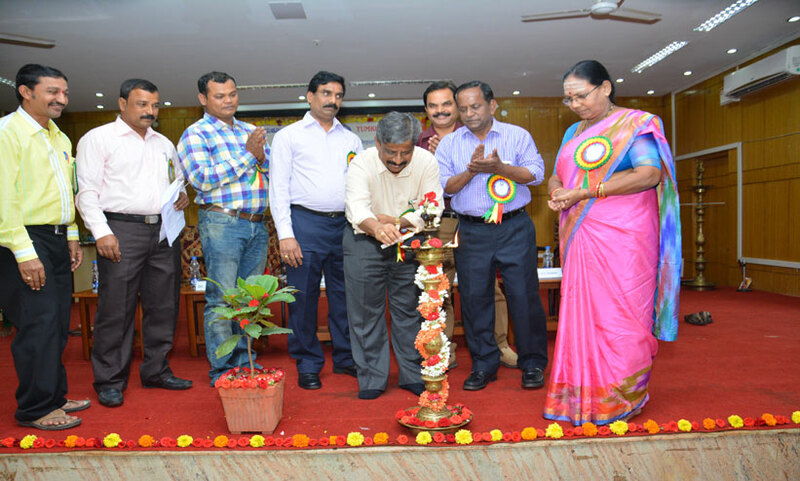 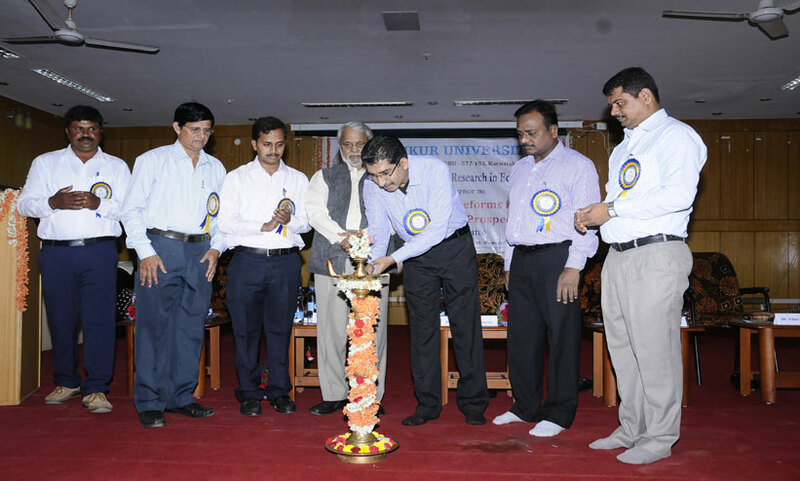 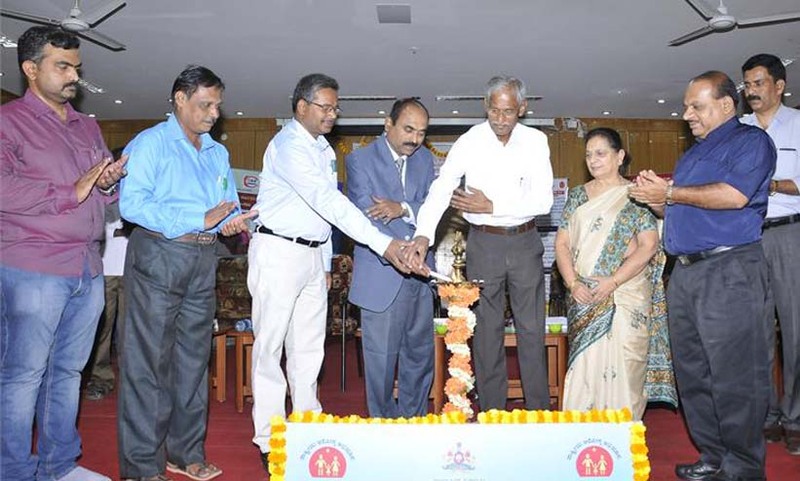 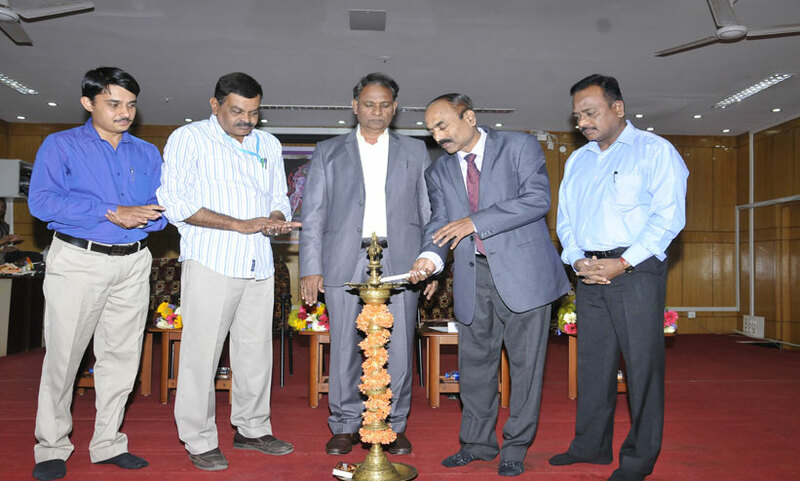 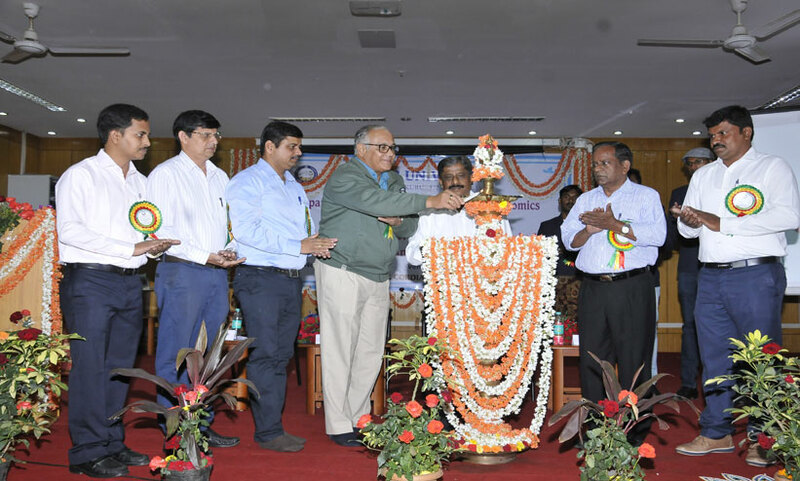 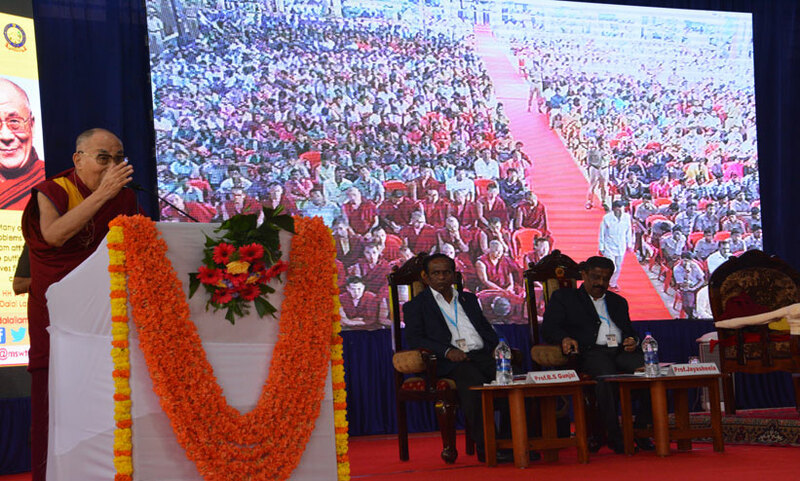 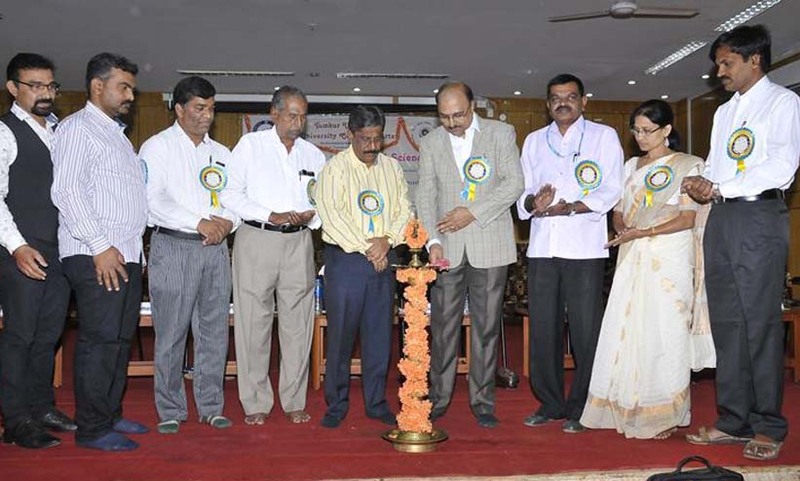 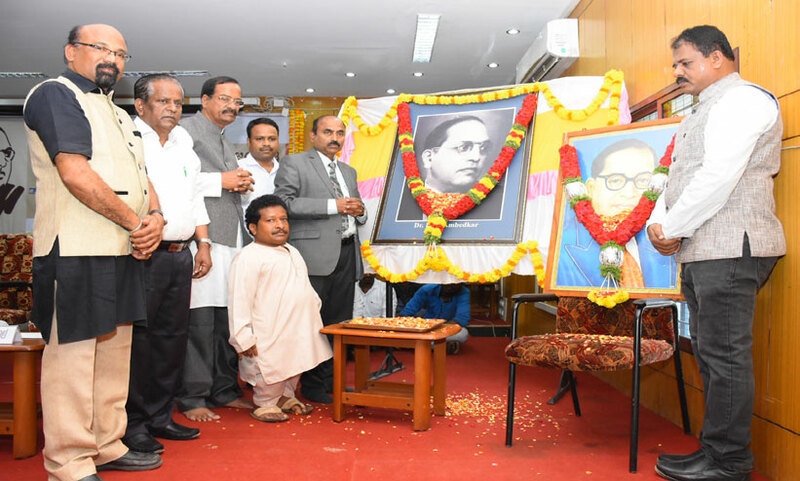 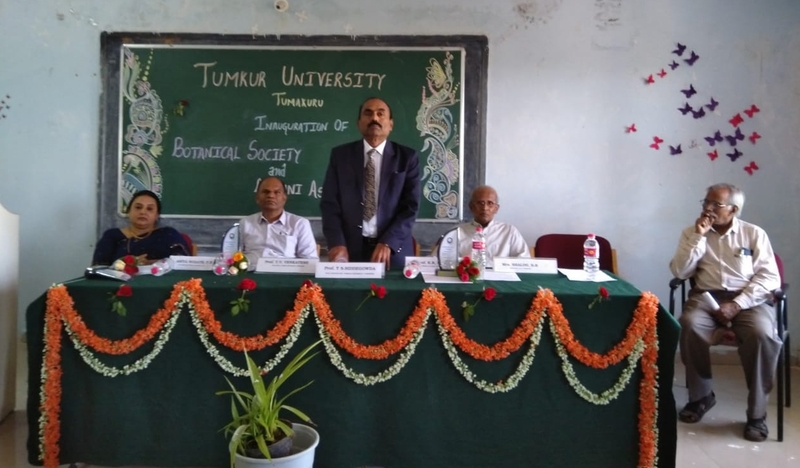 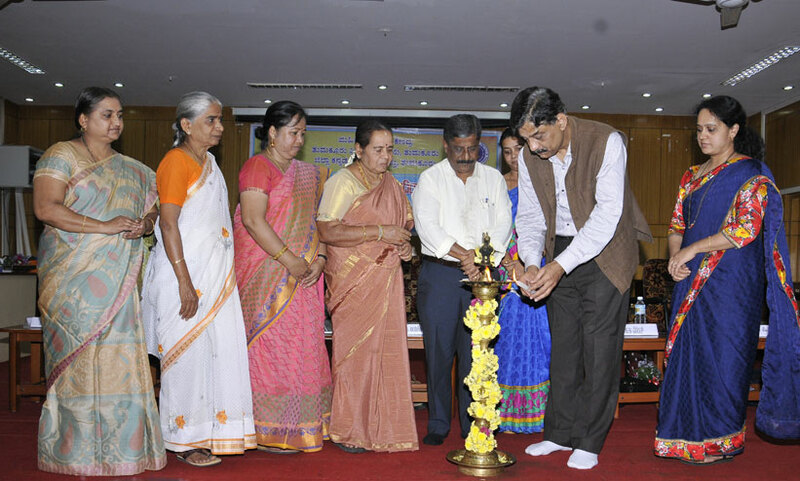 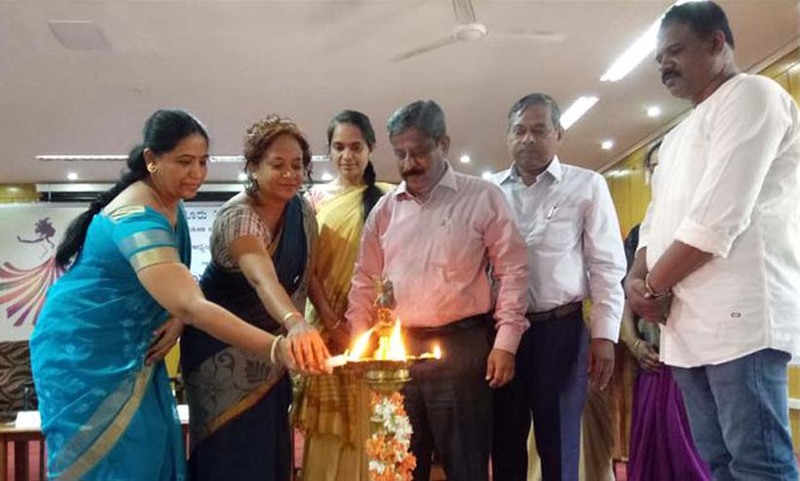 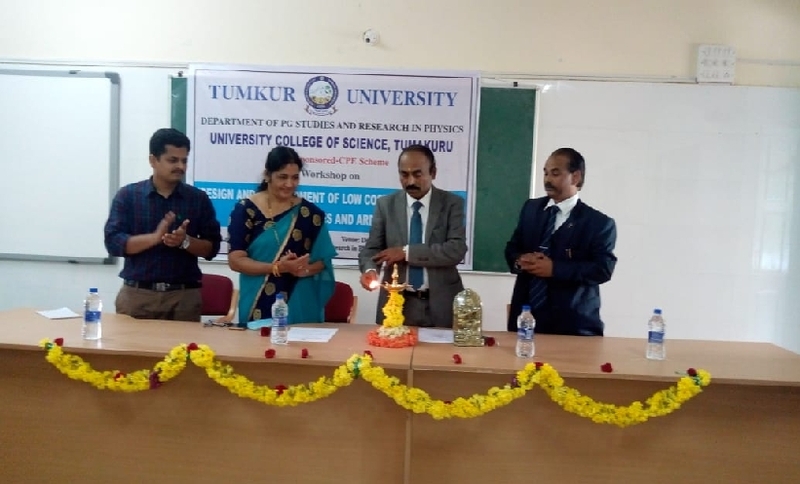 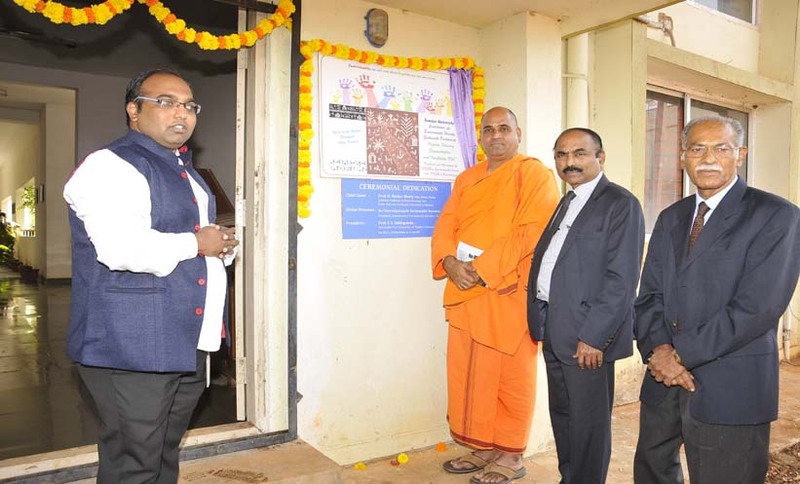 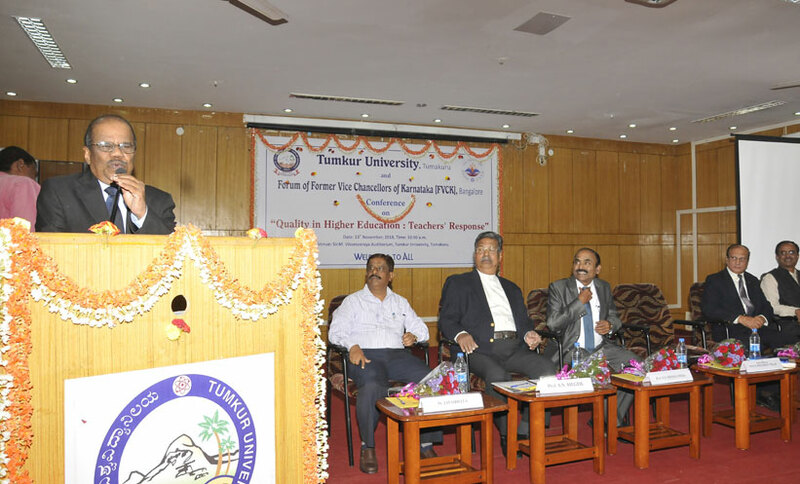 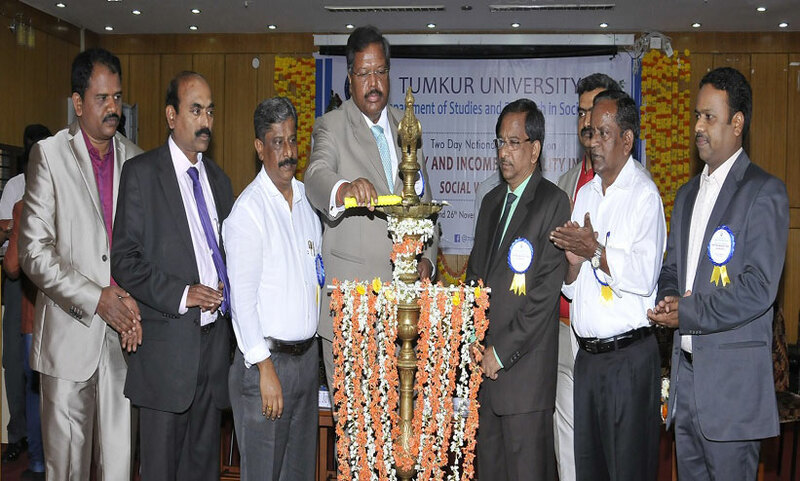 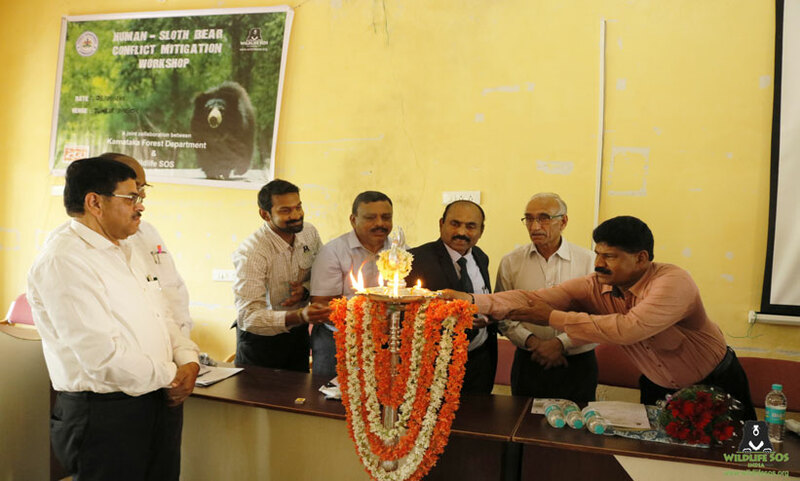 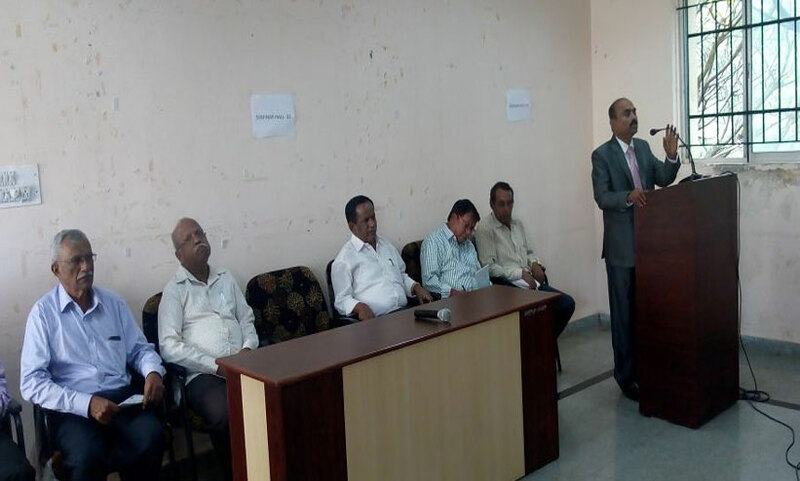 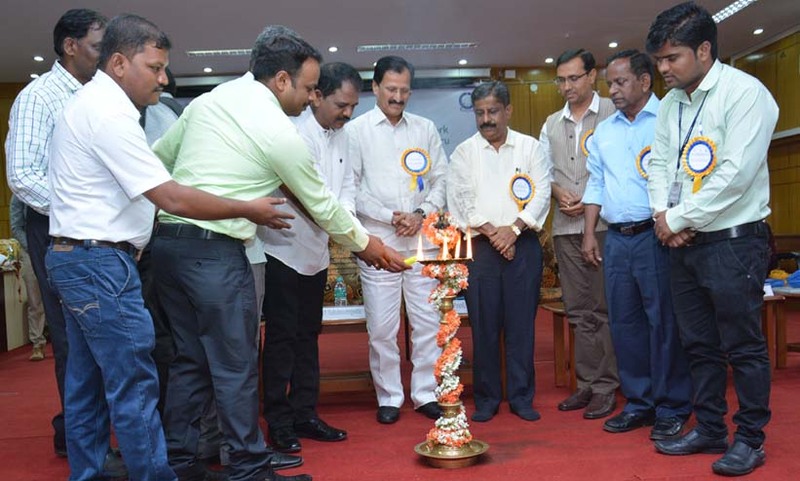 Sri B L Jirnalkar, Member Secretary, District Legal Services, Tumkur, Sri Rajendra Badamikar, Principal District and Session Judge, Tumkur and Prof. Y S Siddegowda, Vice Chancellor inaugurated the event. 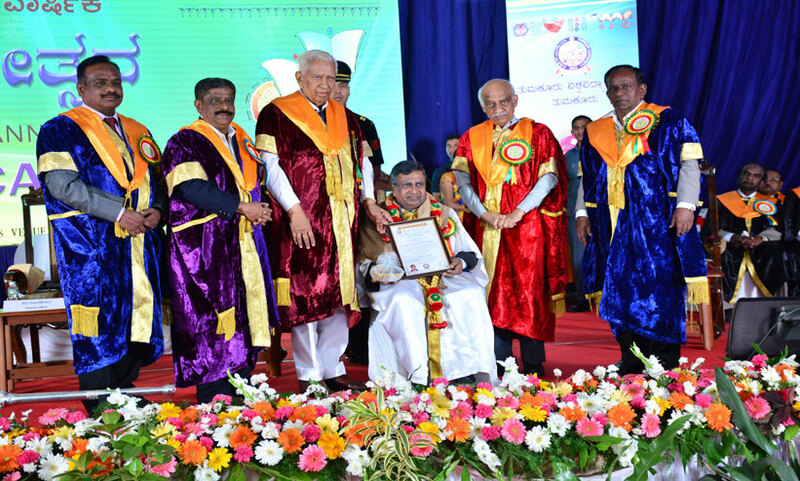 Hon'ble Vice Chancellor Prof. Y S Siddegowda, taking over the charge. 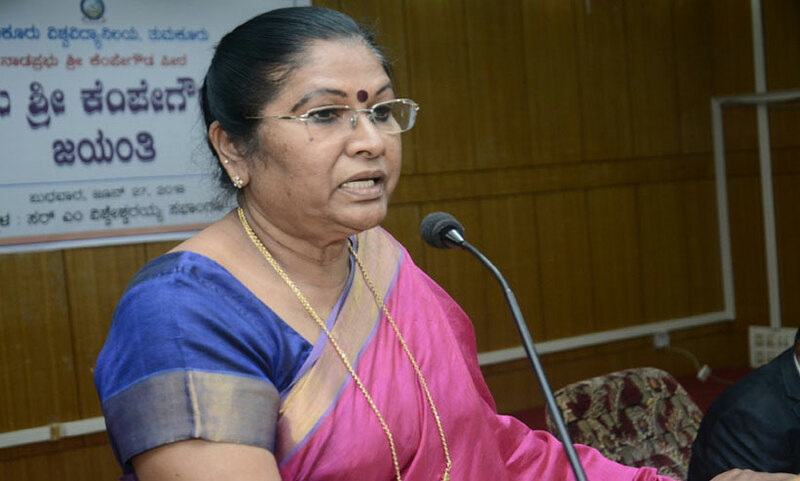 ಪ್ರೊ. 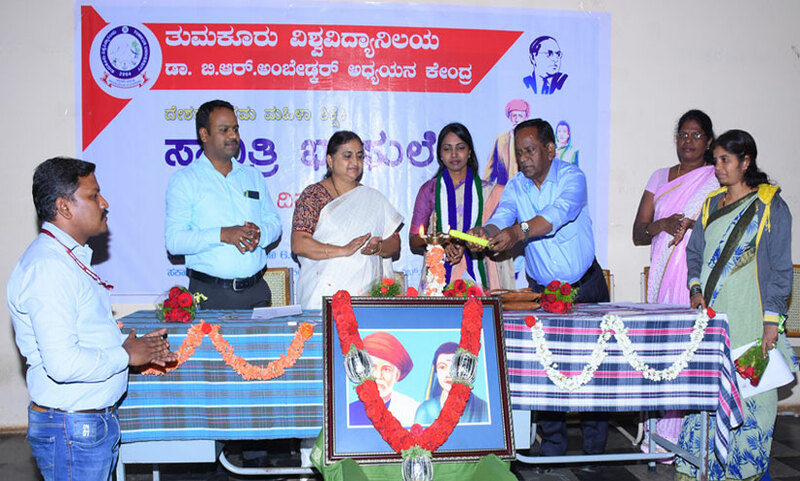 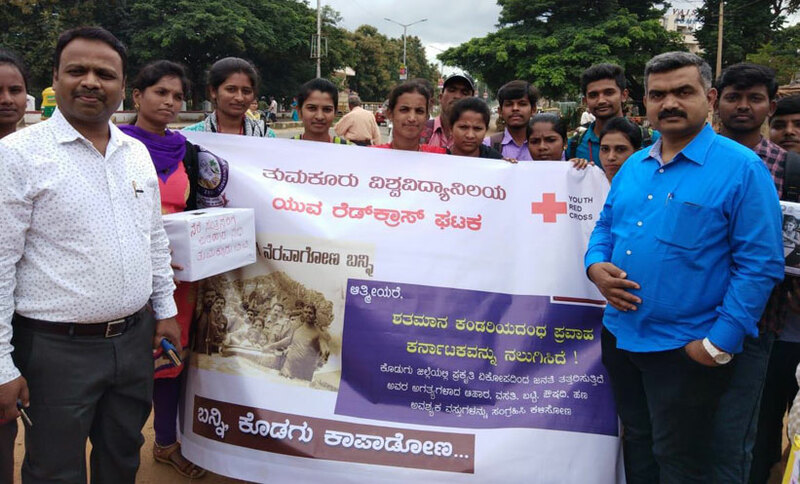 ಪರಮಶಿವಯ್ಯ ರವರು ನೂತನ ಪ್ರಭಾರ ಕುಲಪತಿಗಳಾಗಿ ದಿನಾಂಕ 23-03-2018 ರಂದು ಅಧಿಕಾರ ಸ್ವೀಕರಿಸಿದರು. 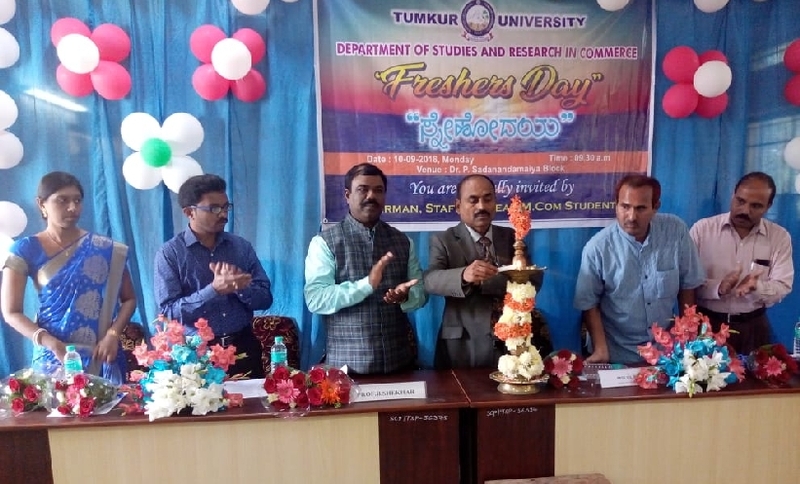 Inaugurated of Sports Day 2018 In Tumakuru University by Honbl'e Vice Chancellor Prof.Jayasheela. 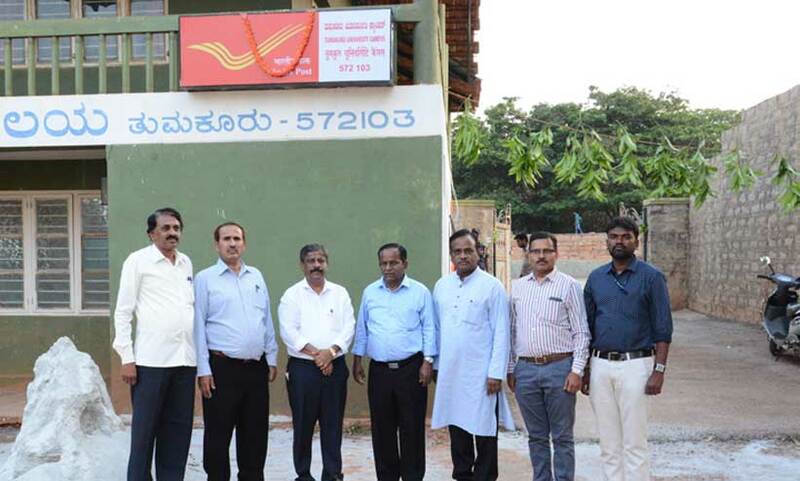 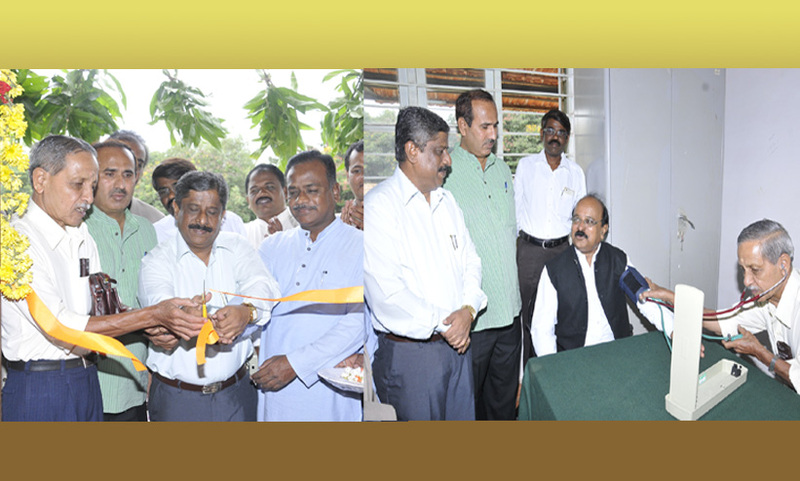 Inaugurated New Post Office In Tumakuru University Campus by Honbl'e Vice Chancellor Prof.Jayasheela. 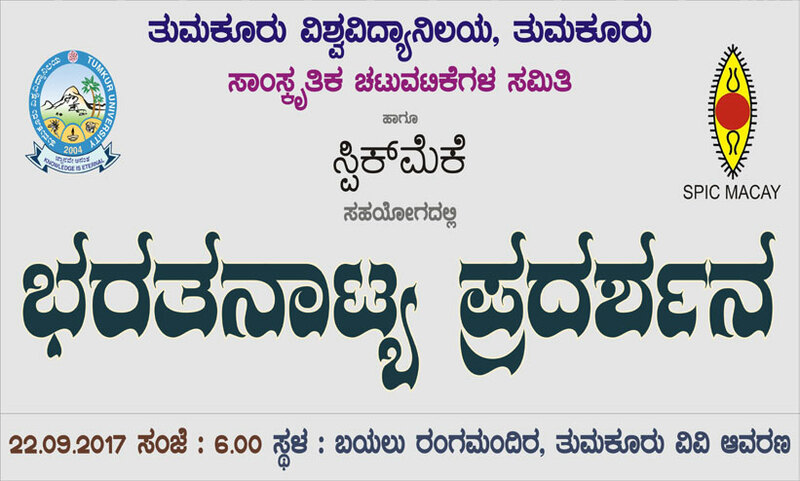 ತುಮಕೂರು ವಿಶ್ವವಿದ್ಯಾಲಯದ ಆಂಗ್ಲ ವಿಭಾಗದ ವತಿಯಿಂದ 25 Nov 2017 ರಂದು ಕಲ್ಚರಲ್ ಸ್ಟಡೀಸ್ ಟುಡೇ ರಾಷ್ಟ್ರೀಯ ವಿಚಾರ ಸಂಕಿರಣವನ್ನು ಆಯೋಜಿಸಲಾಗಿತ್ತು. 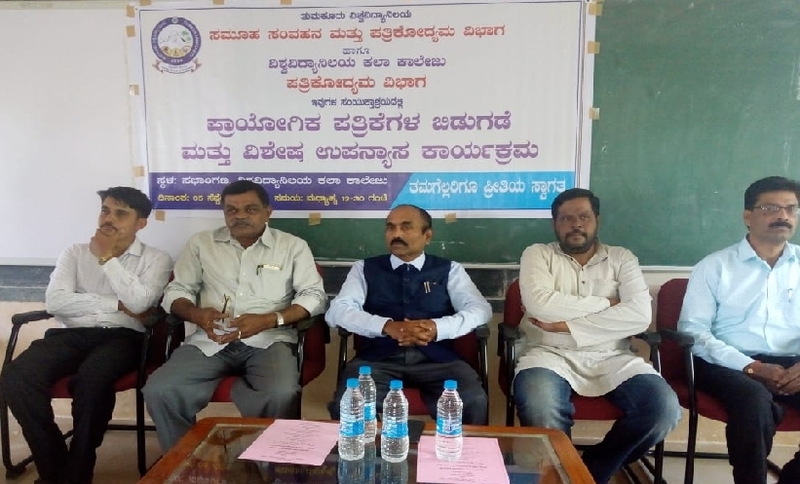 II year M.Sc students and faculty of Department of Chemistry conducted Science Popularization programme in association with UGC under CPE grants on 10-11-2017 at Govt High School, Swadenahalli, Tumakuru. 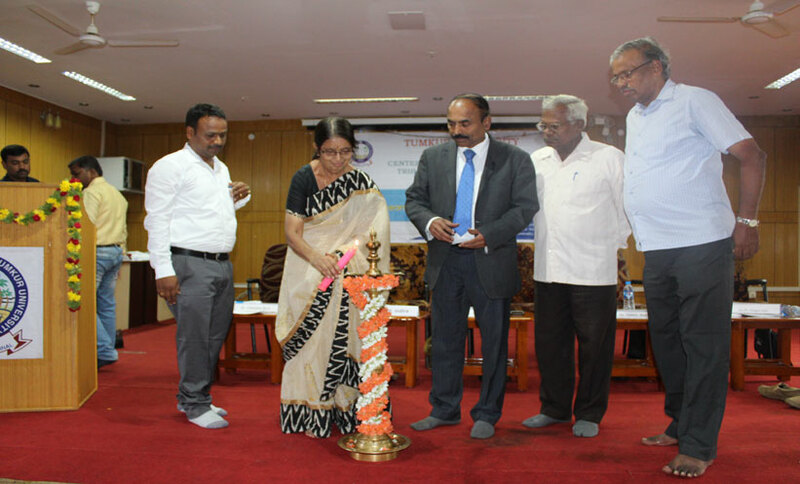 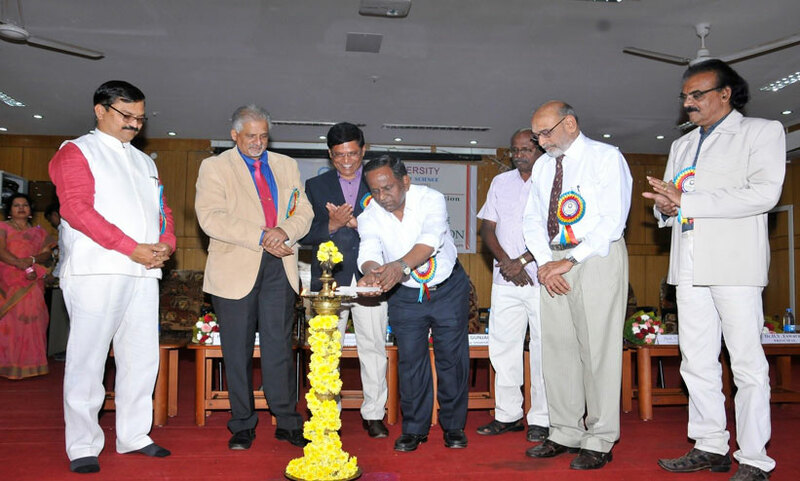 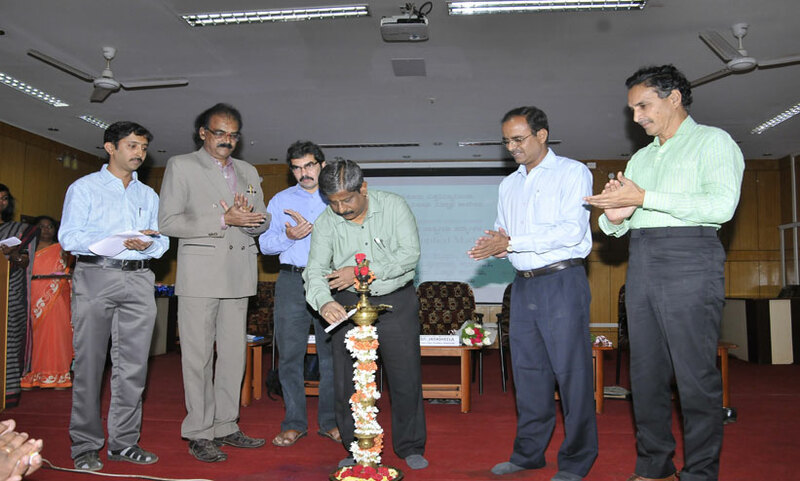 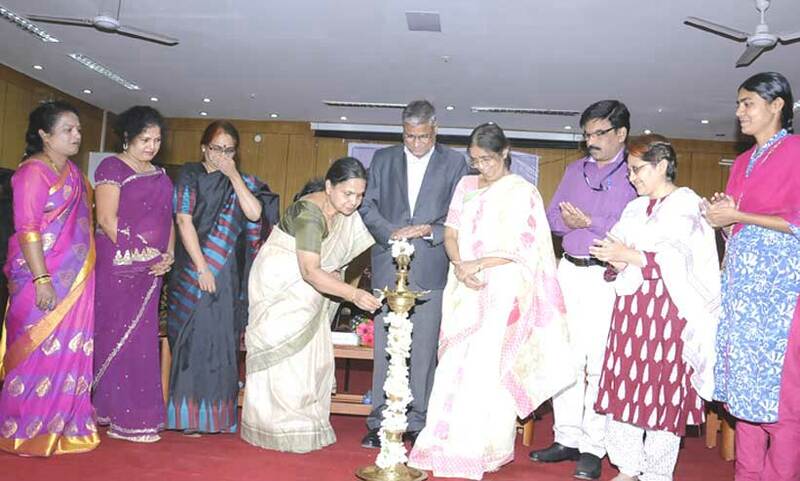 Prof. Jayasheela, Hon'ble Vice-chancellor inaugurated Research Workshop on Methods in Environmental Impact Assessment . 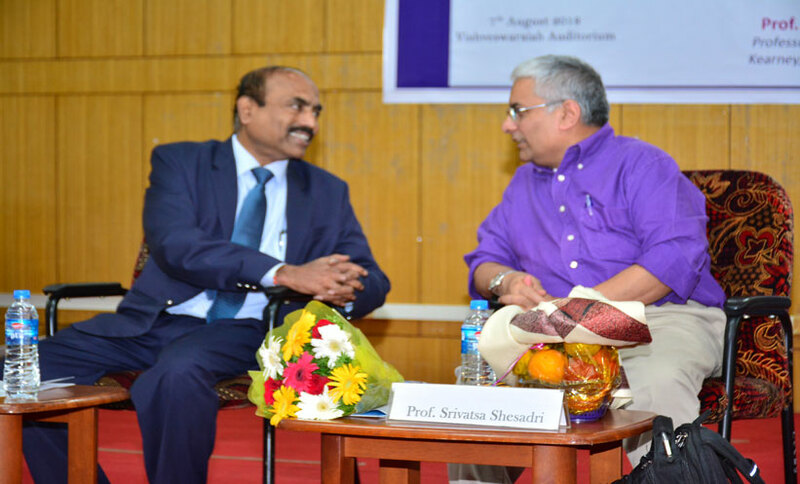 Dr. S.K Susarla, Director, Ministry of Environment, Forest and Climate change and Dr. Shanth A Thimmaiah, MD, Metamorphosis Group of Companies were also present. 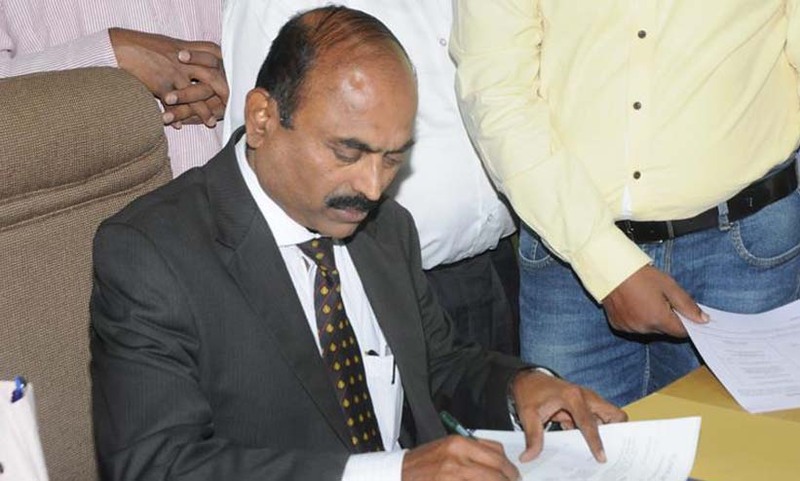 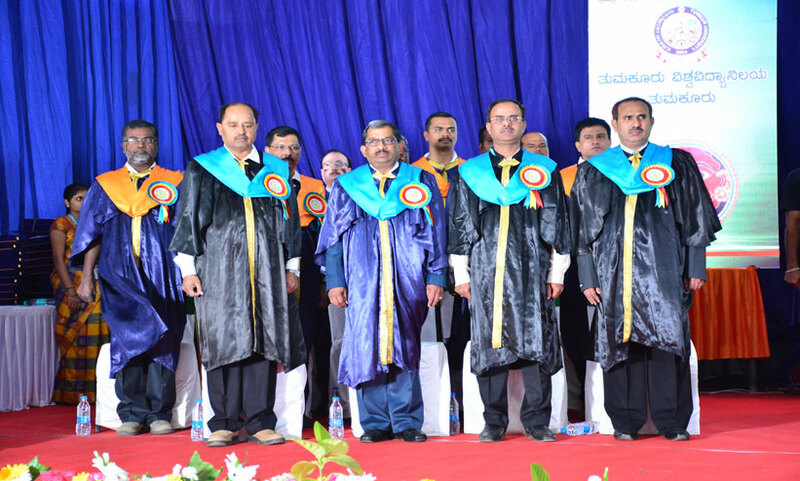 Professor Jayasheela, Vice-Chancellor and Professor B.S. 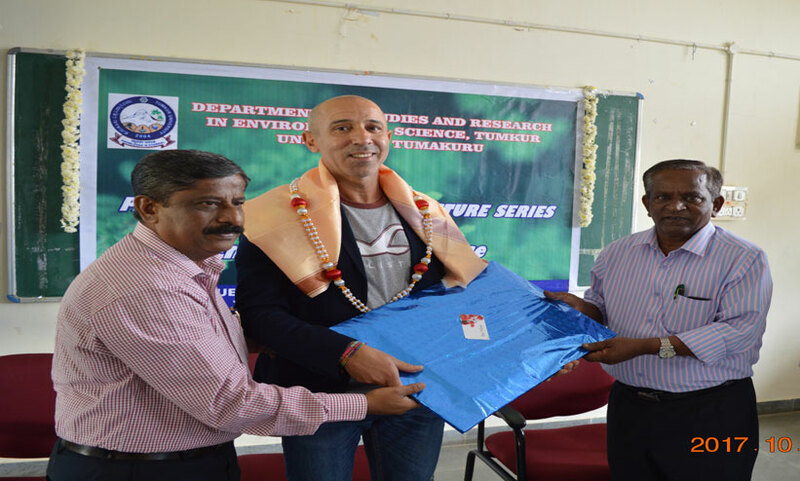 Gunjal, Registrar felicitating Professor Azeddine Driouich, University of Rouen, France who is visiting the University as part of Indo-french research collaboration. 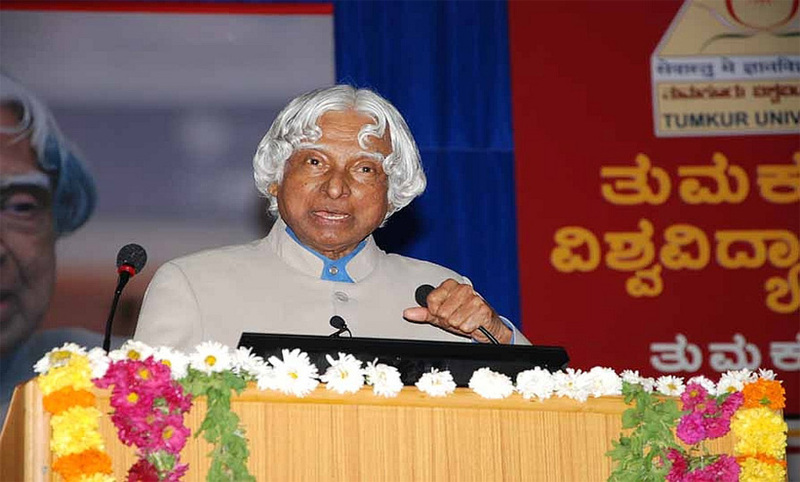 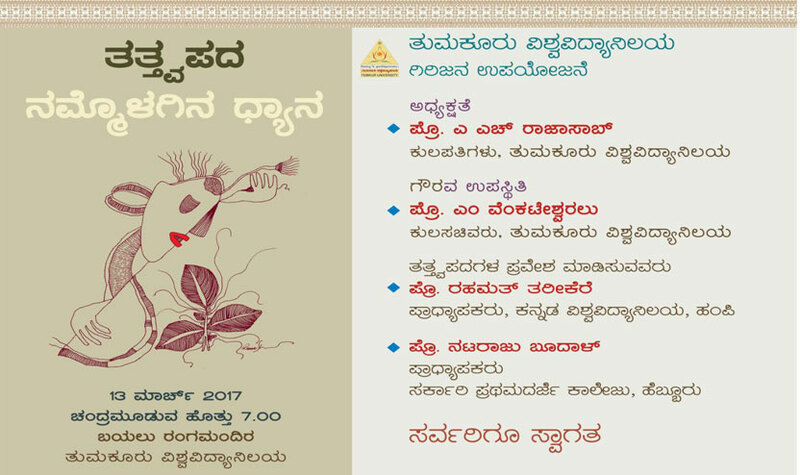 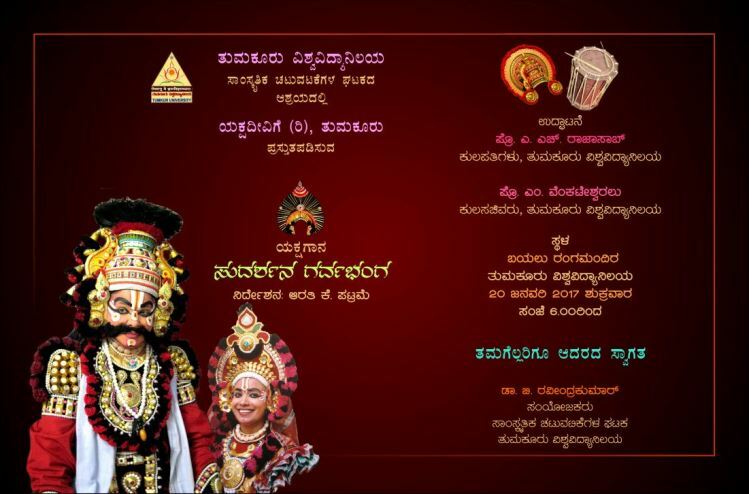 Inauguration of programme Remembering Renowned Kannada Novelist Smt. 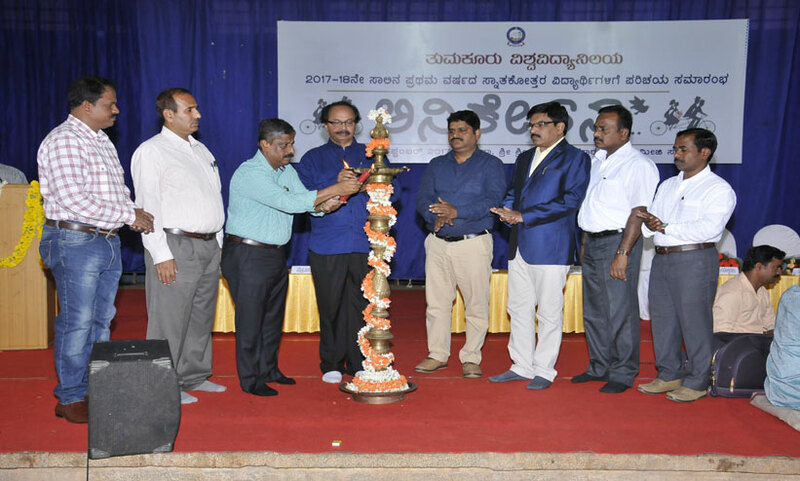 M K Indira by Renowned critic Prof. Vijayashankar inaugurating - held on 12-10-2017. 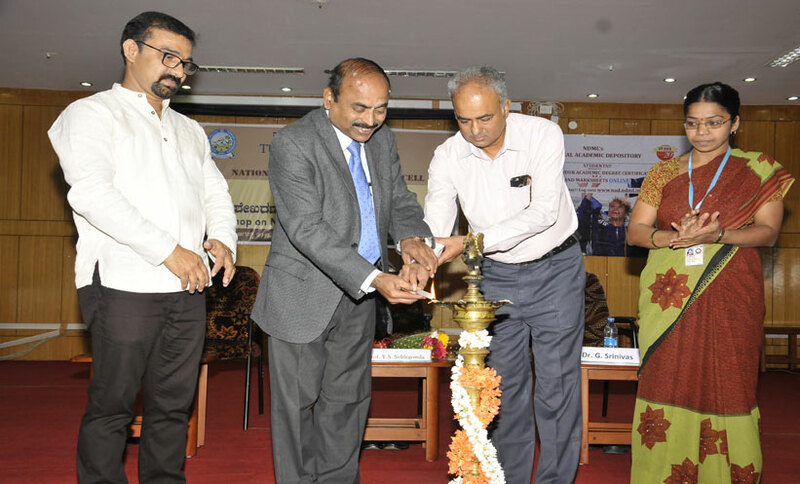 KPSC Pre Exam Coaching held on 16-09-2017, inaugurated by Hon'ble Vice Chancellor, Prof. Jayasheela. 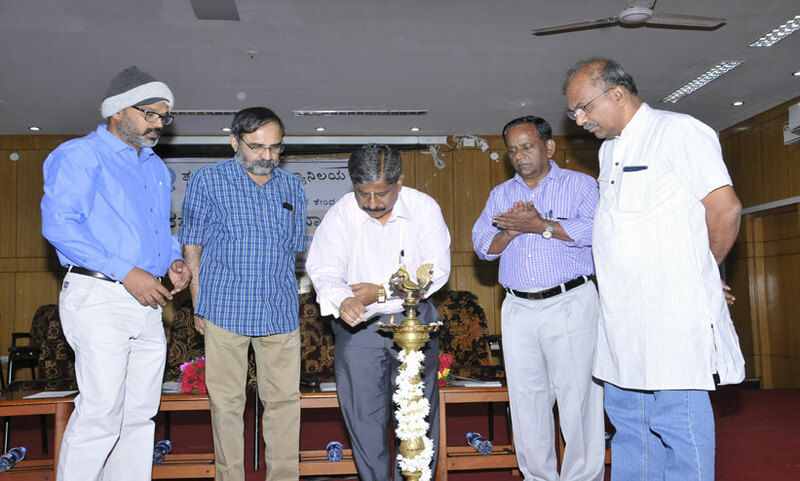 ANIKETAN - Induction Programme for First Year Post Graduate Studetns inauguarated by Dr. Nagathihalli Chandrashekar, renowned Writer and Filmmaker, held on 4 Sep 2017. 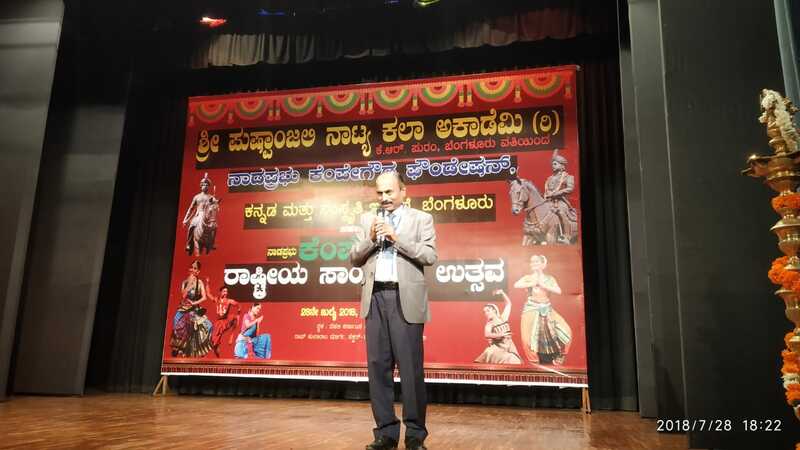 Sri Laxman Hugar of ETV Kannada TV Channel was Special Invitee. 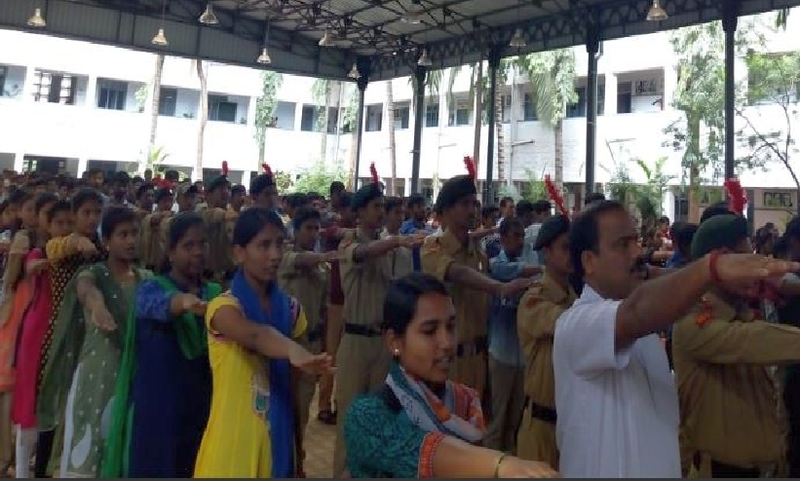 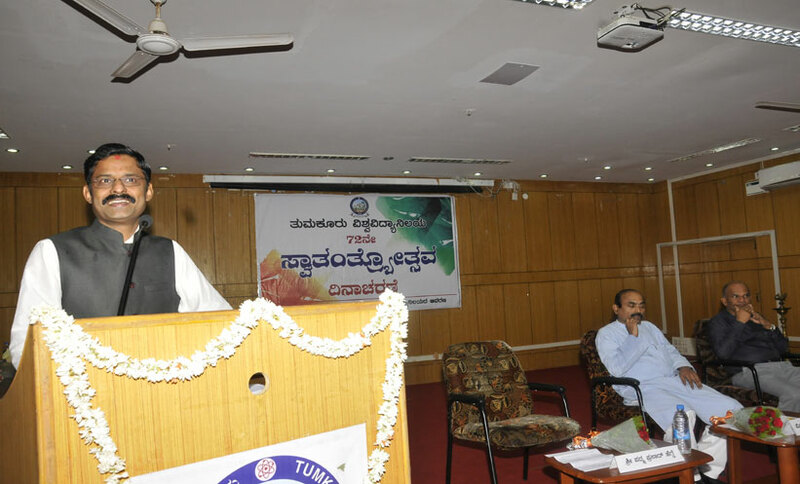 Pledge on the occasion of Sadbhavana Divas - National Integration on Communal Harmony held on 19-08-2017 at Tumkur University. 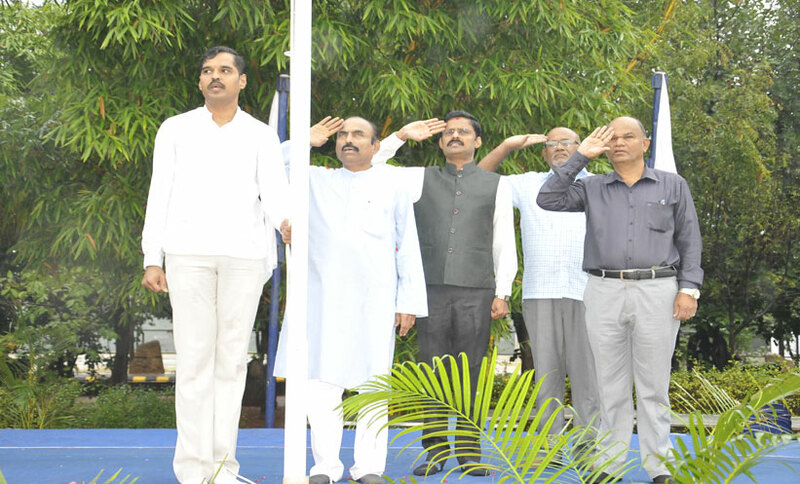 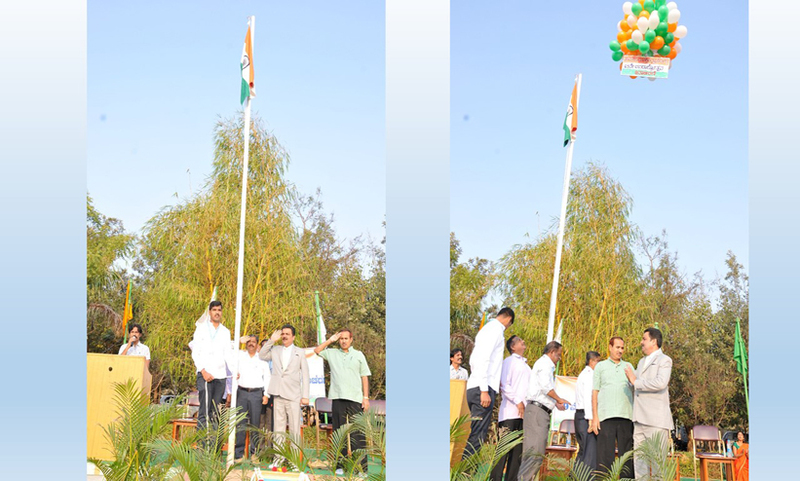 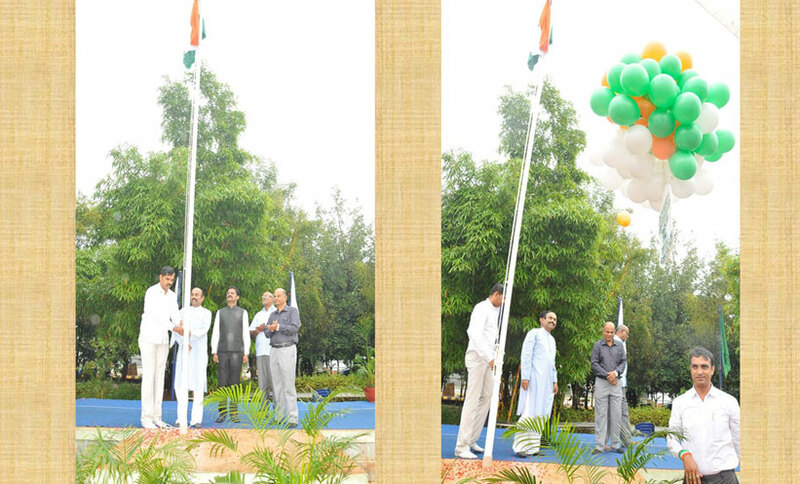 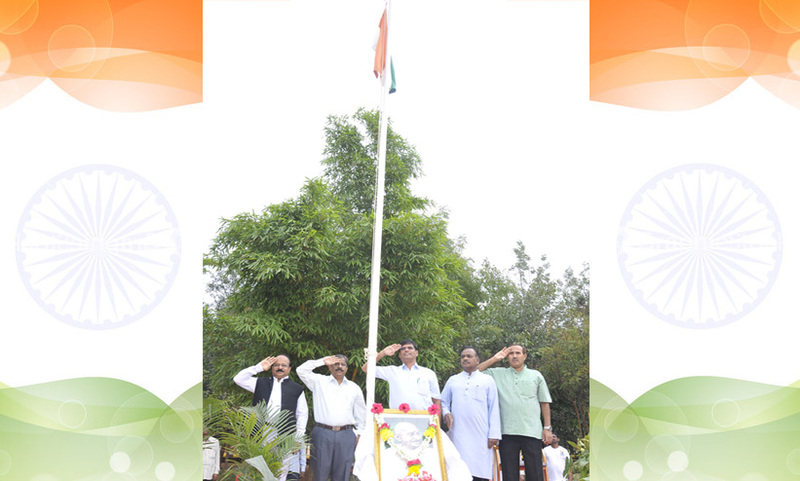 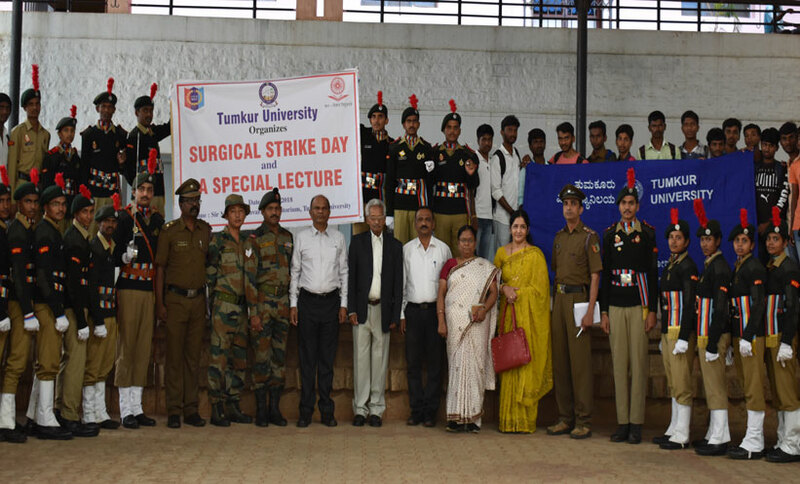 Independence Day - Aug 15, 2017 - Celebrated at Tumkur University - Flag hosting by Chief Guest - Dr. Srikanta Kudige, Retd. 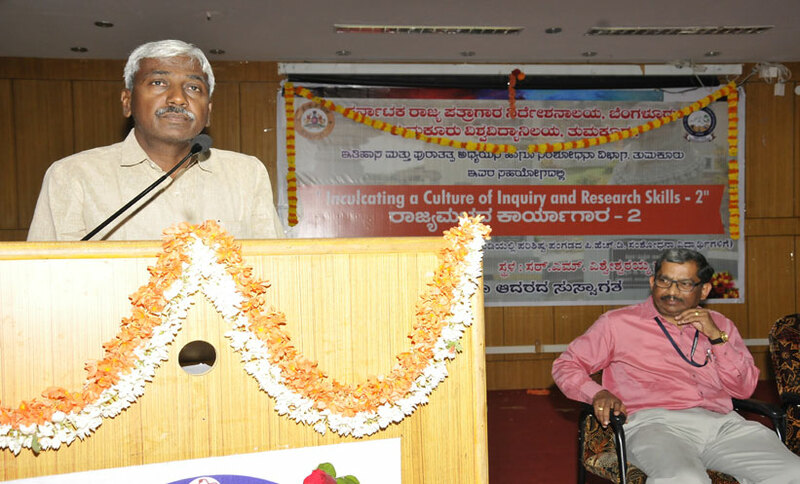 Professor, Kuvempu University. 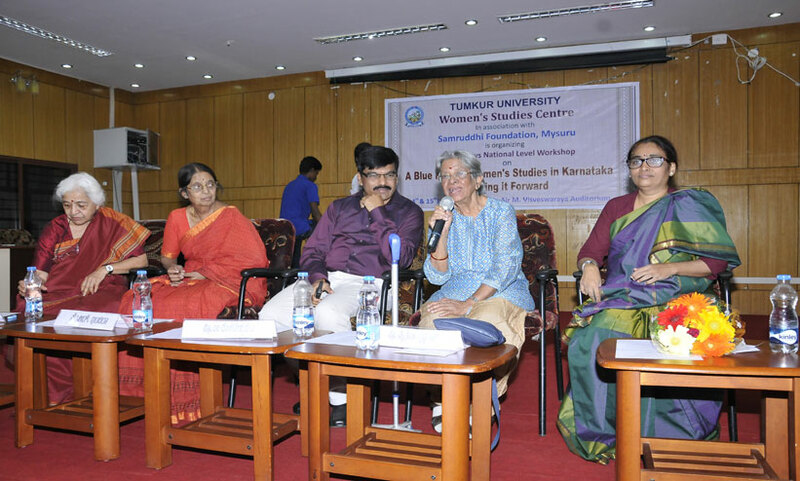 Two Day National Workshop on - A Blueprint on Women's Studies in Karnataka - organized by Women's Study Center, Tumkur University held on 14-15, July 2017. 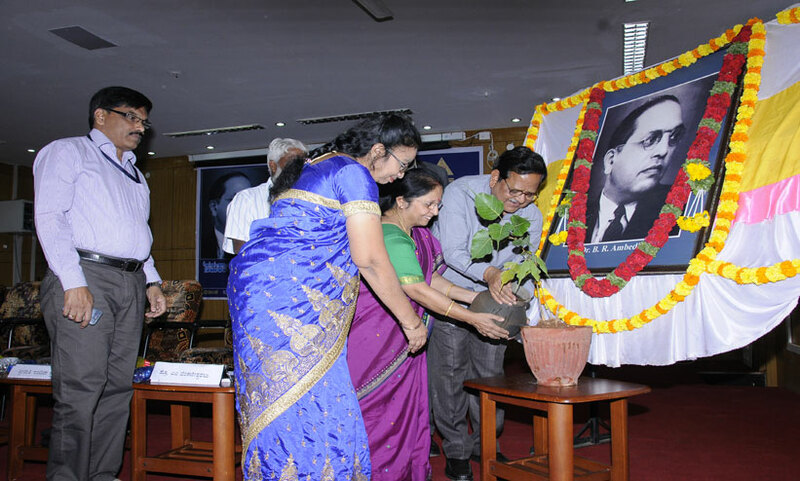 Prof Maitreyi Krishna Raj, Prof Rameshwari Varma, Prof R Indira, were the Guests and Resource Persons of the Event. 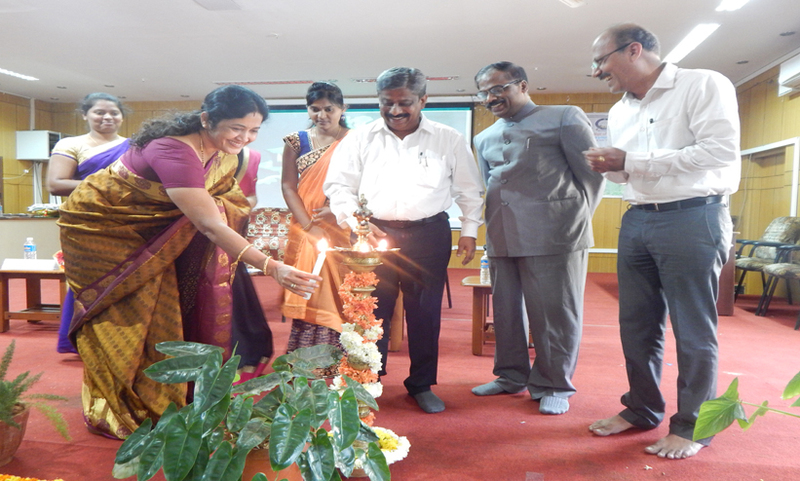 Prof. M Venkateshwarlu, Registrar and Smt Girija Rao, Co-ordinator were present. 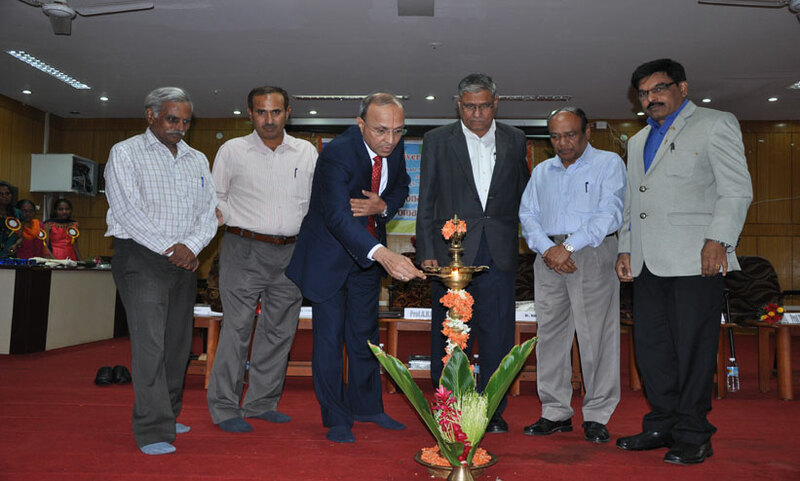 Inauguration of Two Days National Conference on Medicinal Plants by Dr. Rangeshparamesh, Head, R & D, Himalaya Drug Company, Bangalore, held on 12 June, 2017. 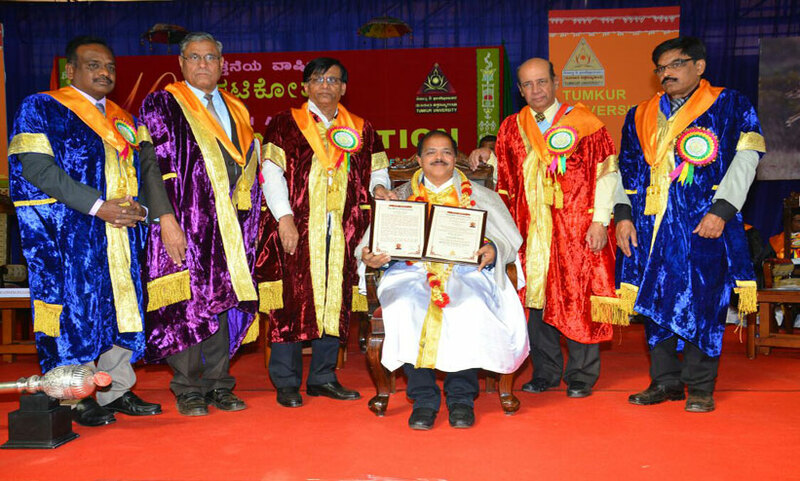 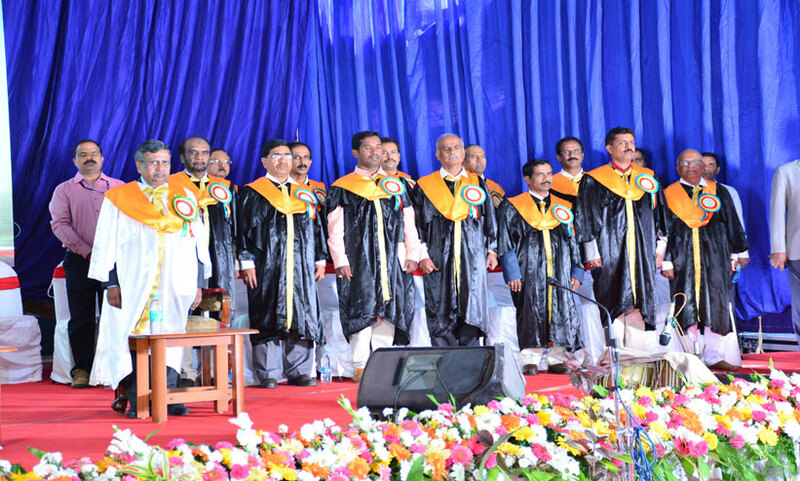 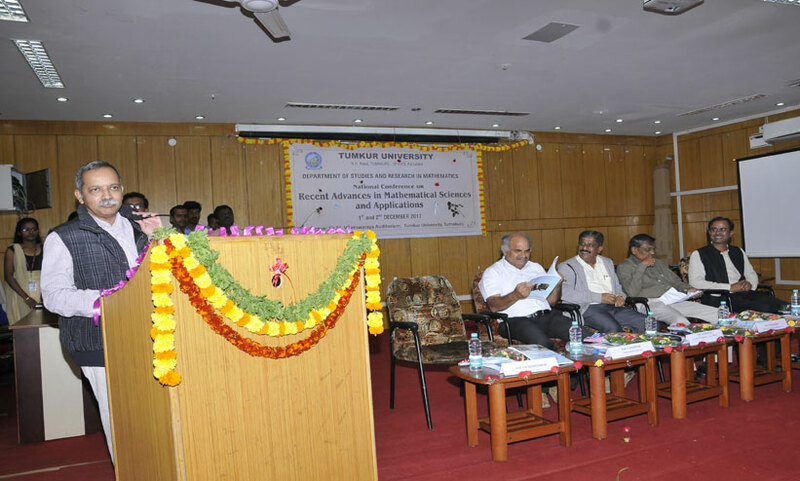 Dr. R Raghavendra Rao, INSA, Hon Professor, Prof. Rajasab, Vice Chancellor, Dr. M. Venkateshwarlu, Registrar; and Dr. Y.N. 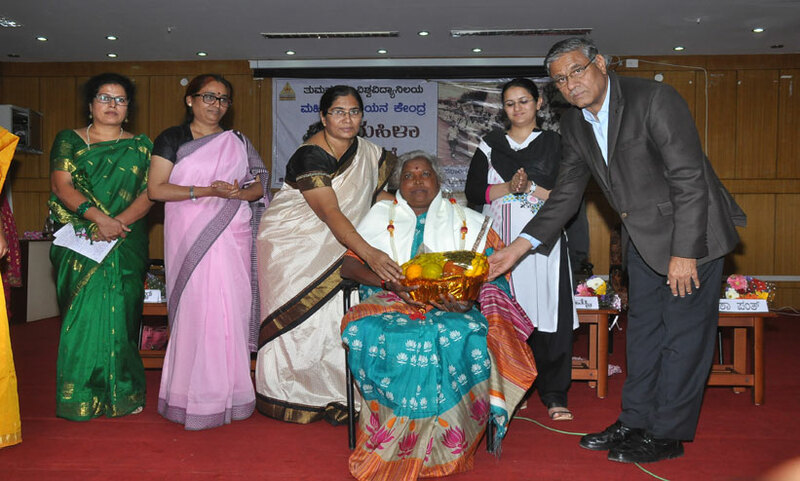 Seetharam, PG Dept. 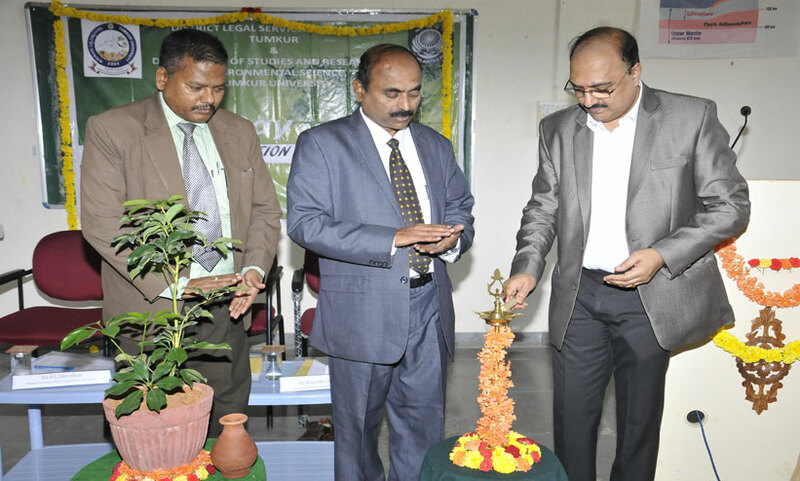 of Botany are seen. 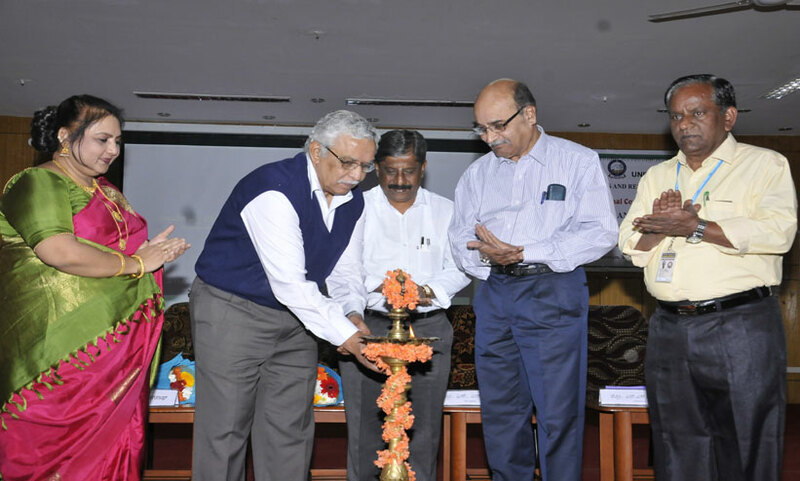 Inauguration of National Conference on "25 years of Economic Reforms in India: Performance and Prospects" by Prof. Vinish K Kathuri, IIT Bombay and Prof. R S Deshpande, Director, Center for Development Studies, PES University, Bangalore held on 22 April, 2017. 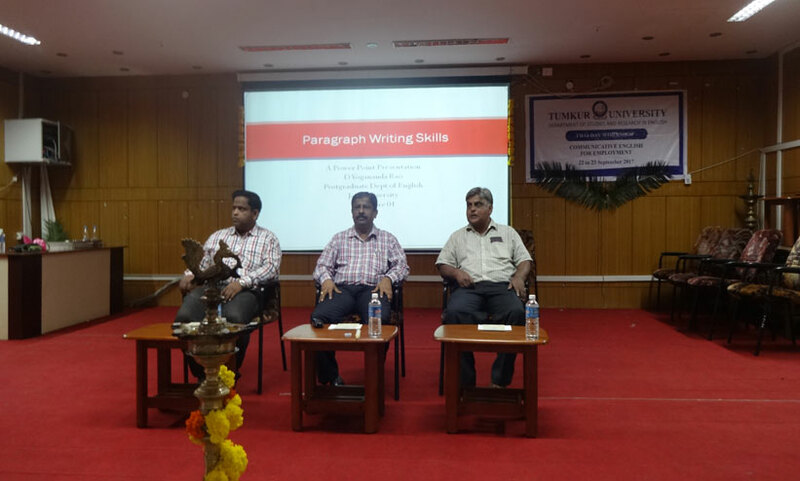 Prof. Paramashivamurthy,Registrar (Evaluation), Dr. Neelakanta NT, Dr. Vilas Kadrolkar, Dr. Ravindra Kumar B and Sri Muniraju M were present. 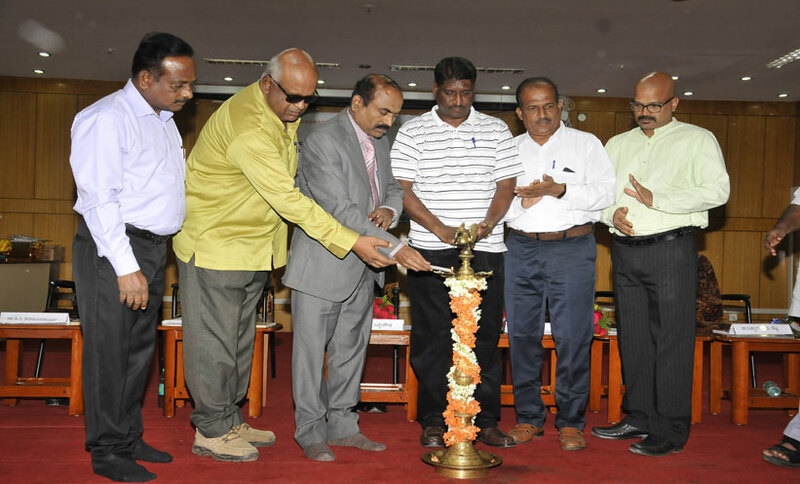 Inauguration of Prize Distribution Ceremony of PG Sports Meet by Sri Prakash Jayaramaiah, renowned blind cricketer on 21 April 2017. 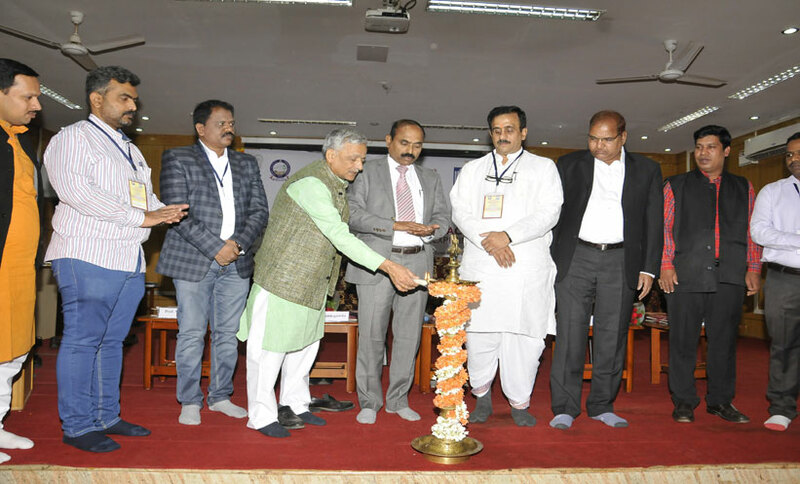 Inauguration of Two Day National Seminar on "Rethinking Rural Development in India - A Gandhian Perspective" by Hon'ble Minister for Rural Development & Panchayat Raj, Sri H K Patil. 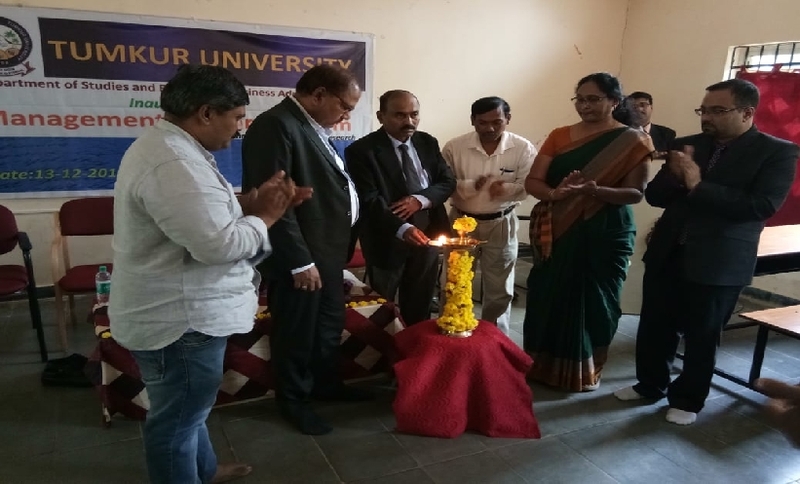 Prof. R S Deshpande, Director, PES University along with Prof. A H Rajasab, Vice Chancellor and Prof. M Venkateshwarlu, Registrar were present. 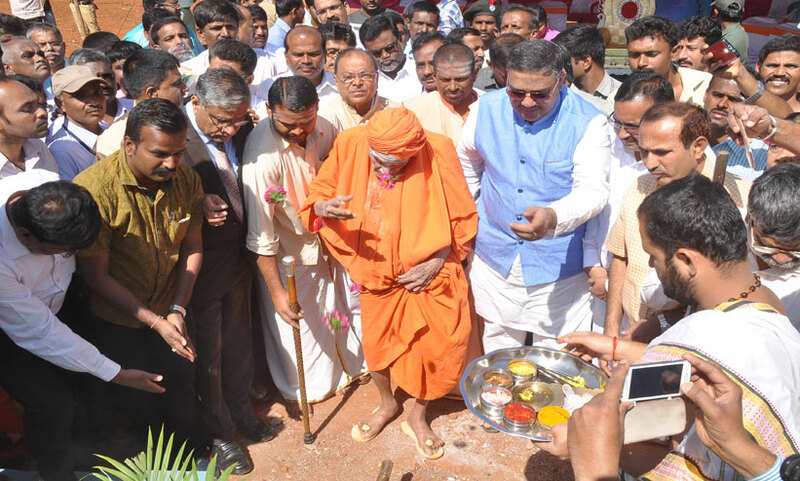 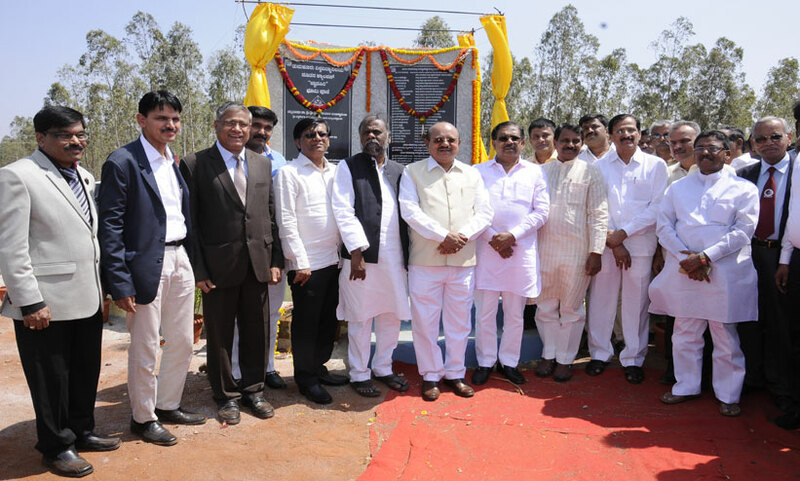 Dignitaries at the Bhoomi Puja and Stoning Ceremony of New Hostels and Main Entrances of Tumkur University New Campus - Jnana Siri - near Bidrakatte held on 18 Feb 2017. 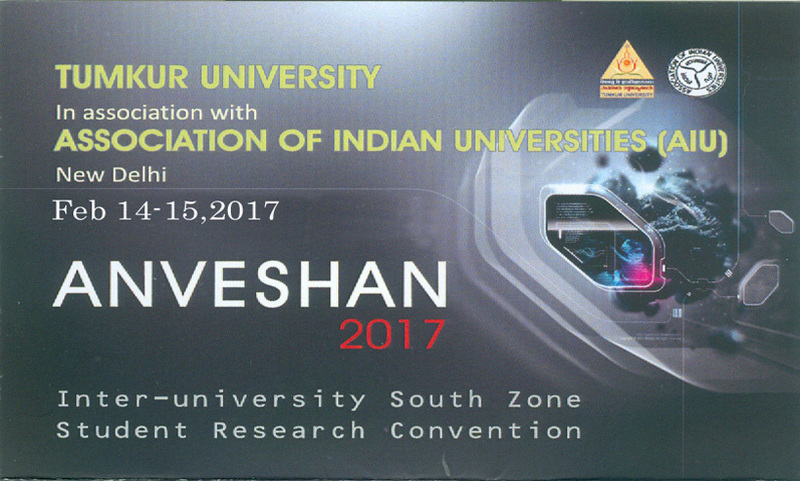 Valedictory of ANVESHAN 2017 held on 15 Feb 2017 - Dr. S A Kori, Executive Director, Karnataka State Higher Education Council, the Chief Guest of the Event and Dr. Amarendra Pani, Deputy Director, (Research) AIU, New Delhi distributed the prizes to the winners of the Convention, Dr. Usha Rai Negi, Asst. 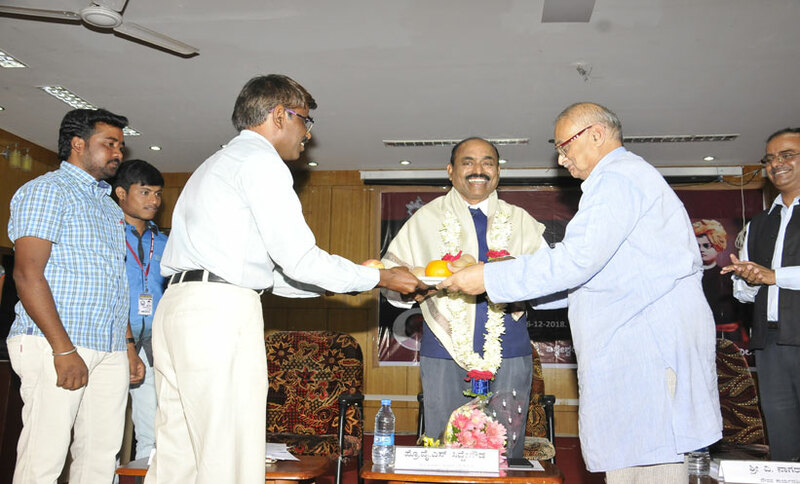 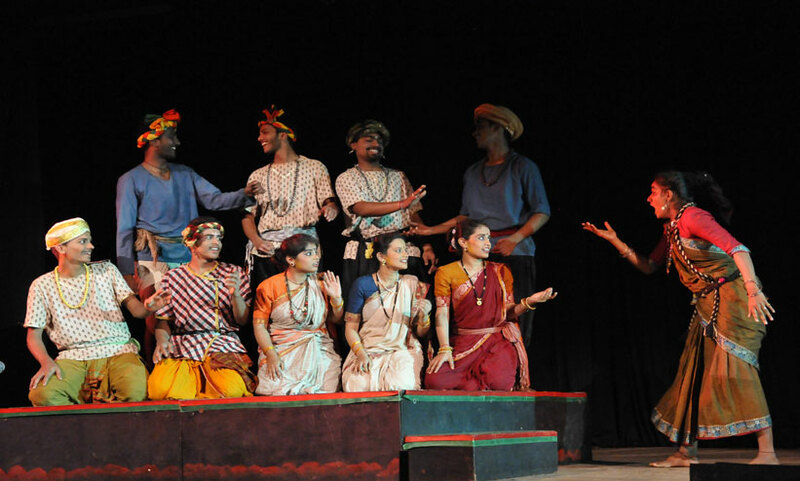 Director was the Guest of Honour. 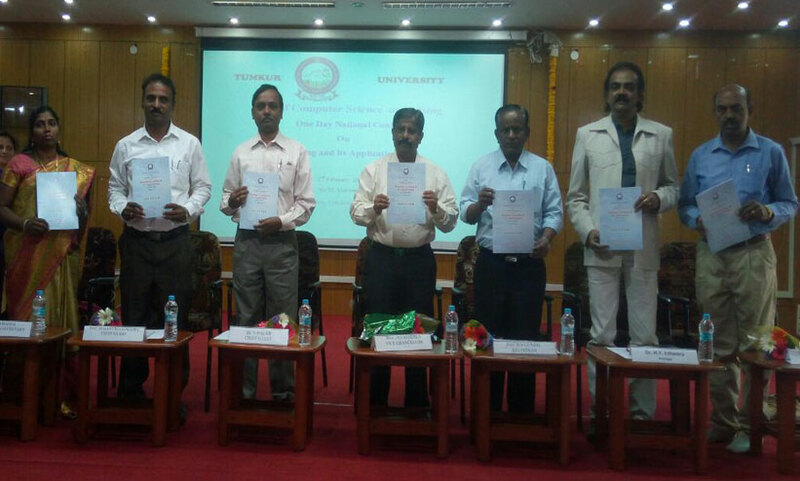 One Day Workshop to College Principals and AISHE Nodal Officers of Colleges was held on 7 Feb 2017. 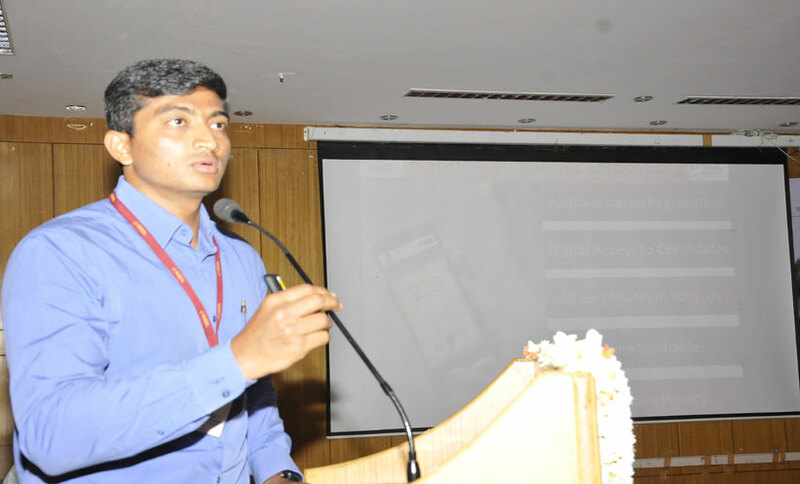 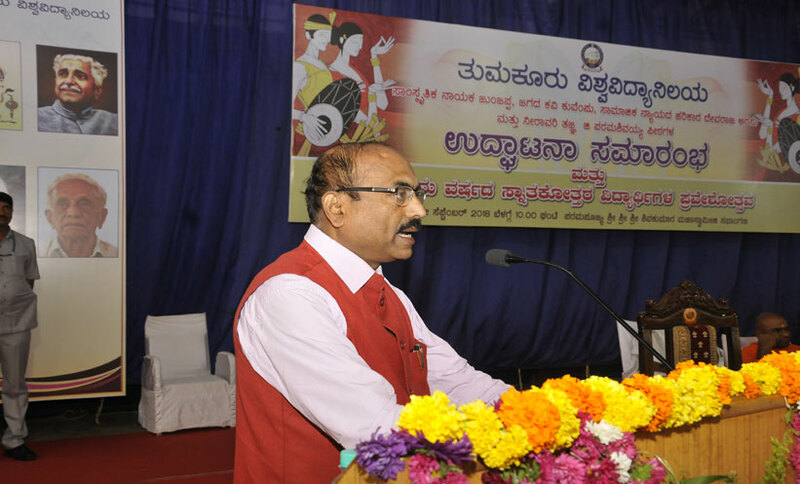 Dr Bhagyawan Mudigoudar, Special Officer, E-Governance, GoK,was the Resource Person. 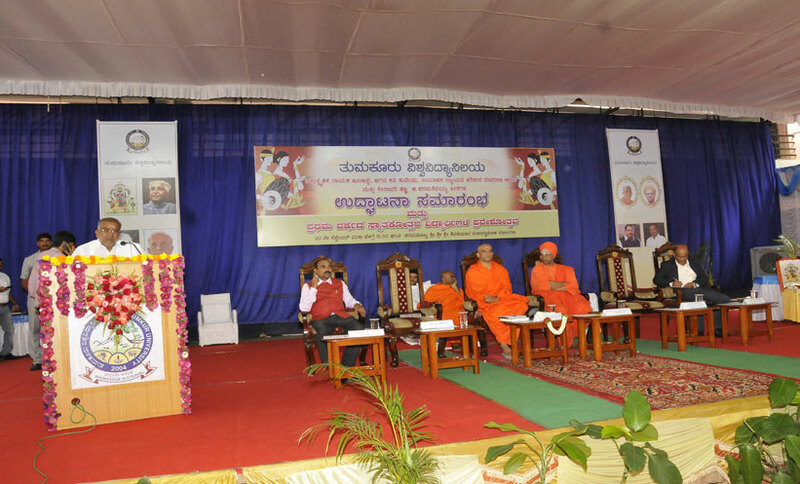 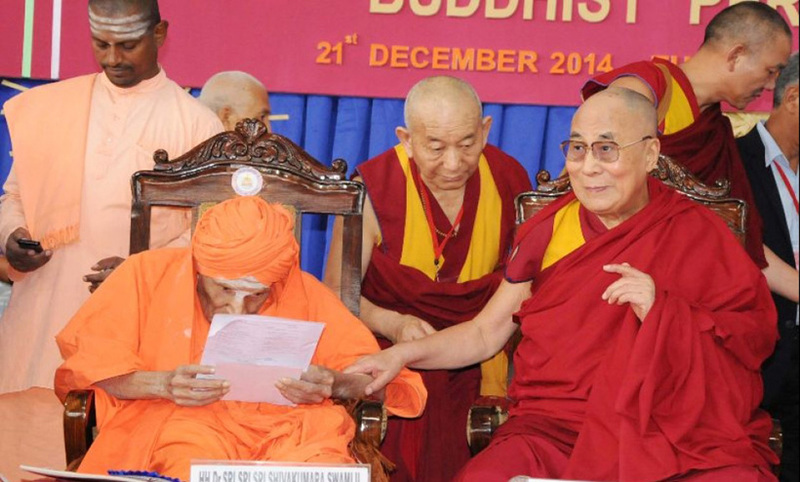 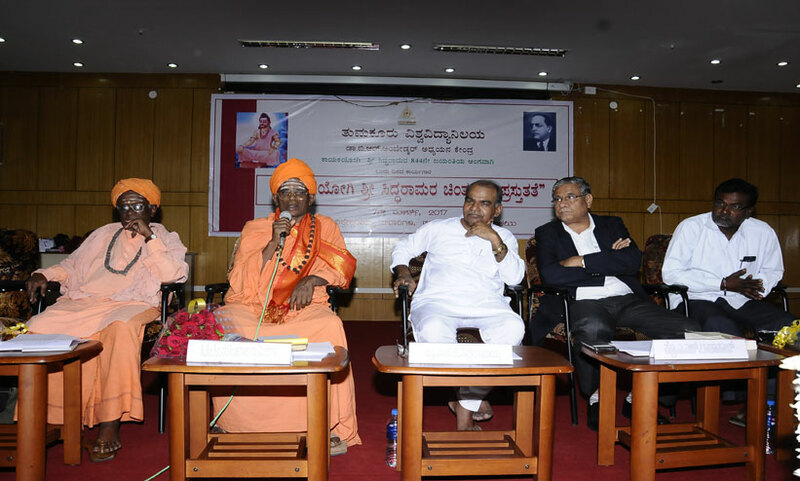 Inauguration of National Youth Day celebration by Swami Deerananda Maharaj of Ramakrishna Mutt, Tumkur on the occasion of Swami Vivekananda Jayanthi, held on 12 Jan 2017. 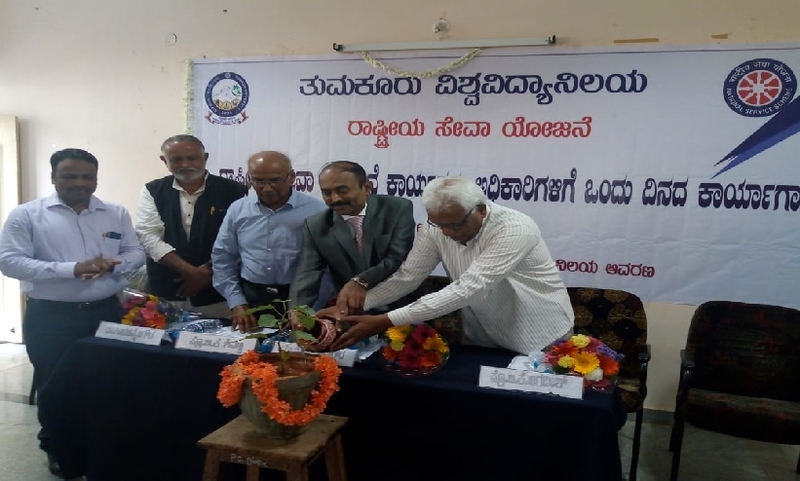 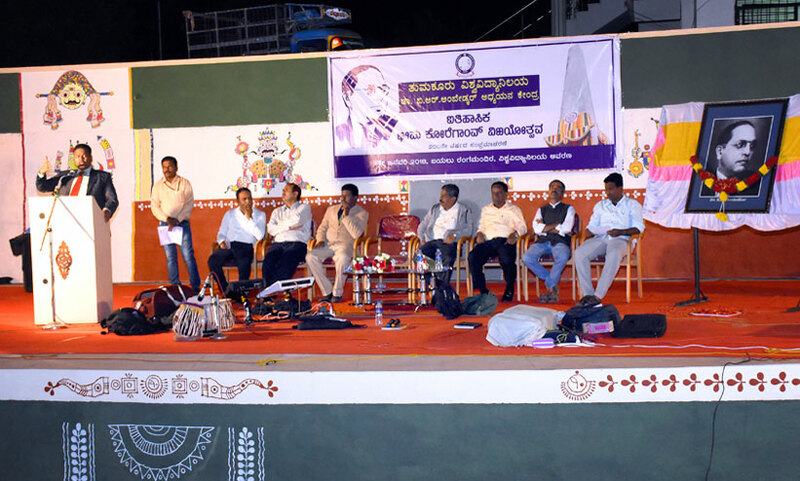 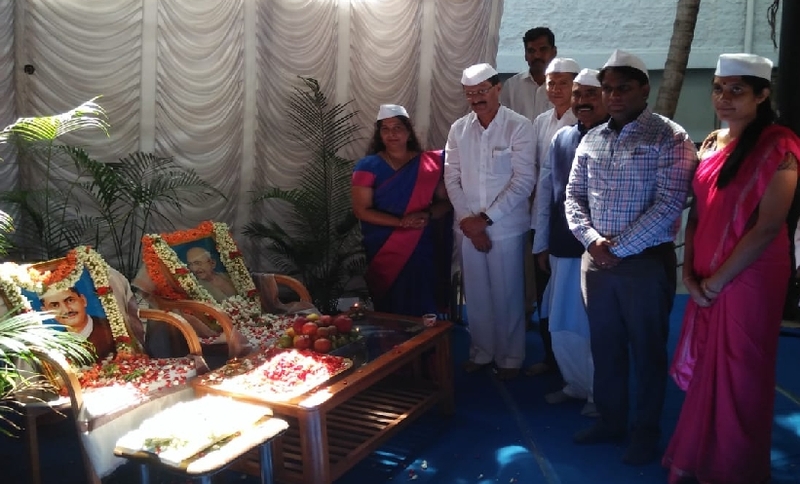 Inauguration of VISWAMANAVA DINA - on the occasion of celebration of 112th Birth Anniversary of Great Poet and Laurate Kuvempu; presided by Prof. A Murigyappa, Former Vice Chancellor, Kannada University, Hampi. 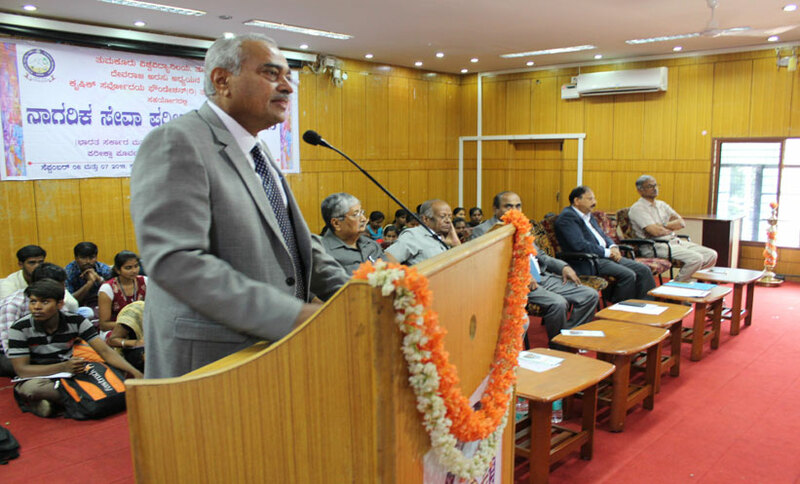 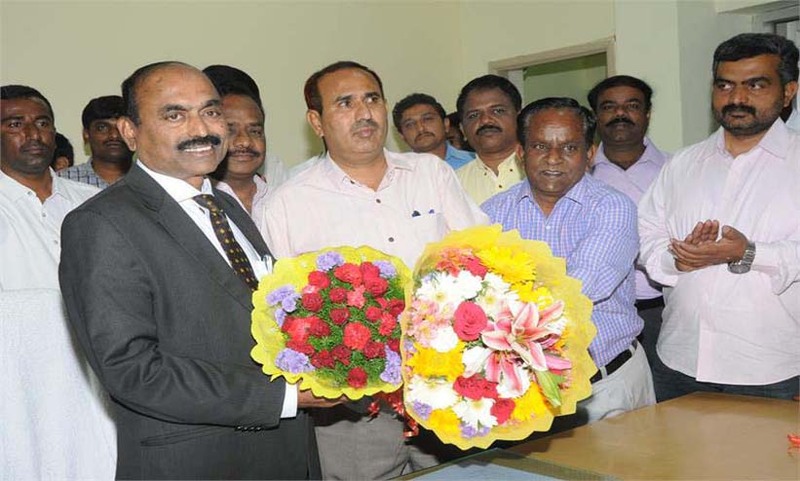 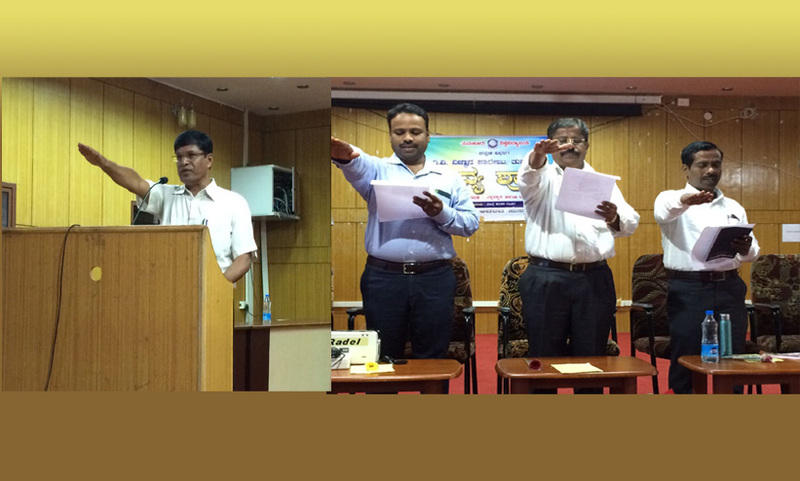 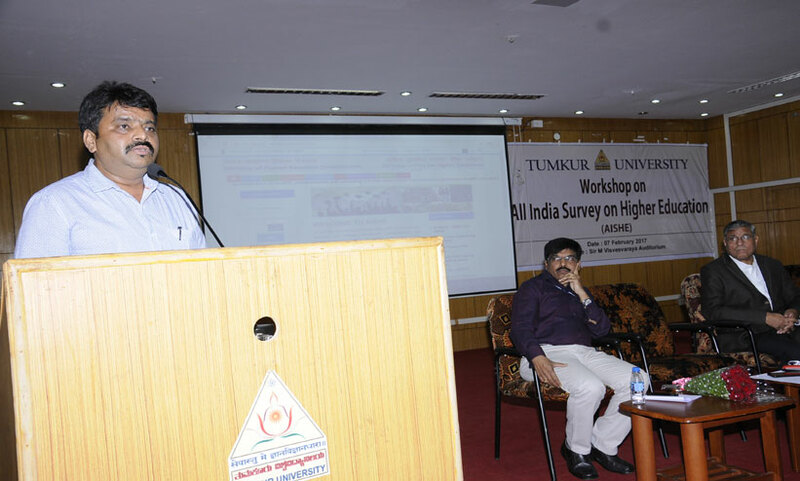 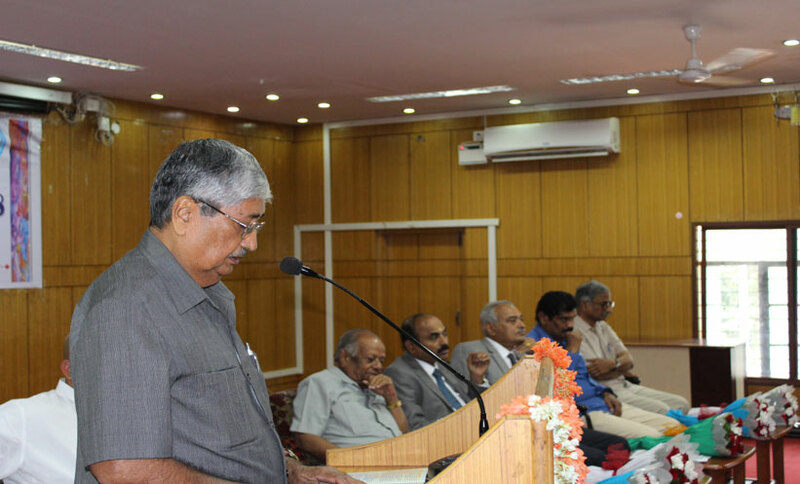 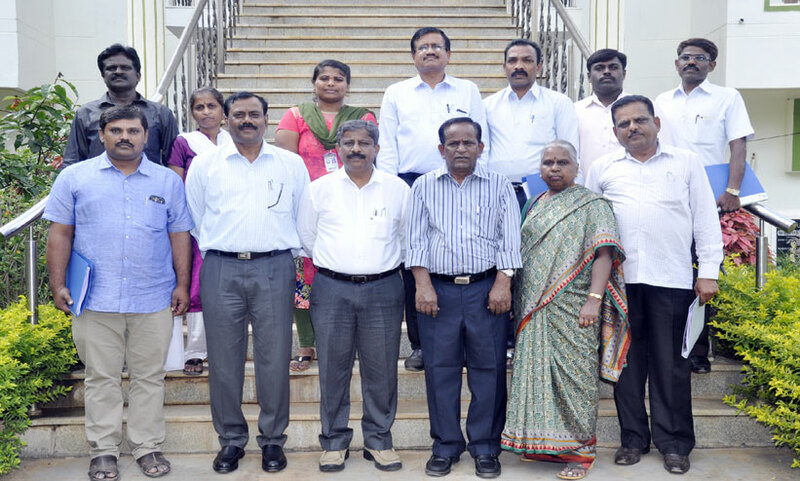 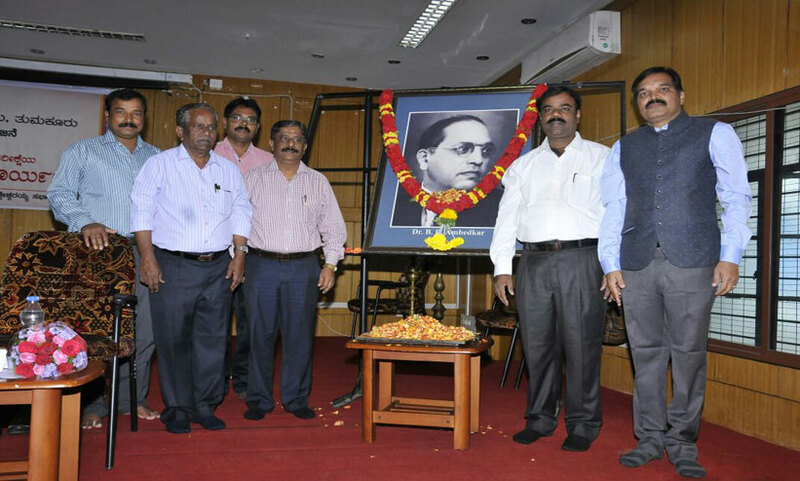 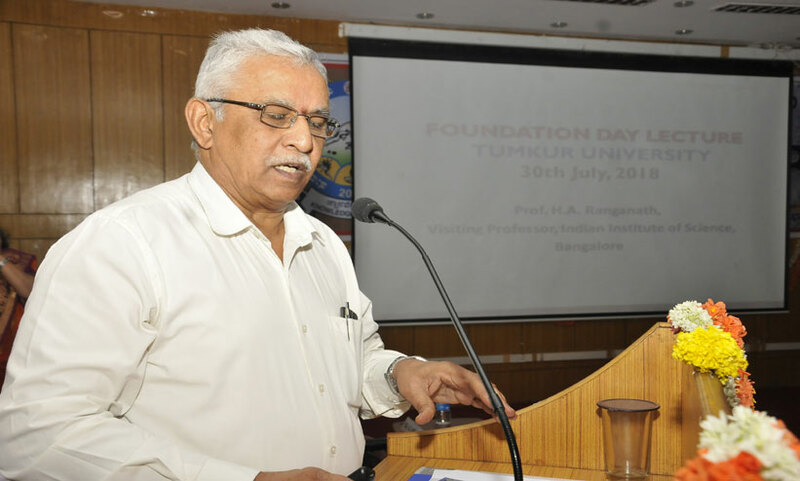 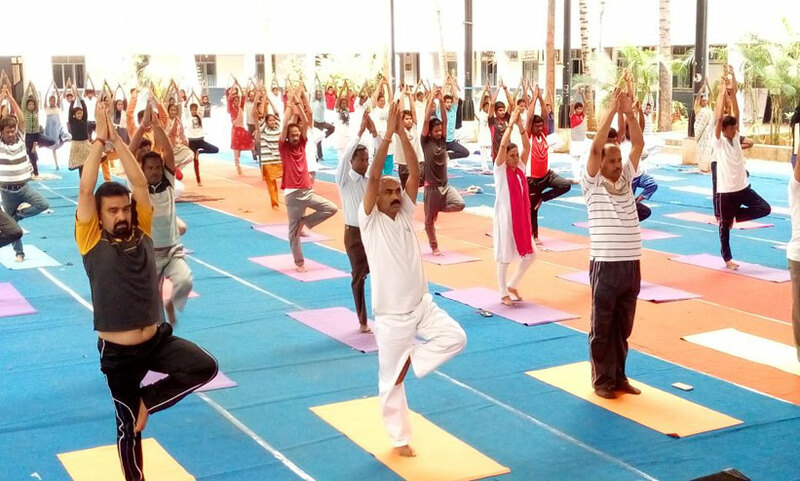 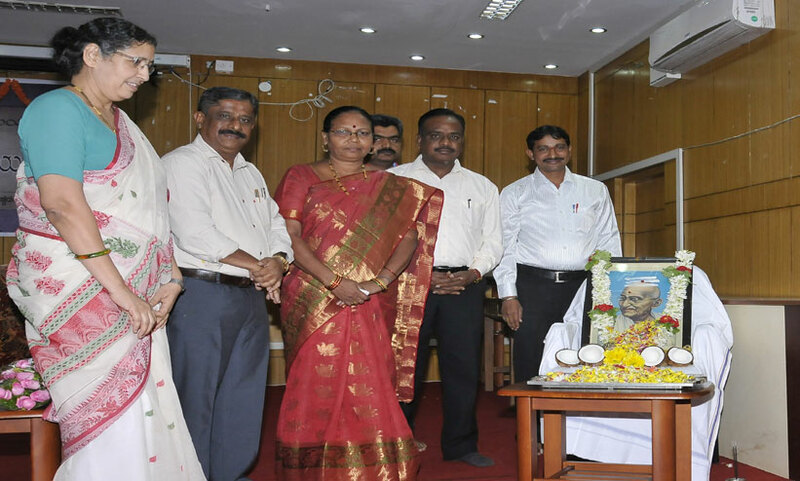 Prof. M Venkateswarlu, Registrar, Prof. D V Paramashivamurthy, Registrar (Eval) were present. 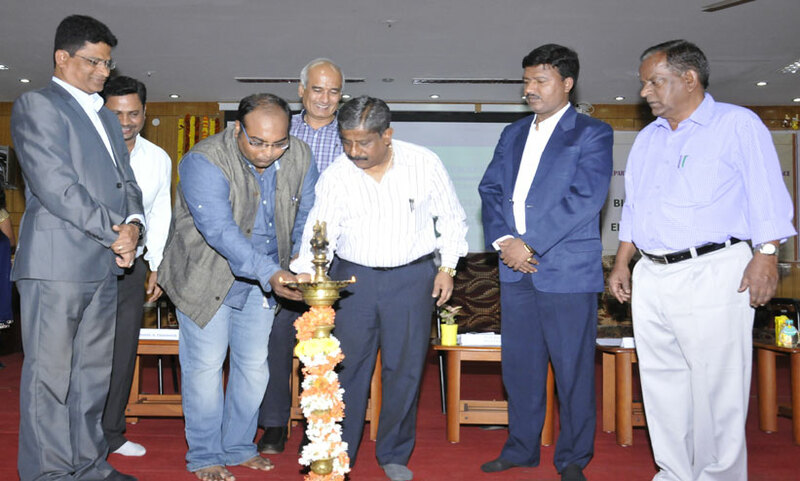 Inauguration of Vittiya Saksharata Abhiyaan (VISAKA) - Initiative of MHRD - Cashless Economy involvement of Students - held on 14 Dec 2016 at Auditorium Hall, Dr. Sadananda Mayya Block. 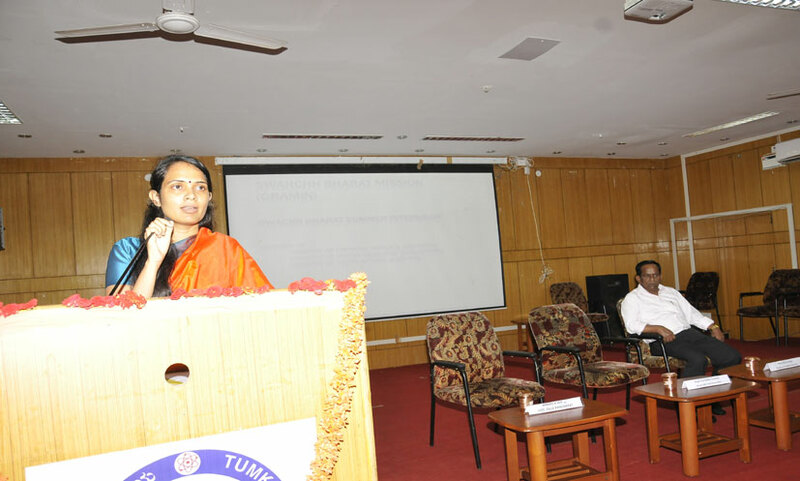 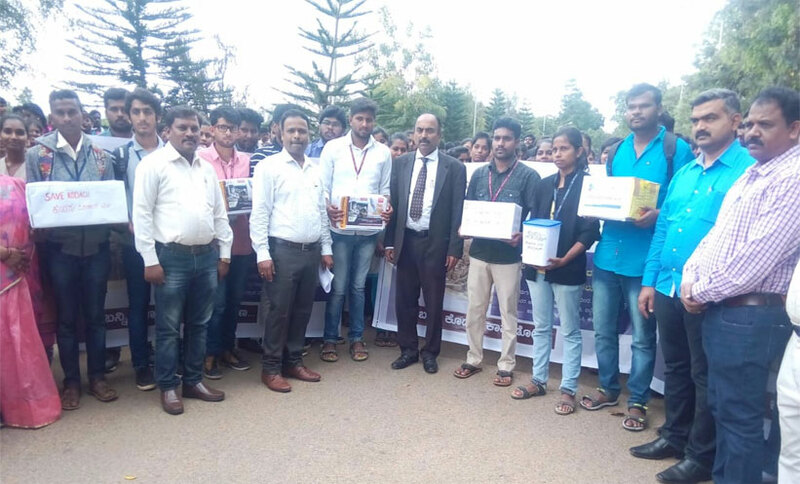 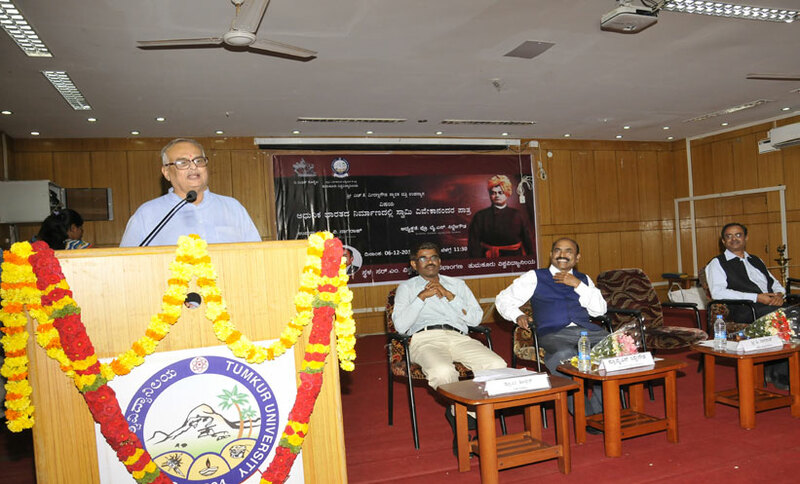 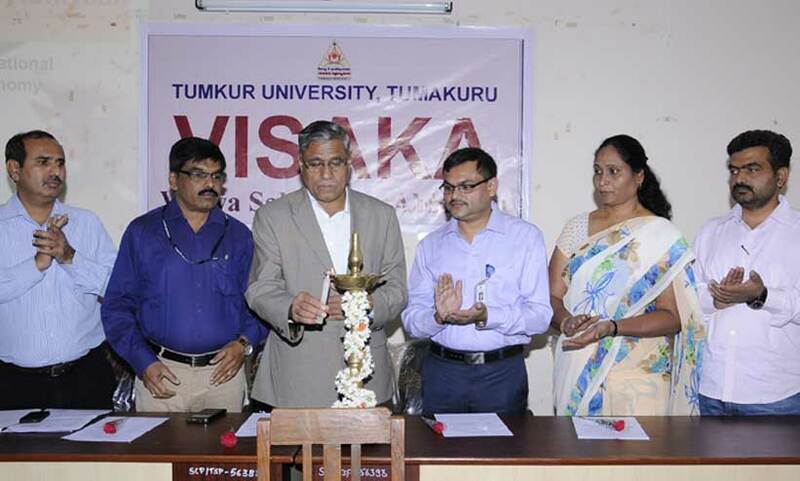 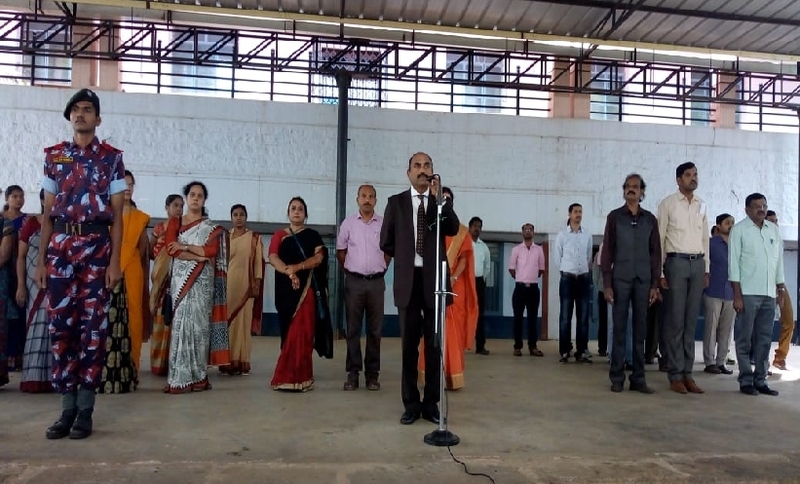 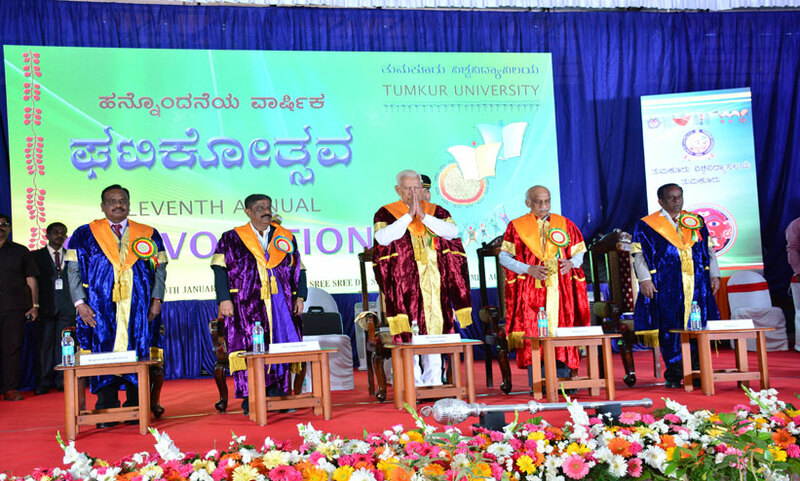 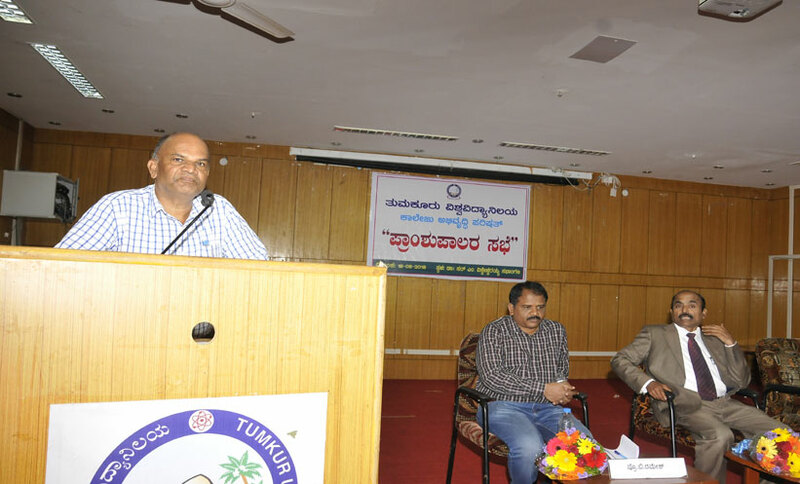 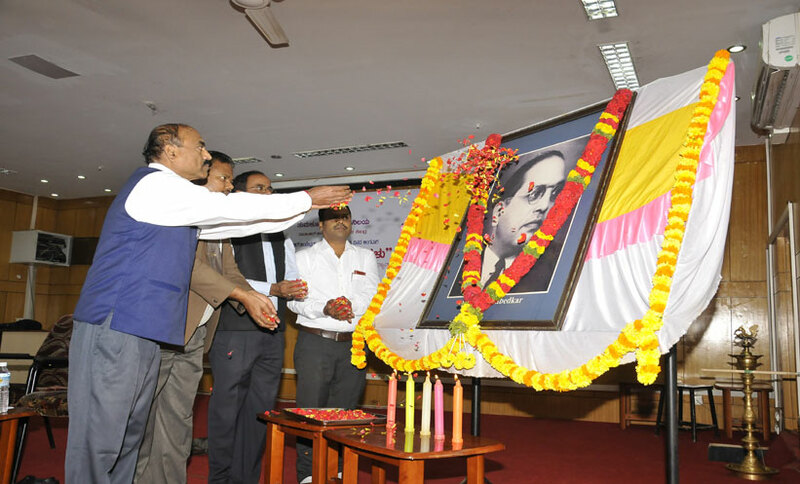 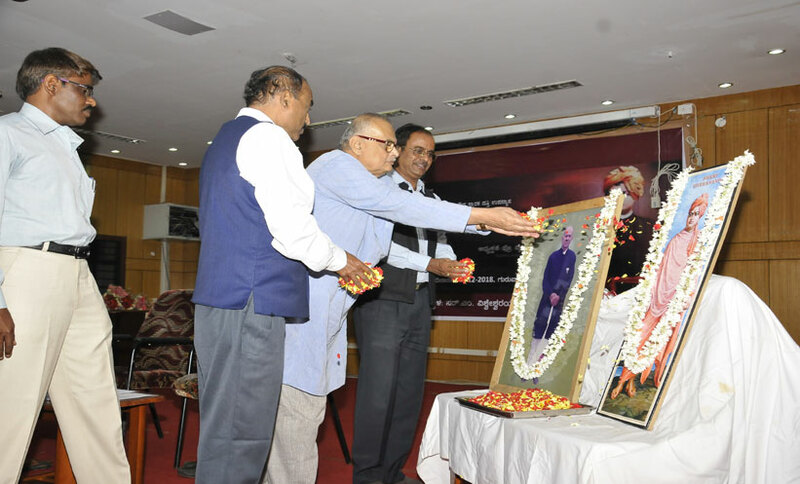 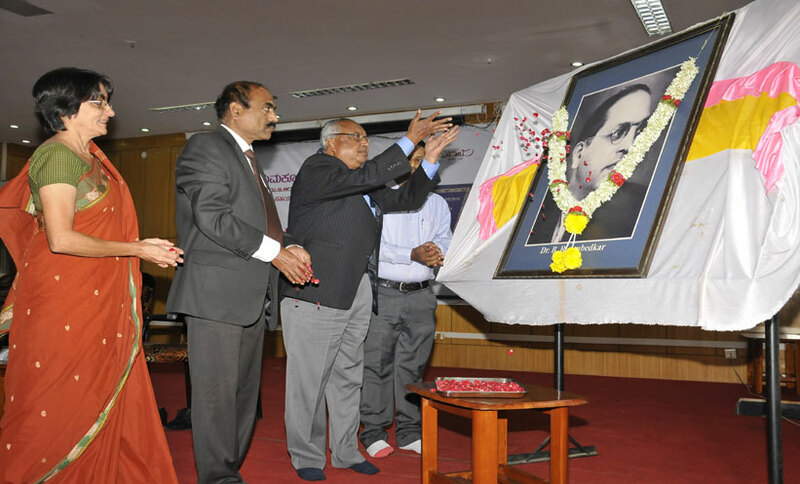 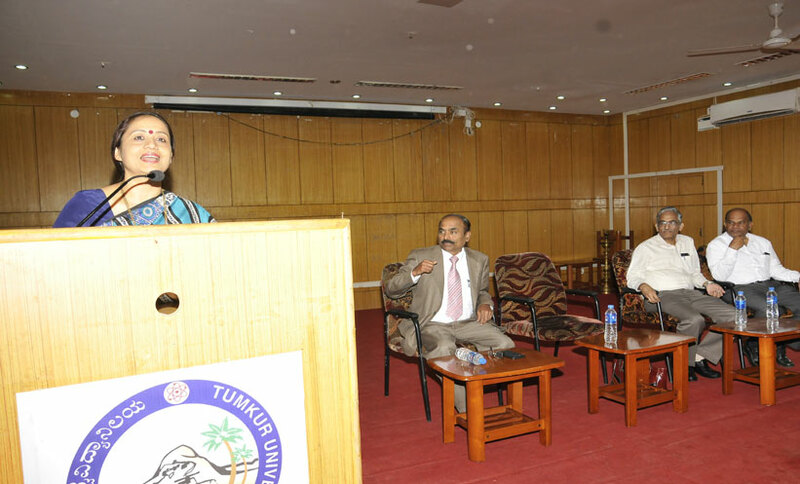 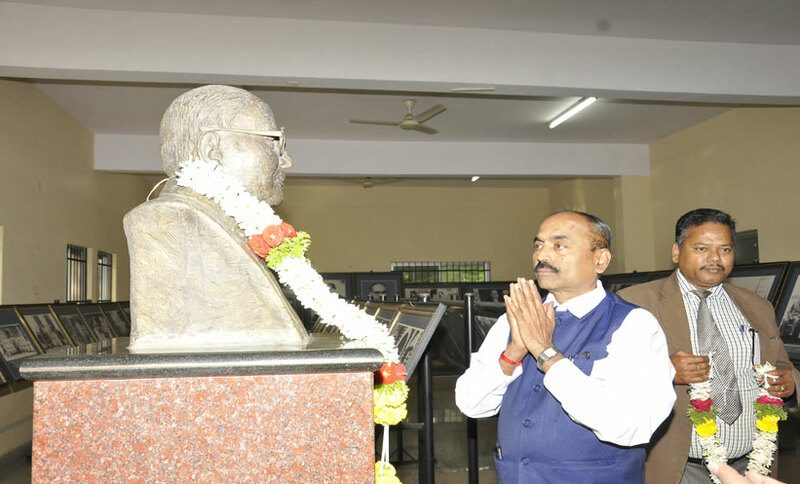 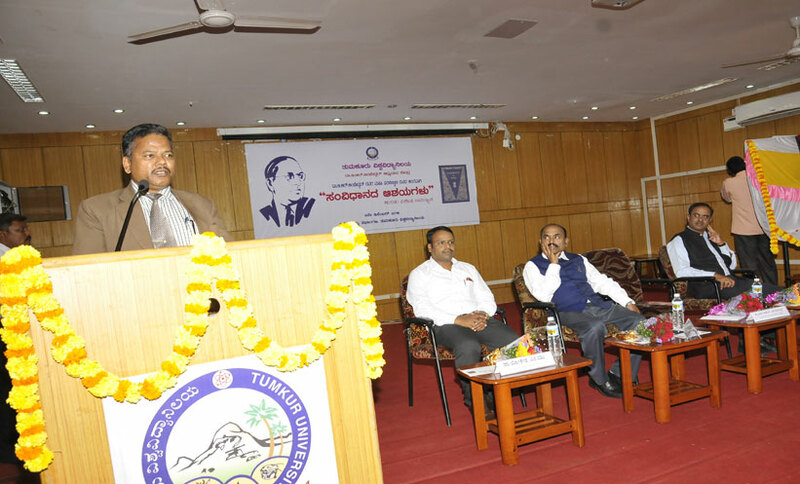 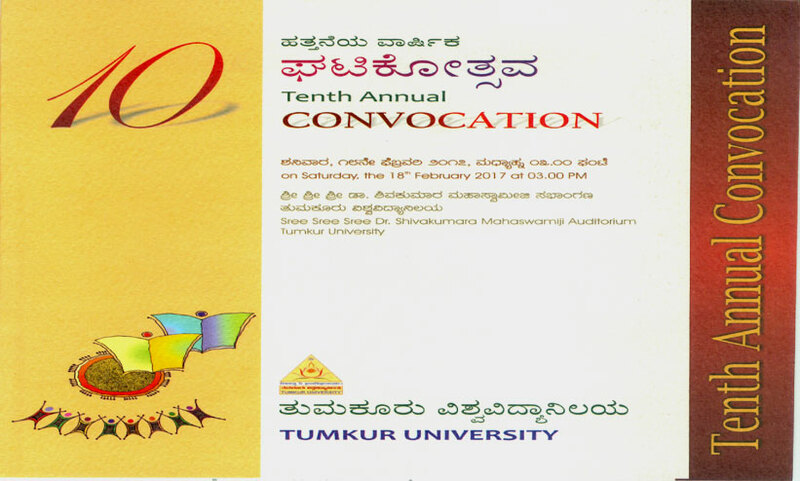 Constitution Day Celebration at Tumkur University held on 26 November 2016. 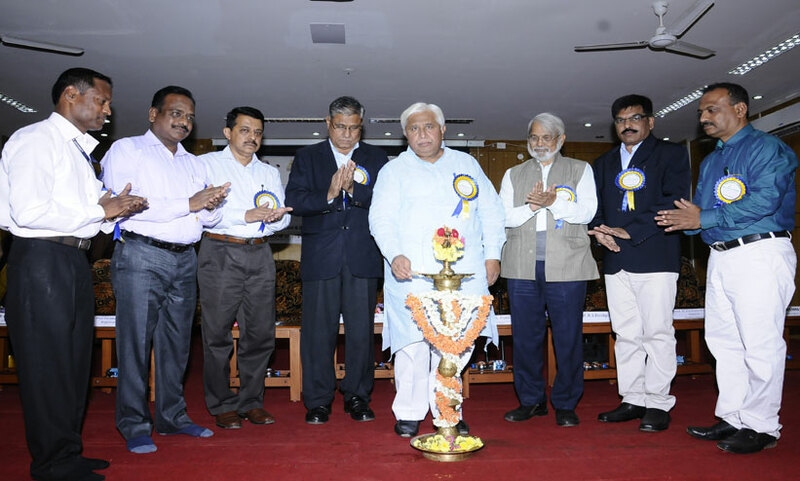 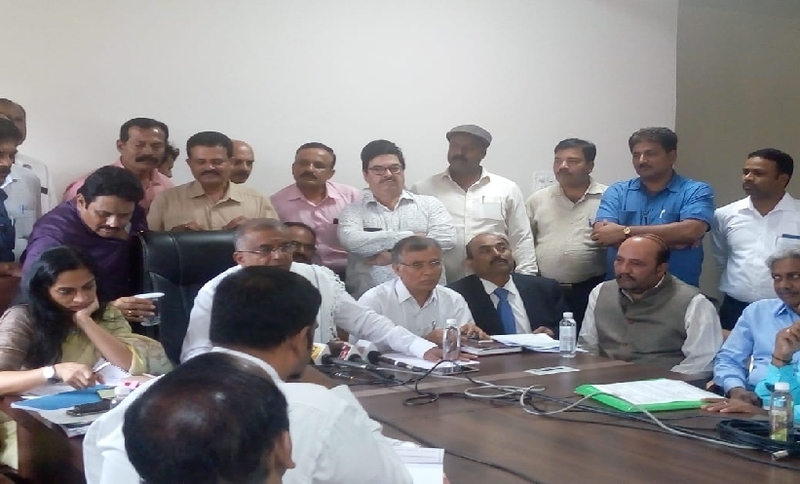 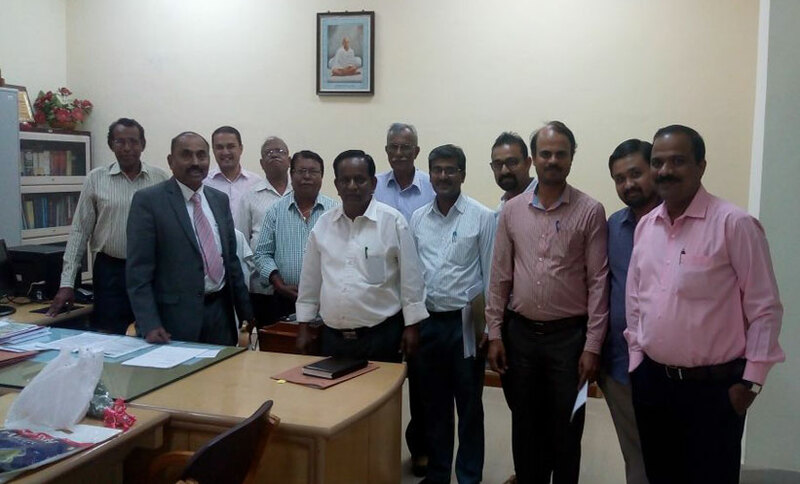 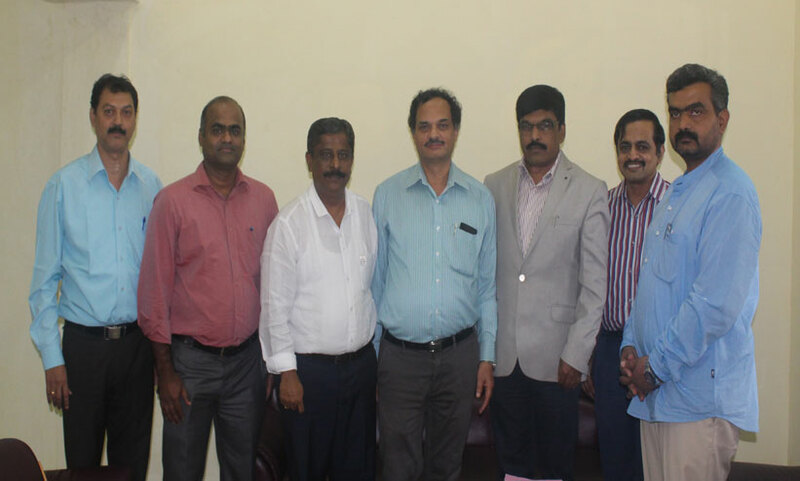 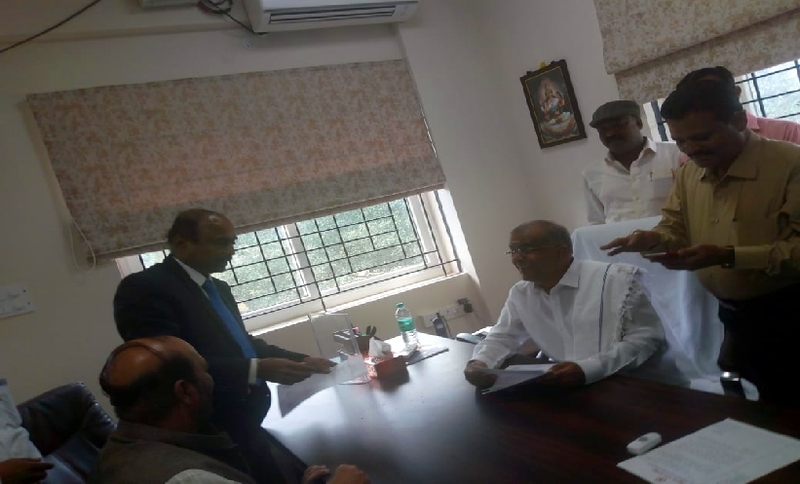 Vice Chancellor, Prof. A H Rajasab; Prof. H Govindaiah, Hon'ble Member, KPSC; Sri Nanjundswamy, IGP, Dr. J Somashekar, Registrar, Kuvempu University; Prof. M Venkateshwarlu, Registrar, Tumkur University are seen. 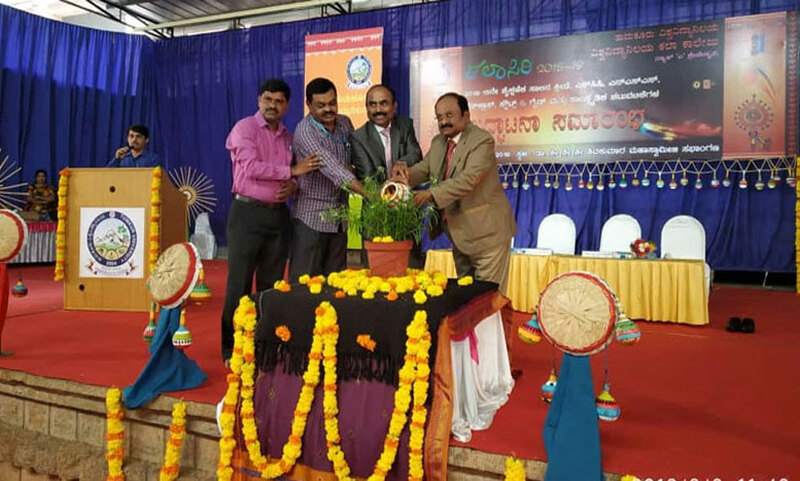 Watering of plant at 'Siridaanya' - Minor Millet Fair by Hon'ble Member of Parliament 'Sri Muddehanumegowda', held on 22 Oct 2016. 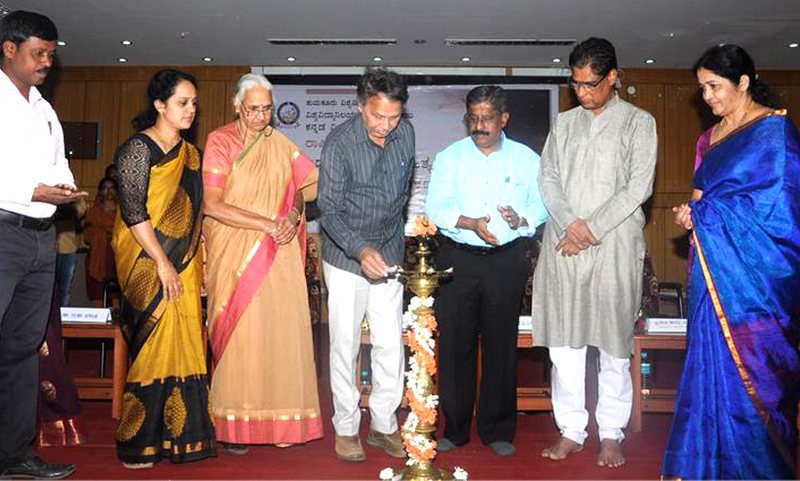 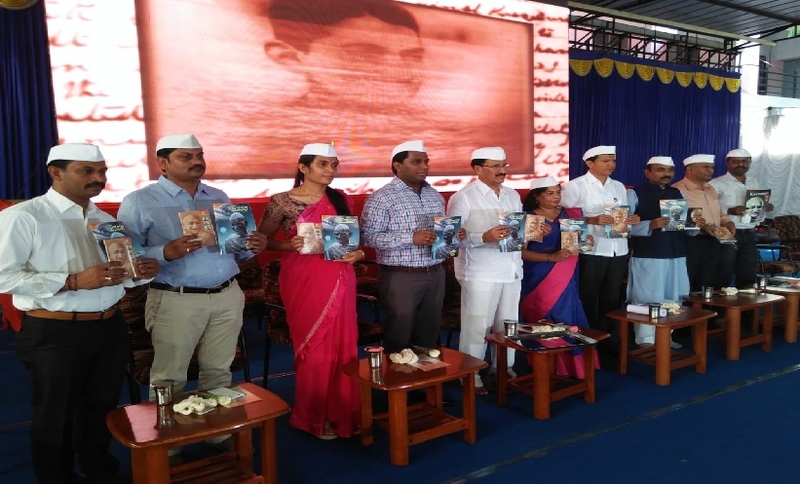 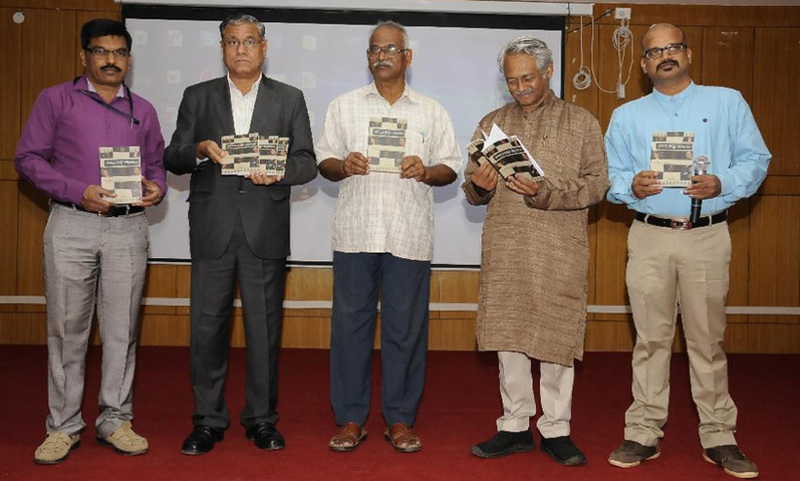 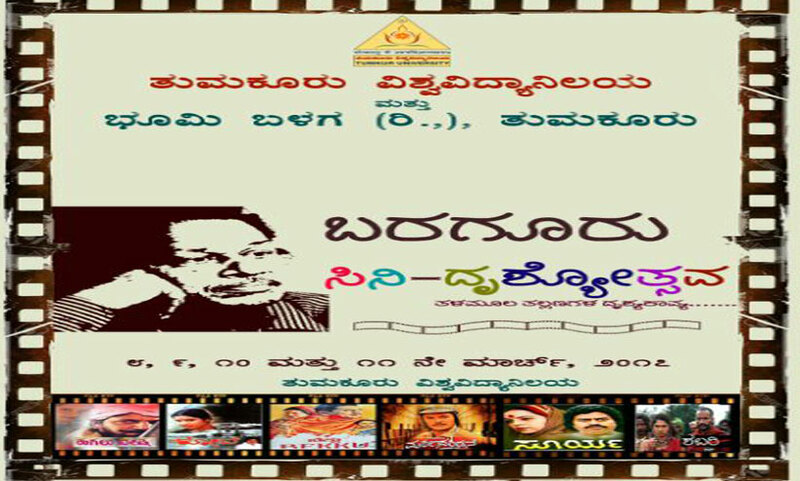 Three Day Film Festival - Noduva Bage - inaugurated by veteran film maker Sri Girish Kasarvalli, and released the book - Yeradu Kannu Saladu - published through Prasaranga Wing of Tumkur University, held on 20 Sep 2016.